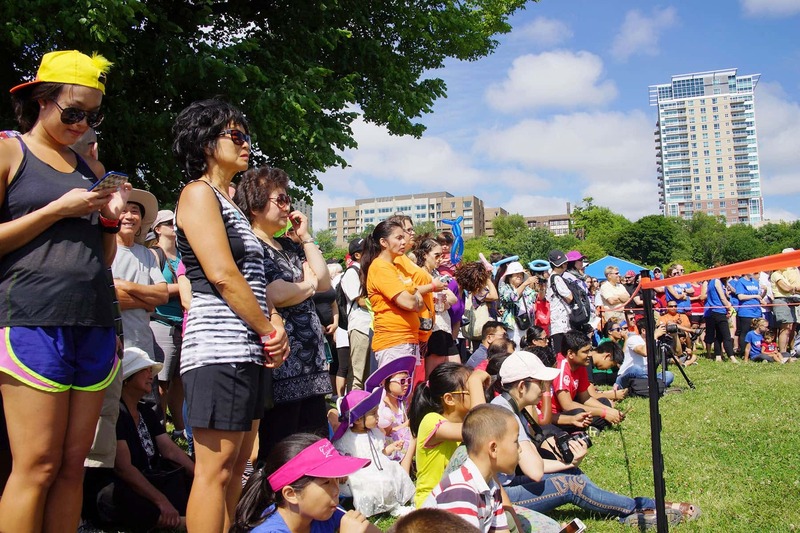 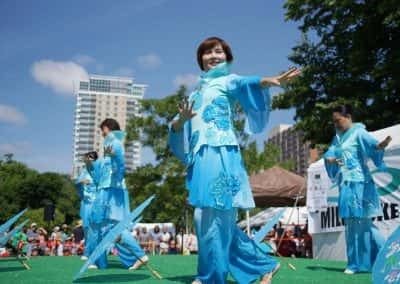 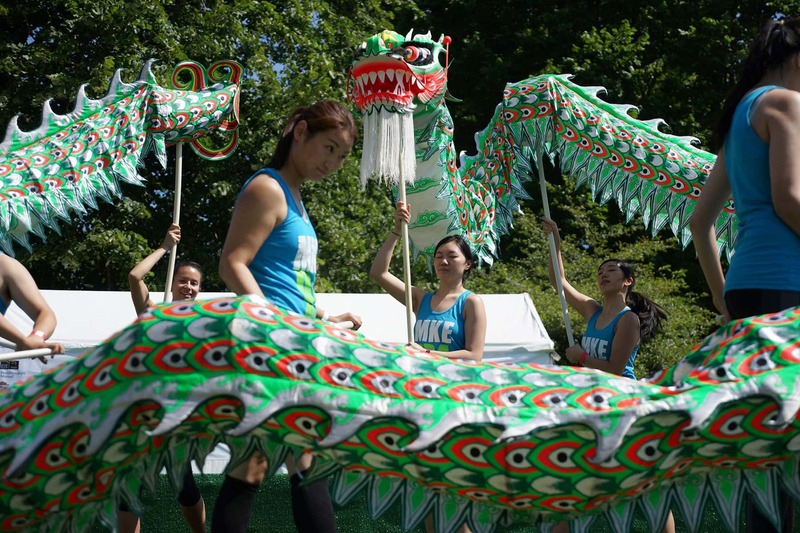 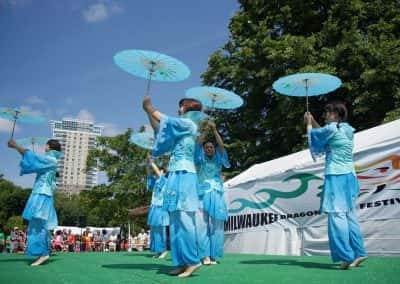 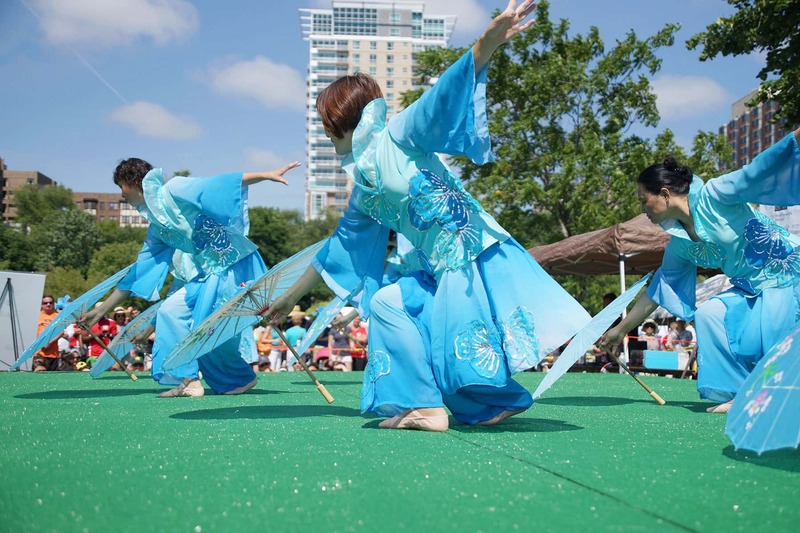 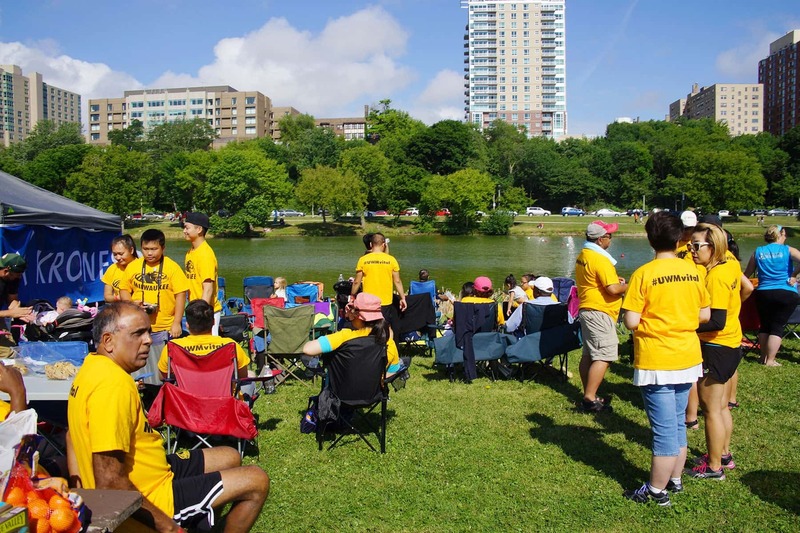 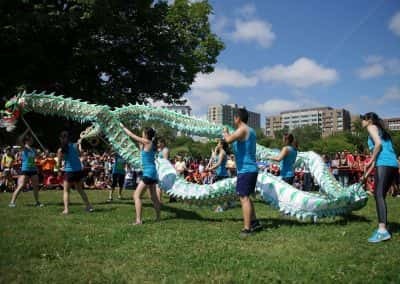 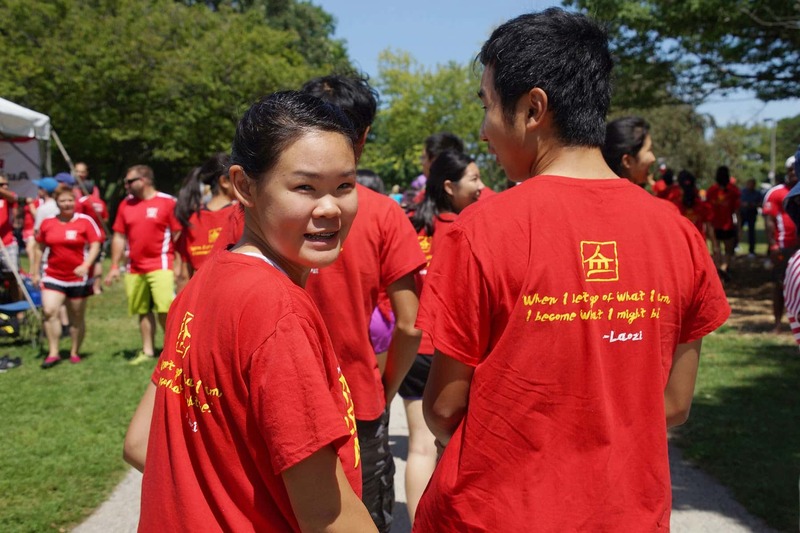 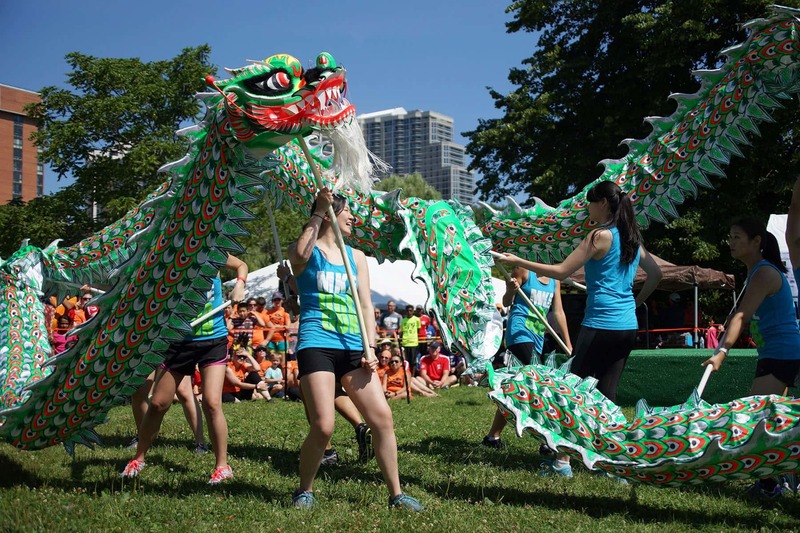 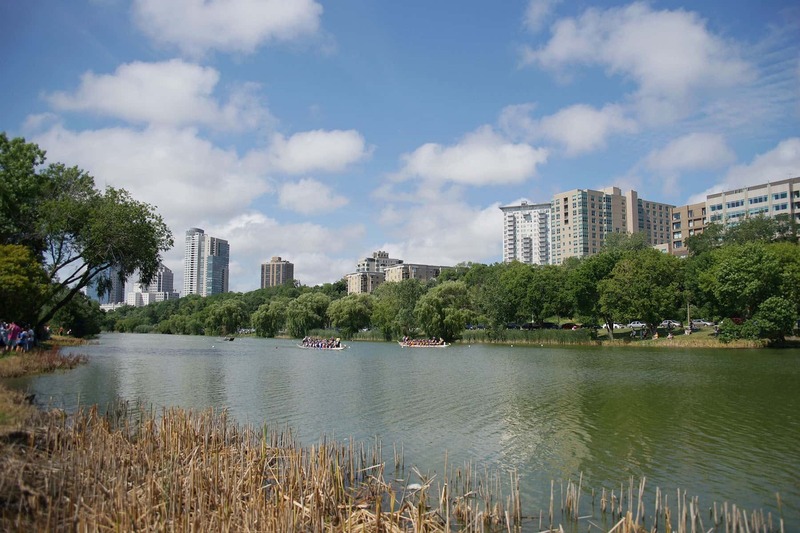 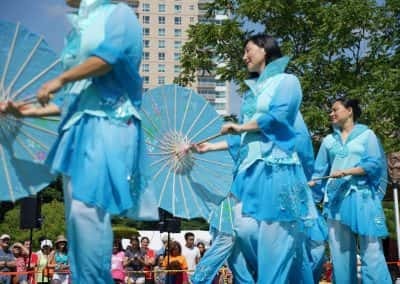 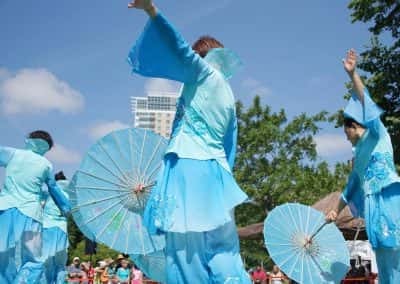 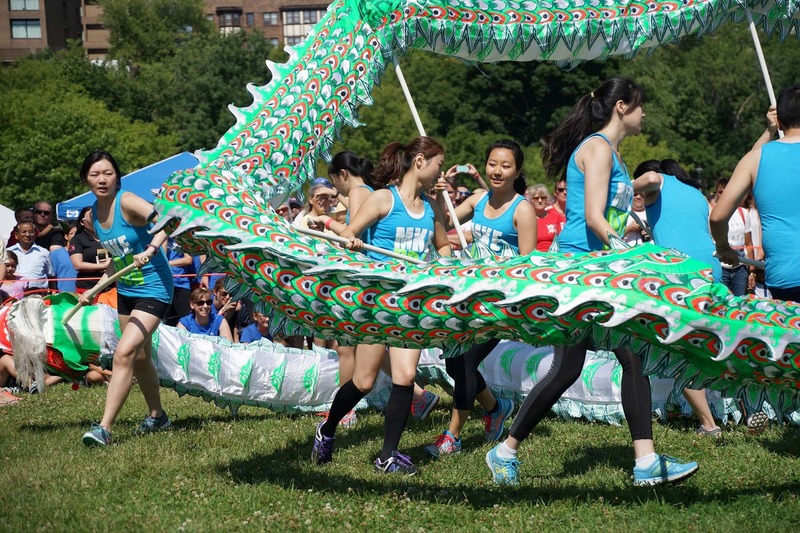 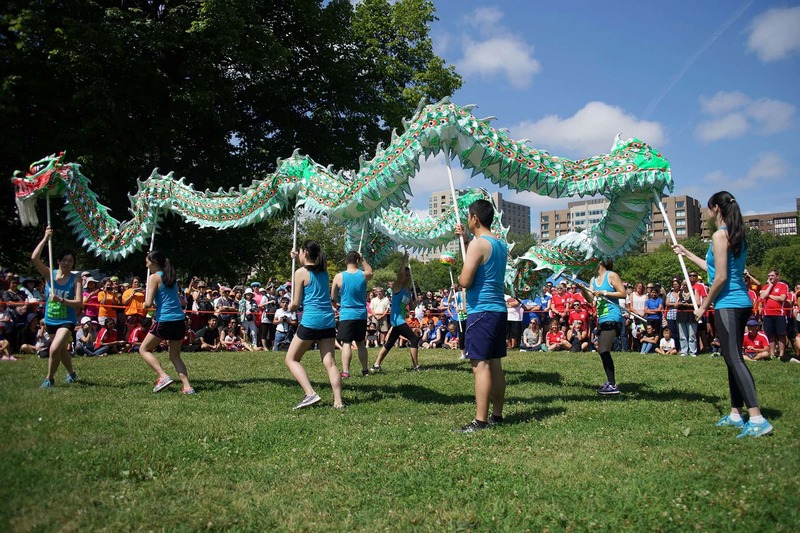 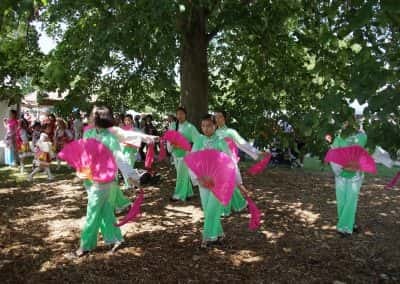 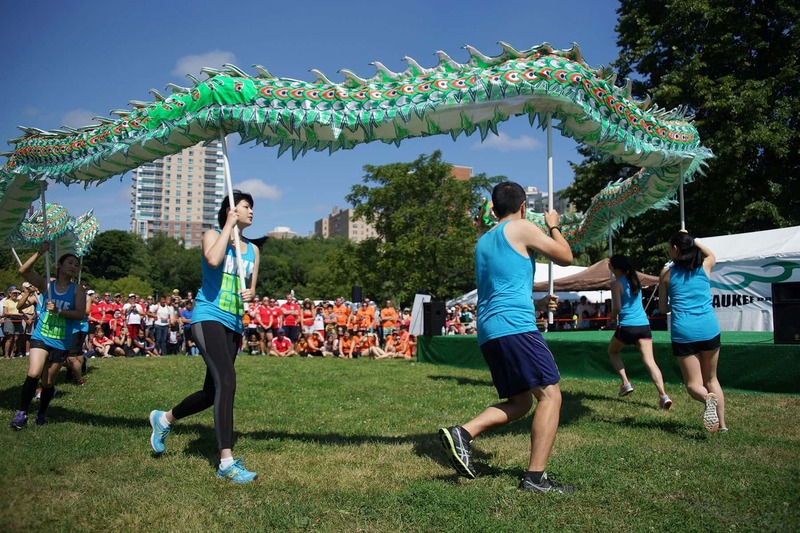 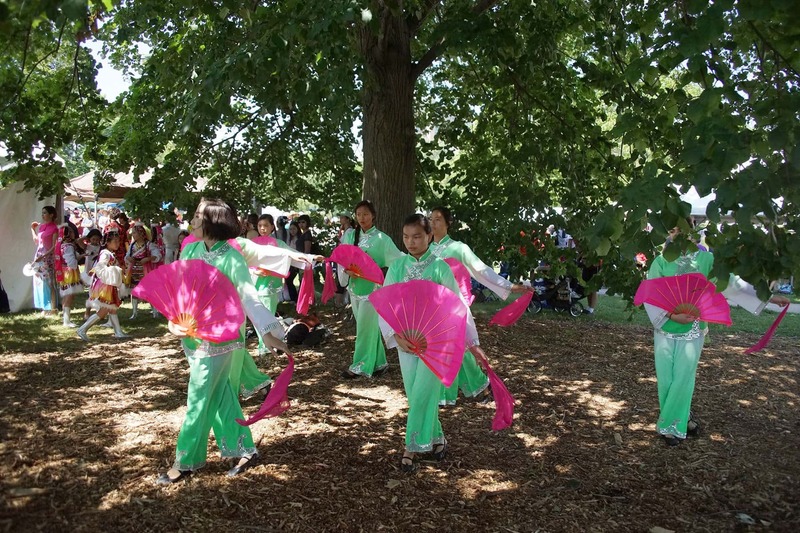 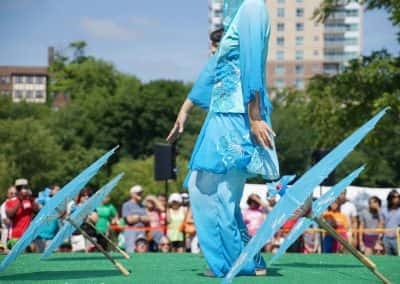 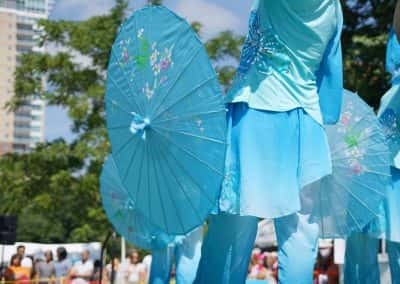 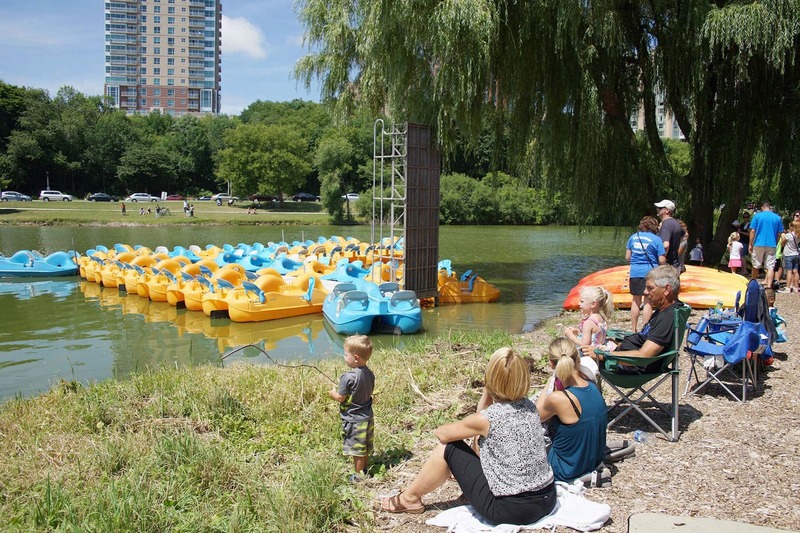 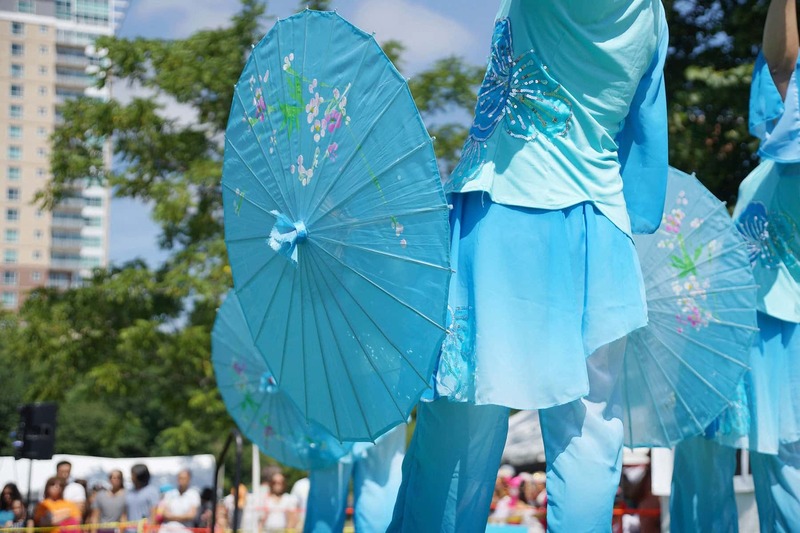 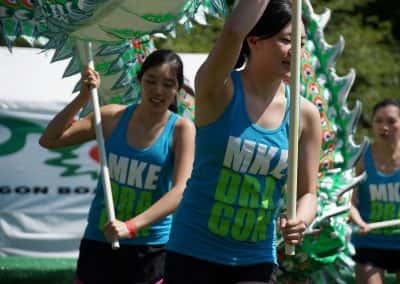 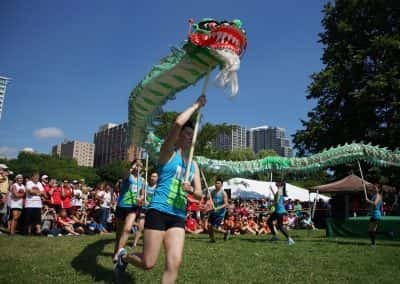 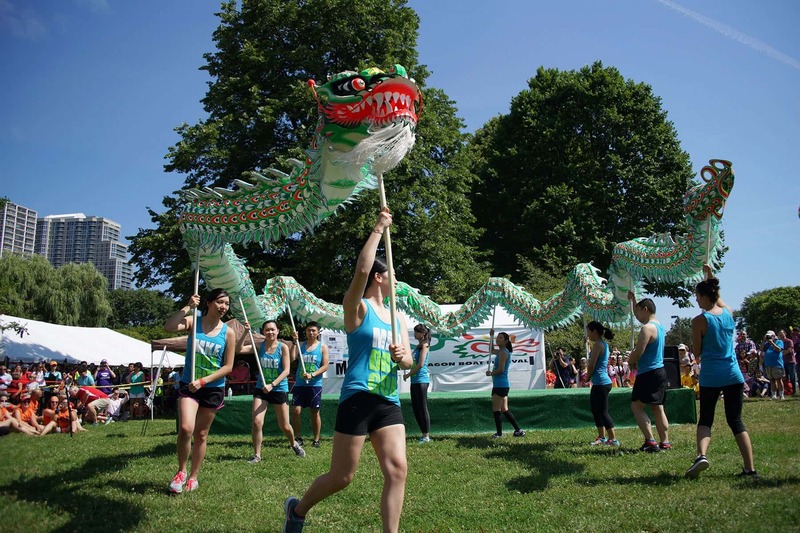 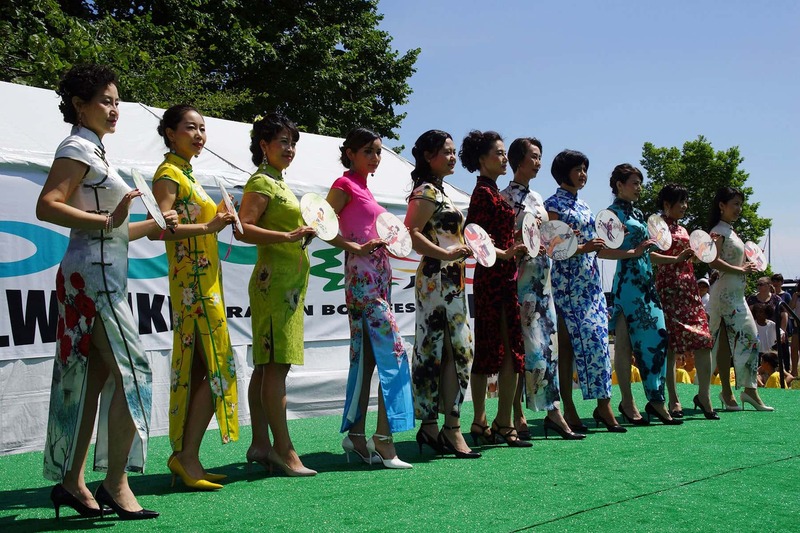 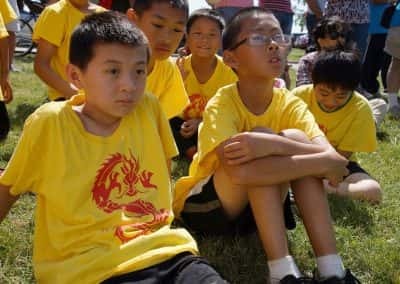 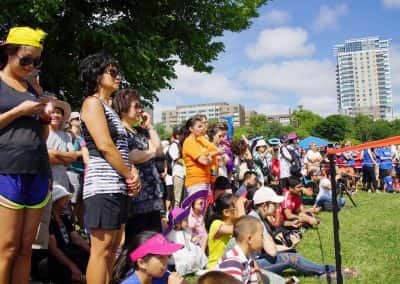 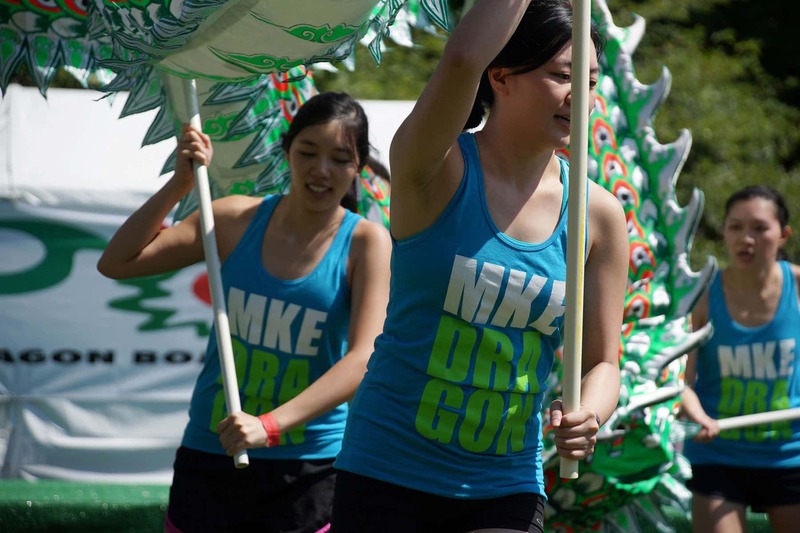 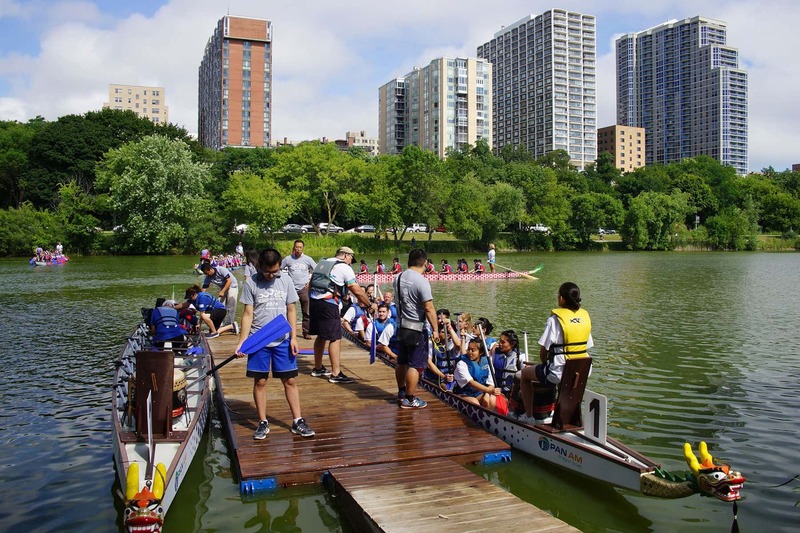 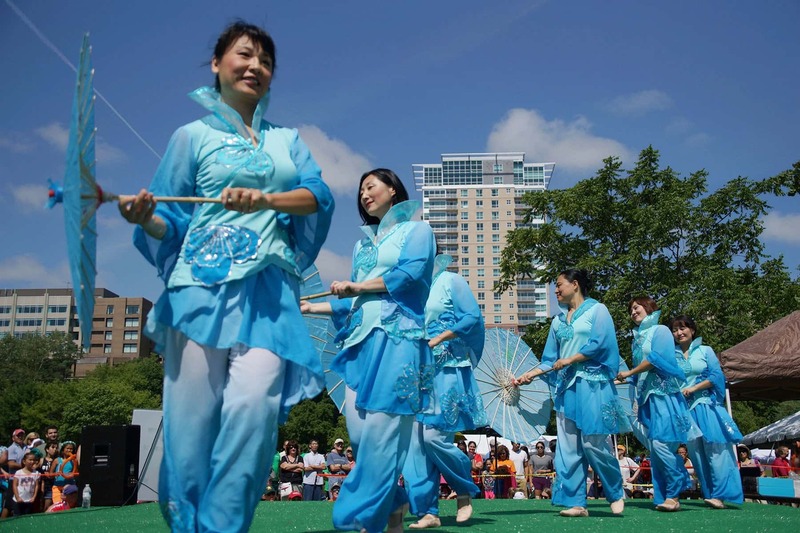 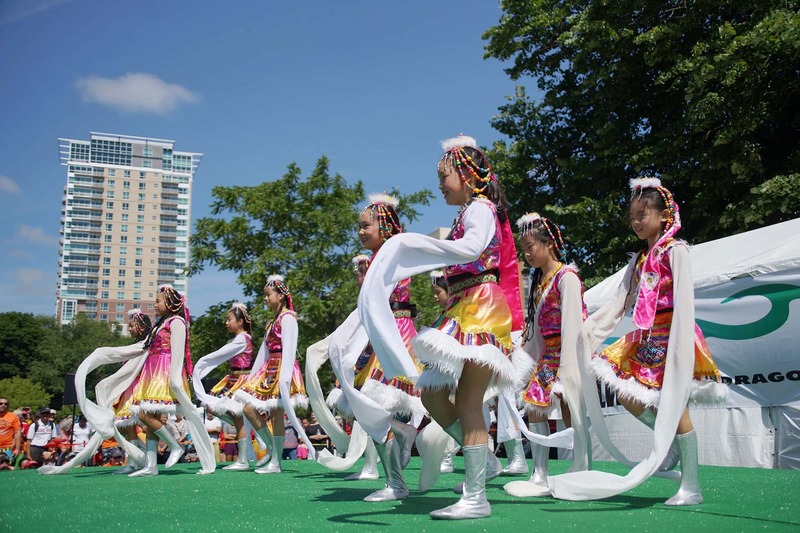 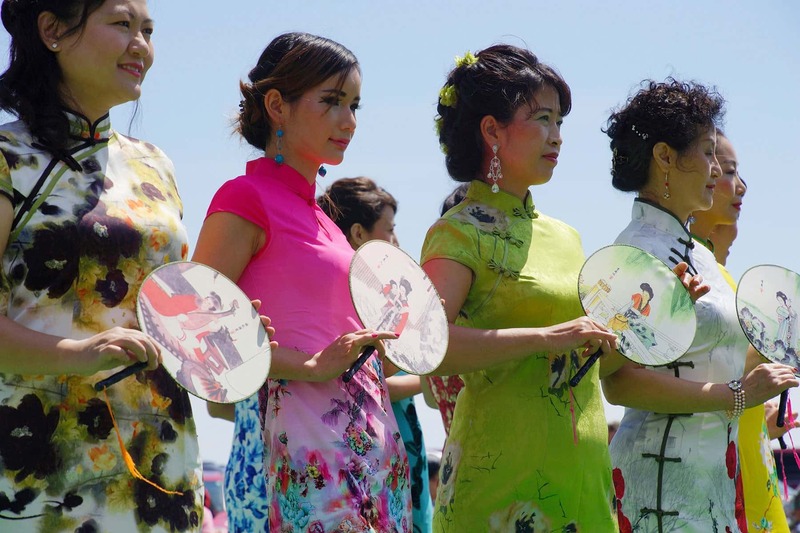 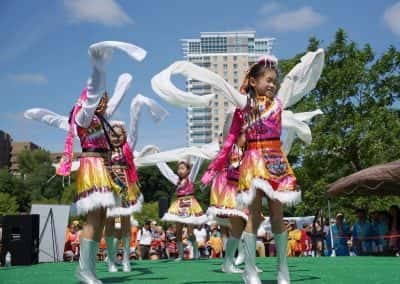 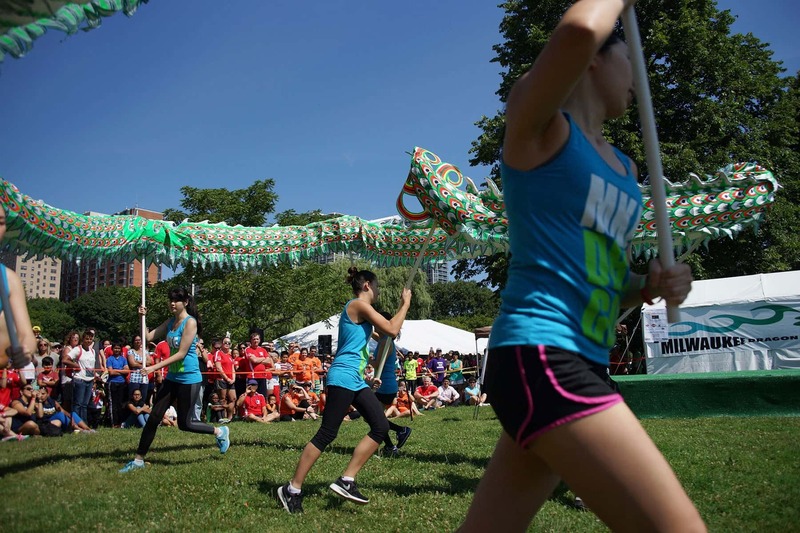 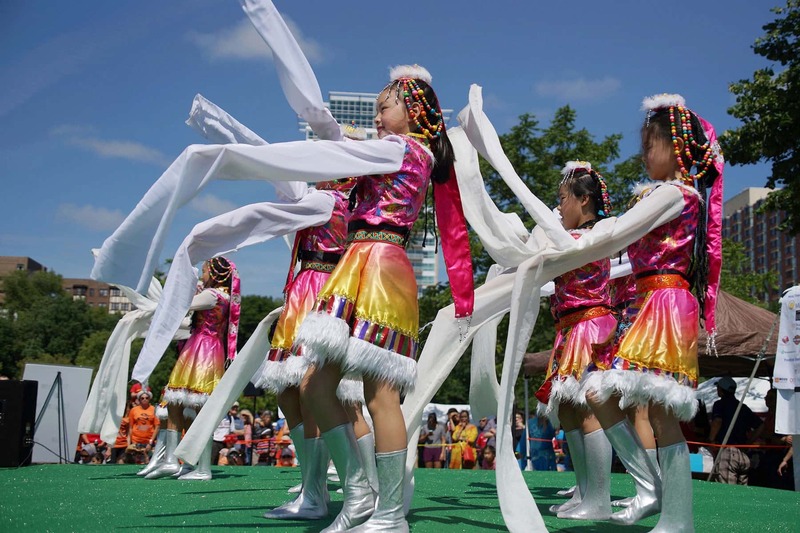 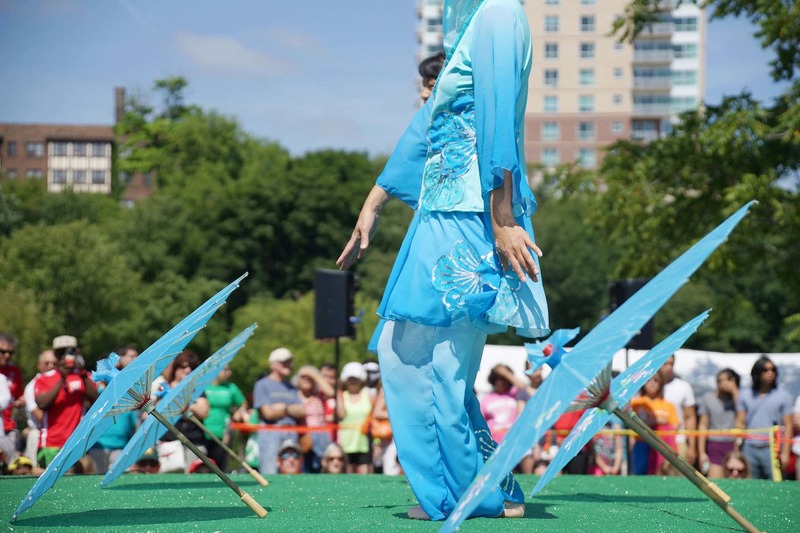 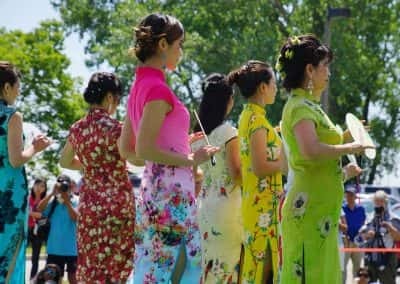 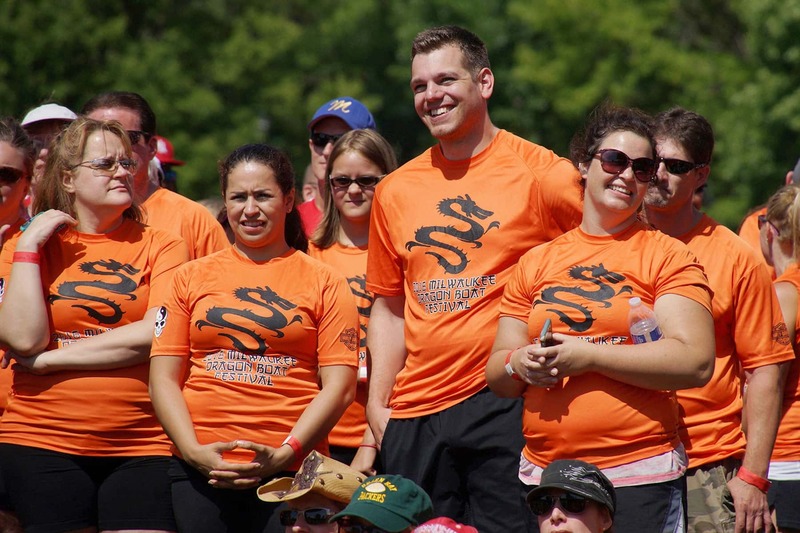 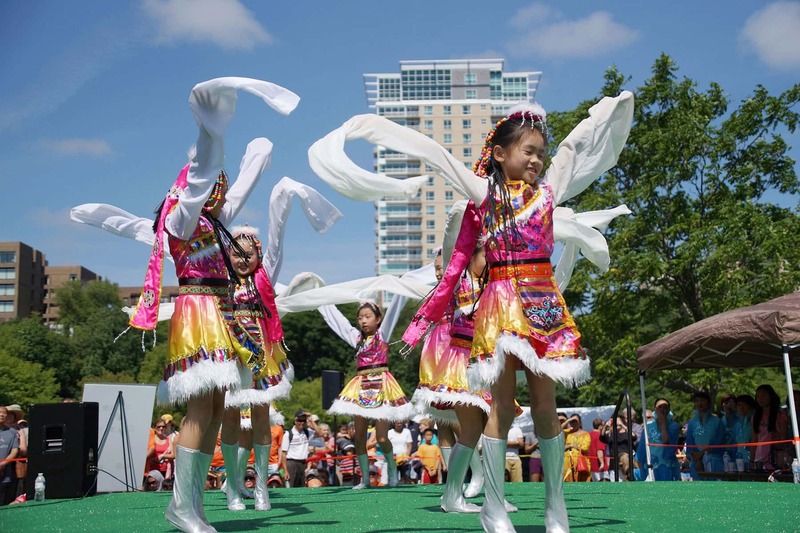 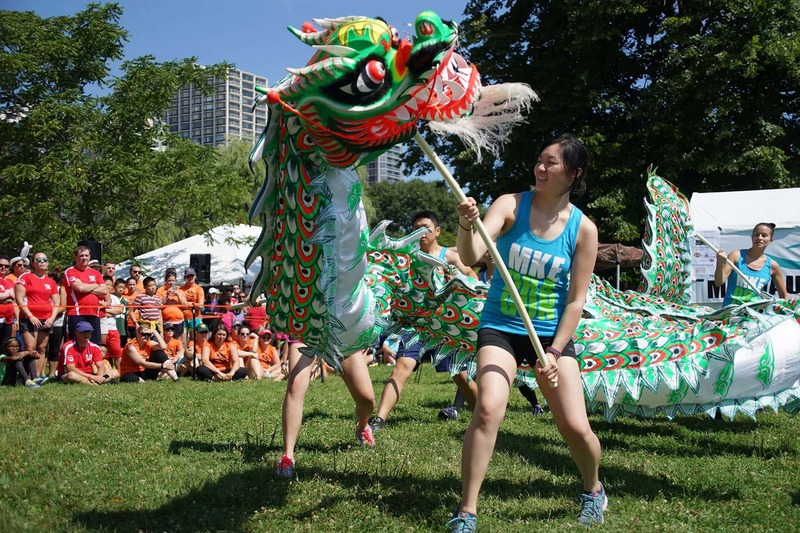 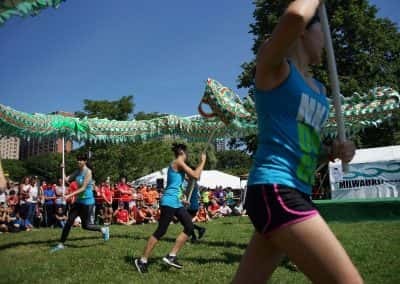 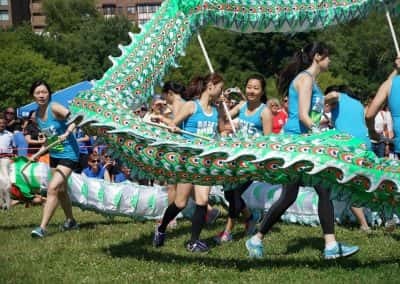 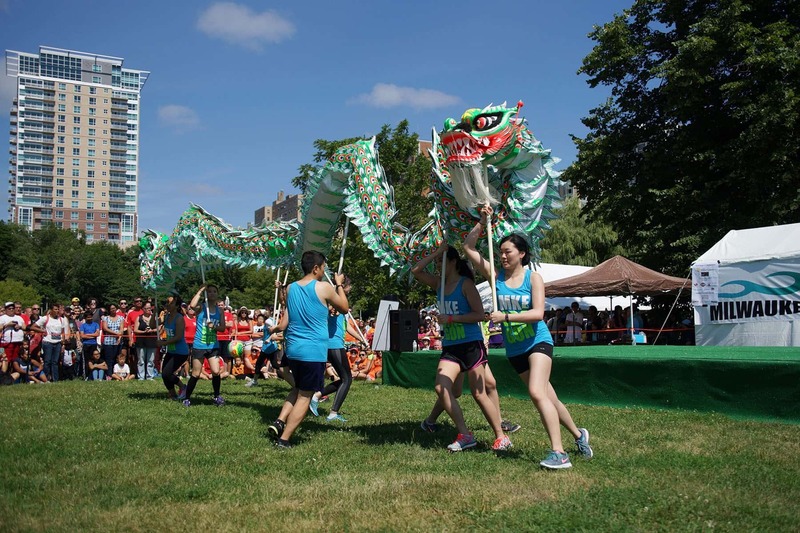 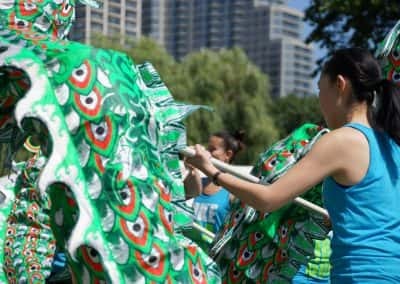 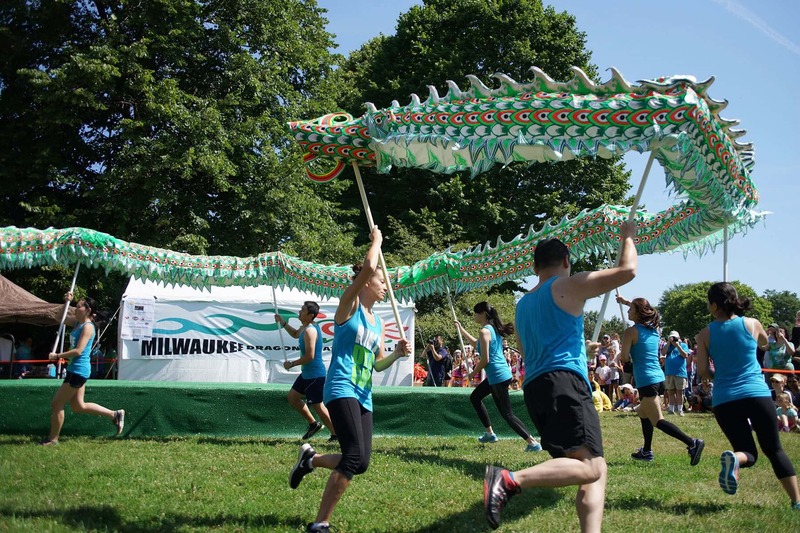 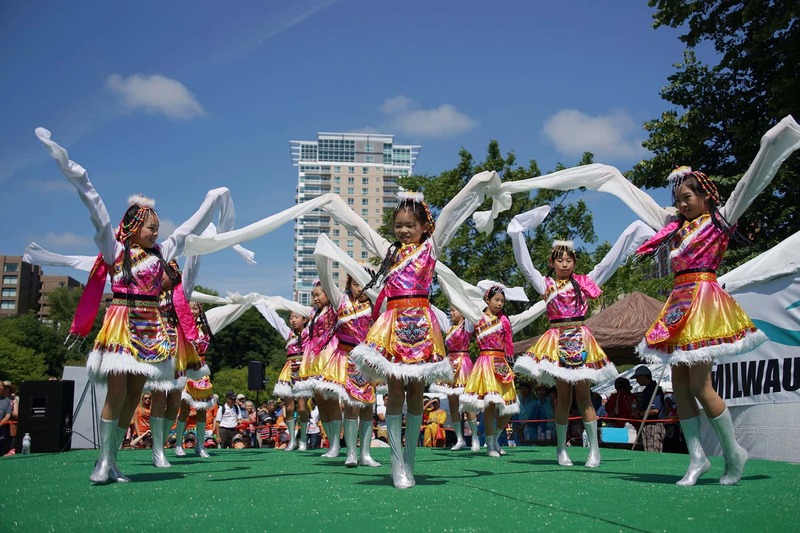 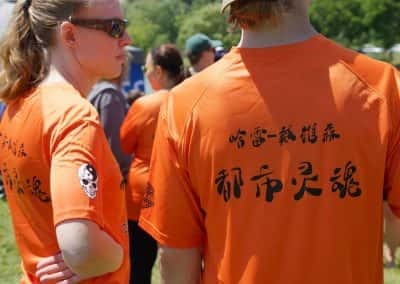 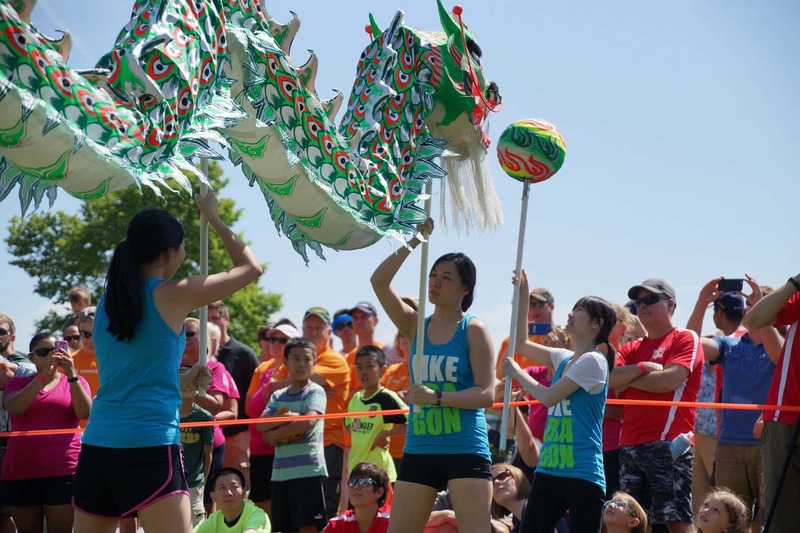 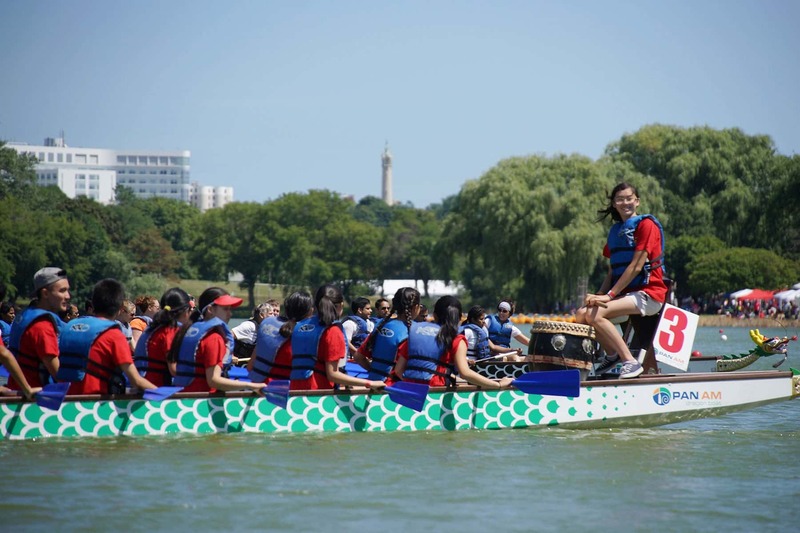 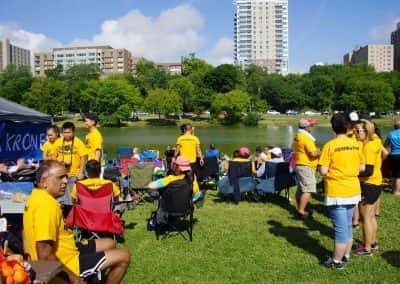 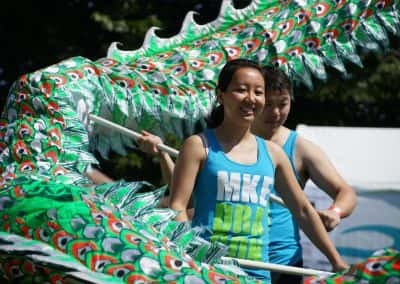 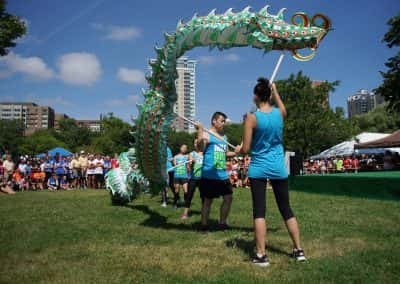 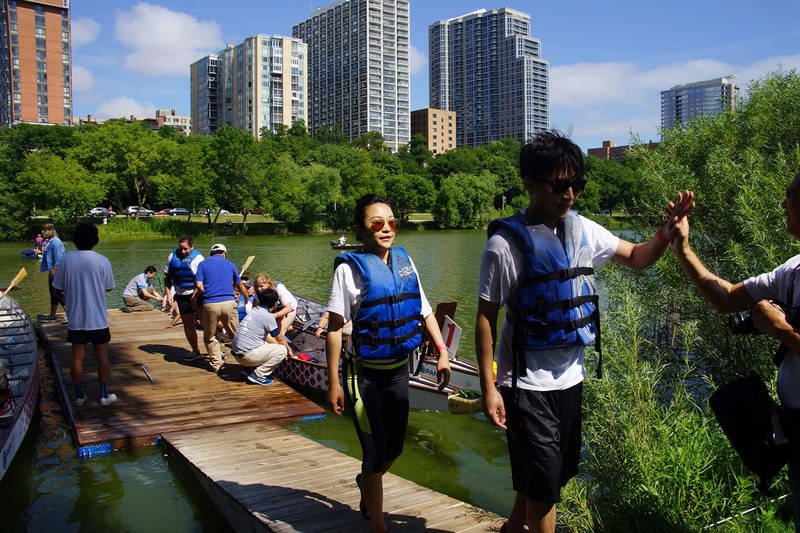 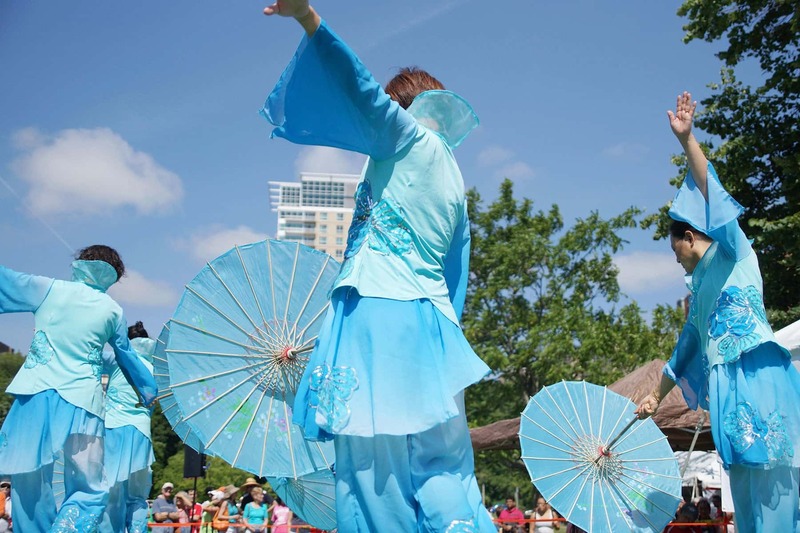 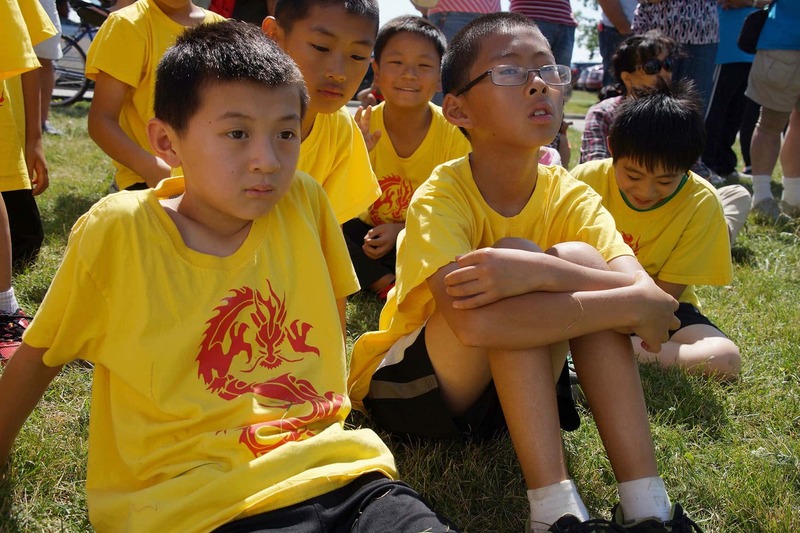 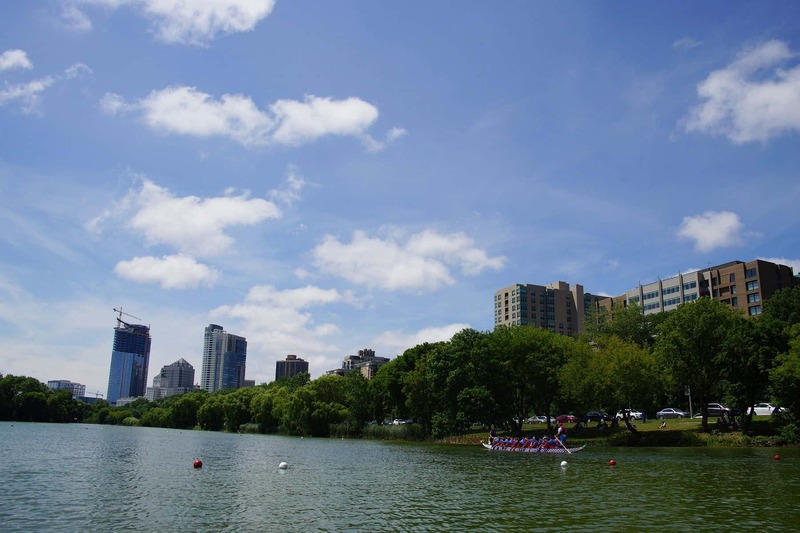 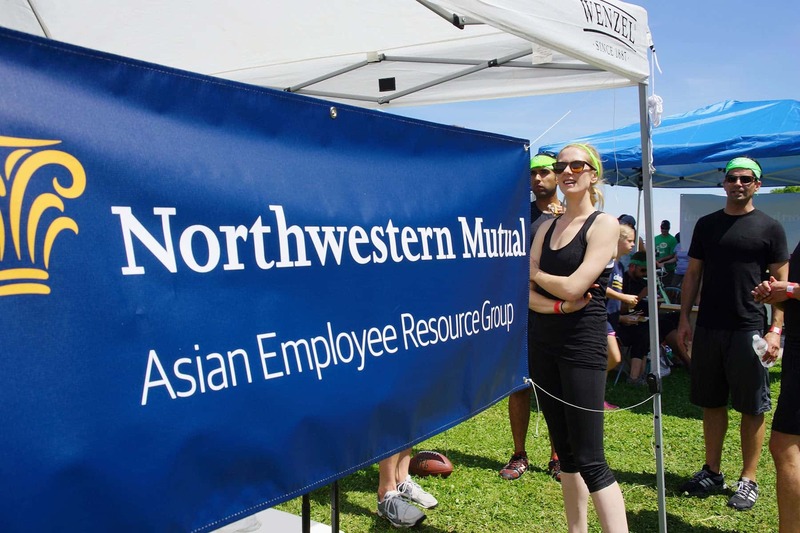 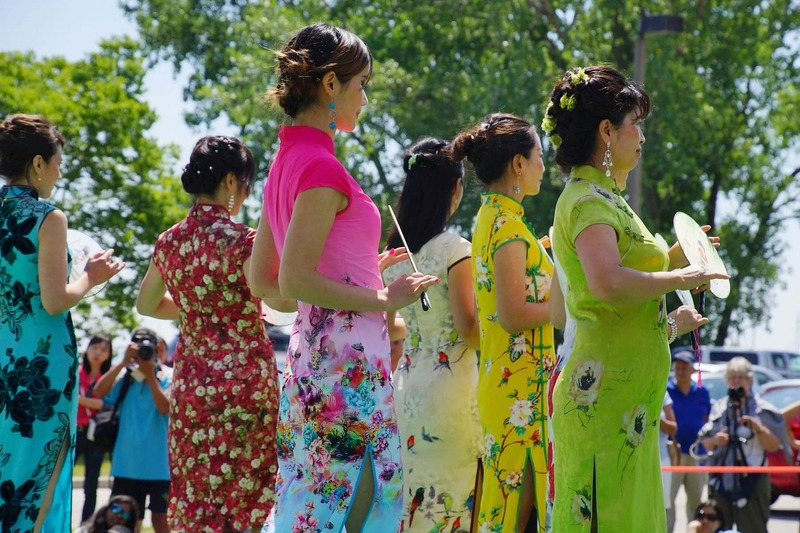 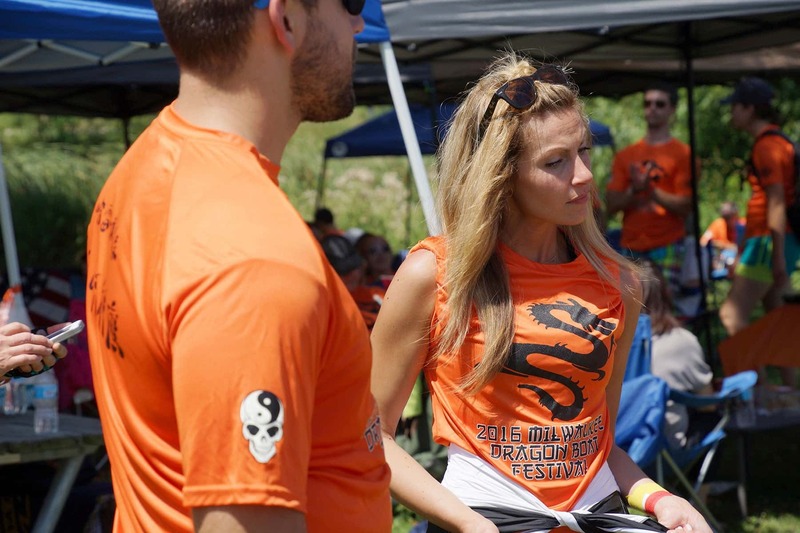 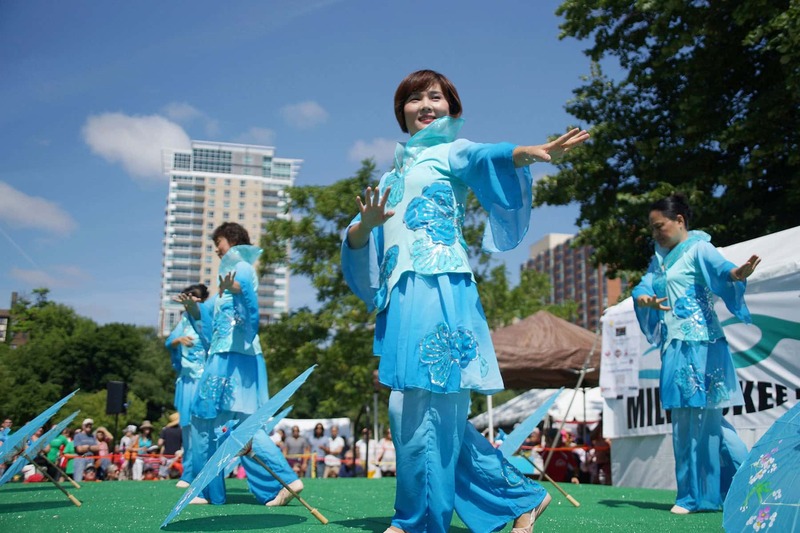 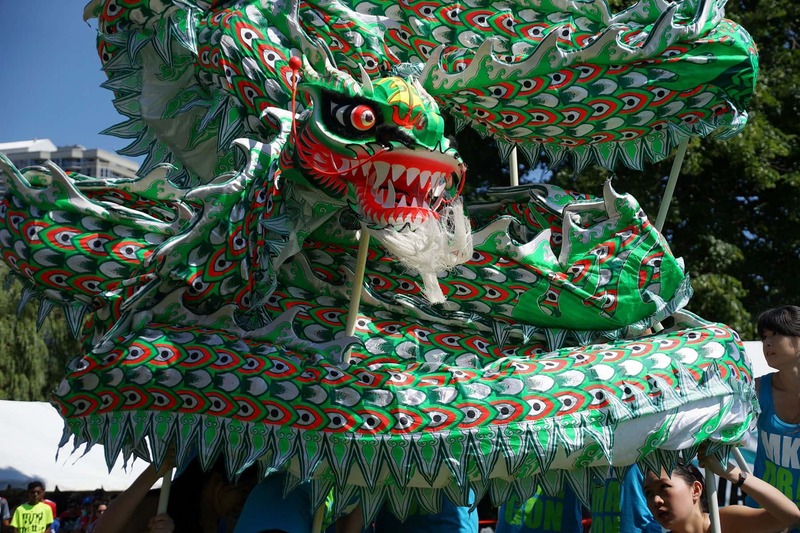 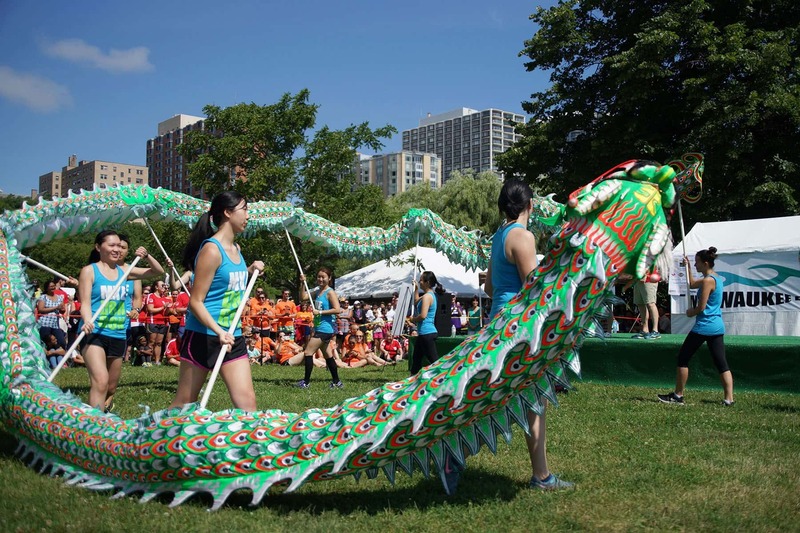 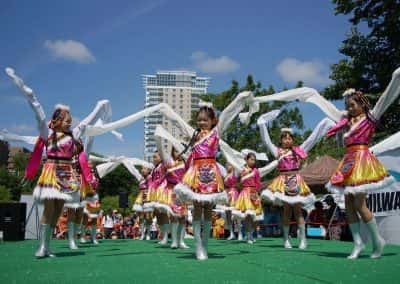 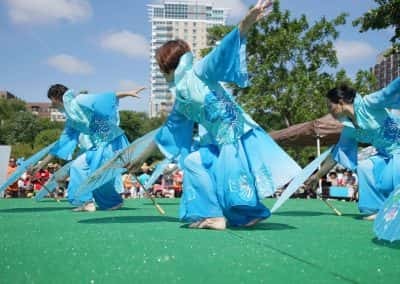 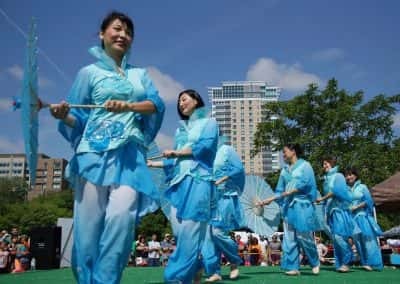 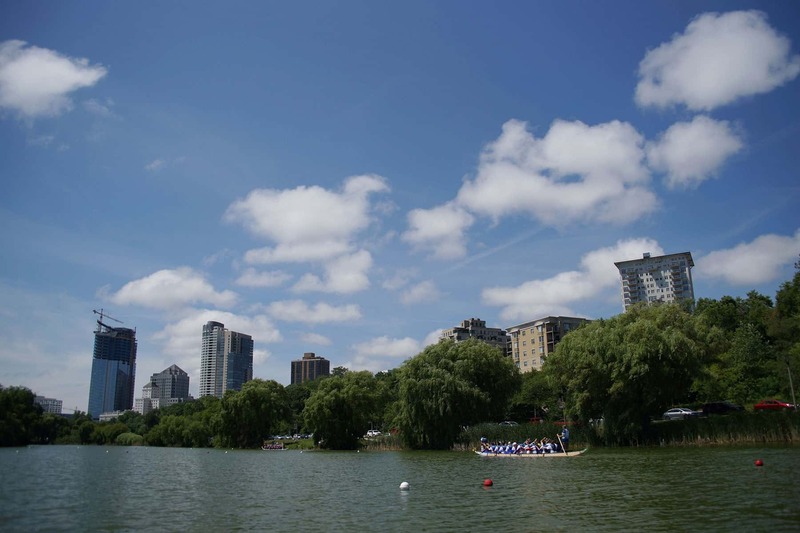 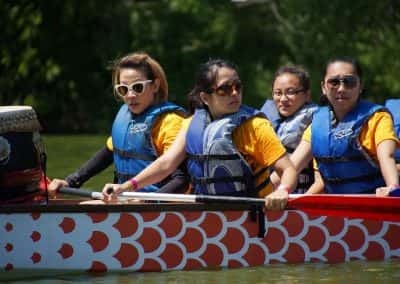 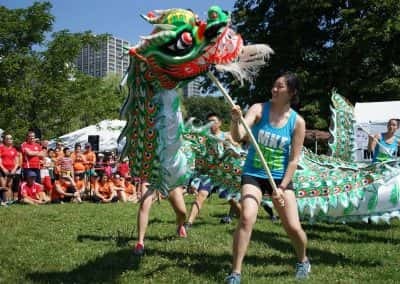 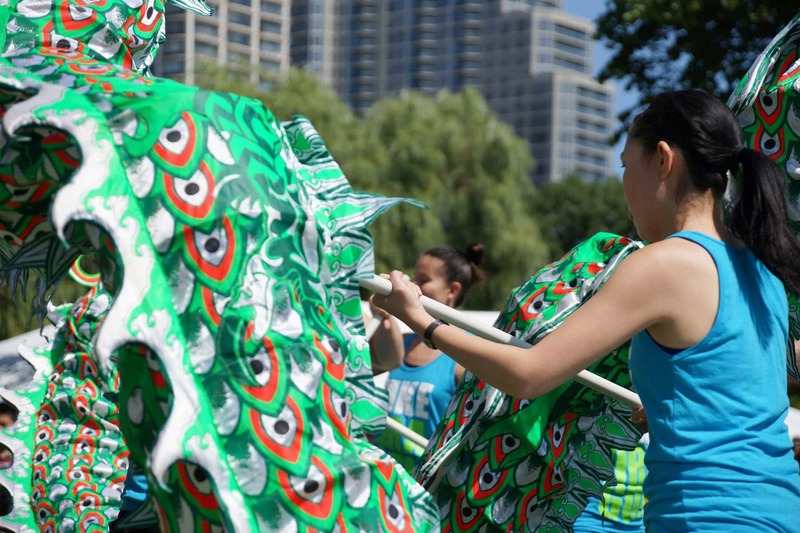 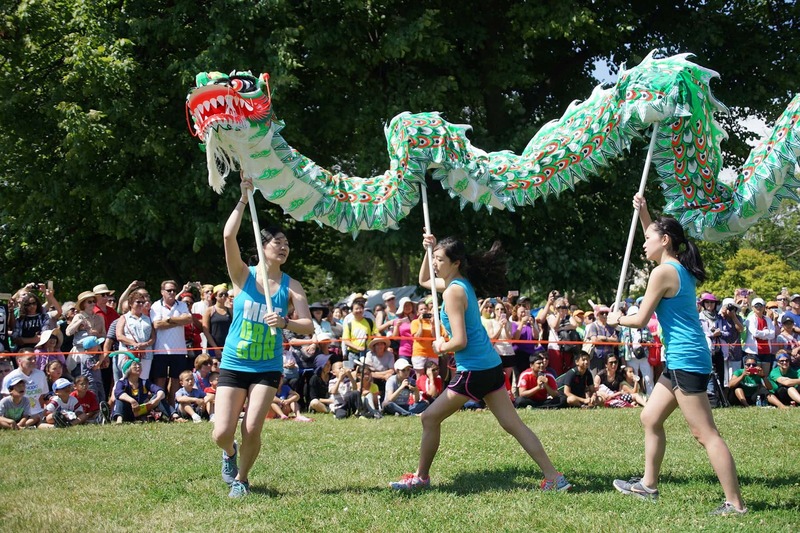 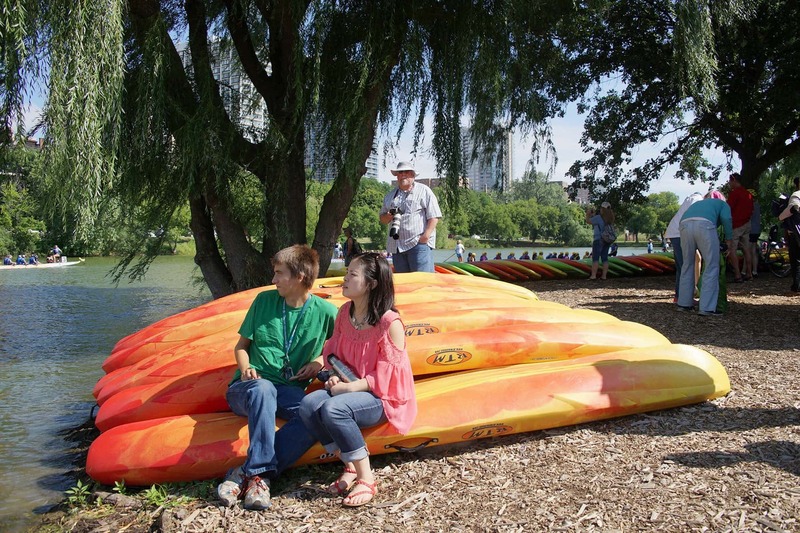 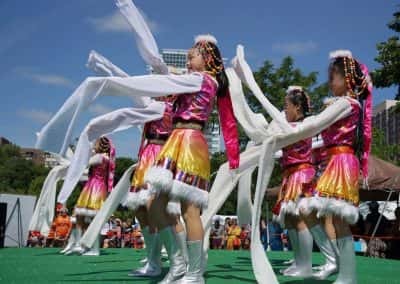 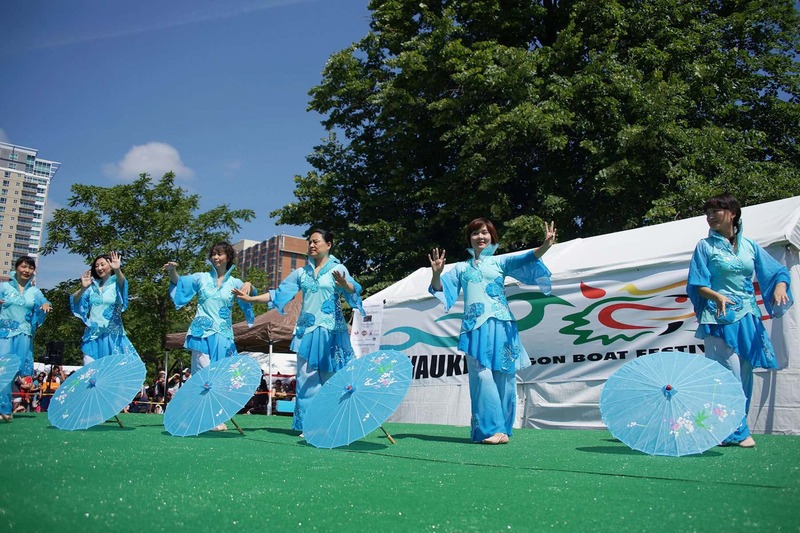 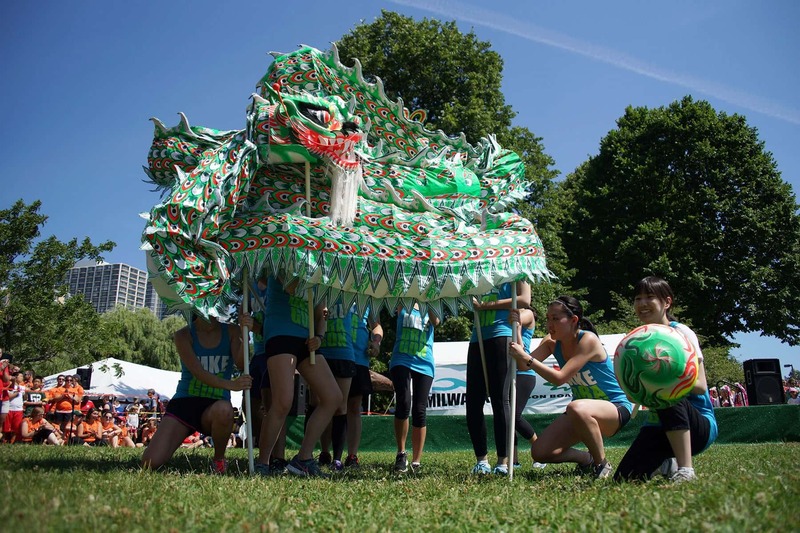 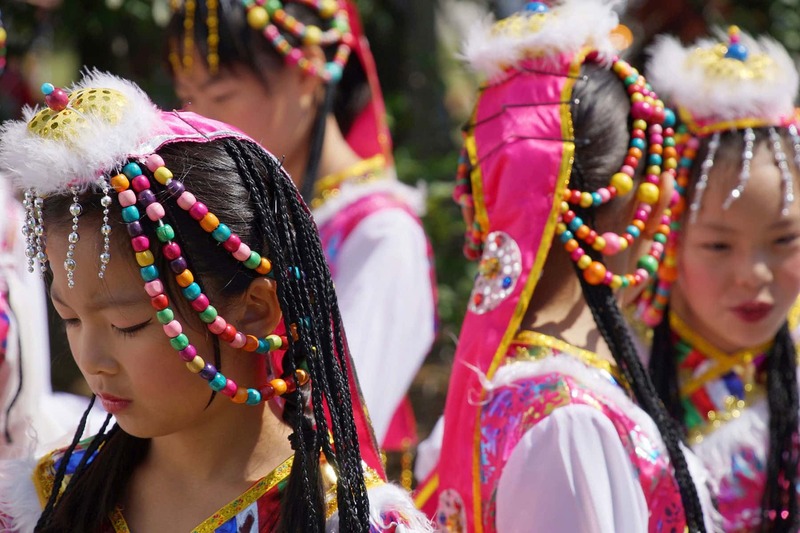 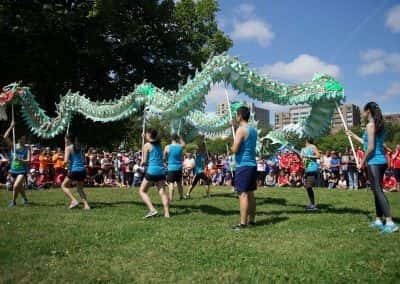 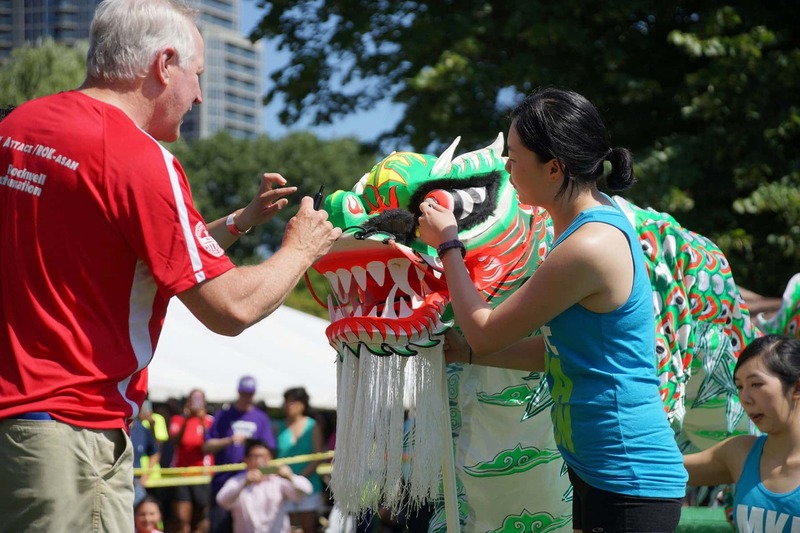 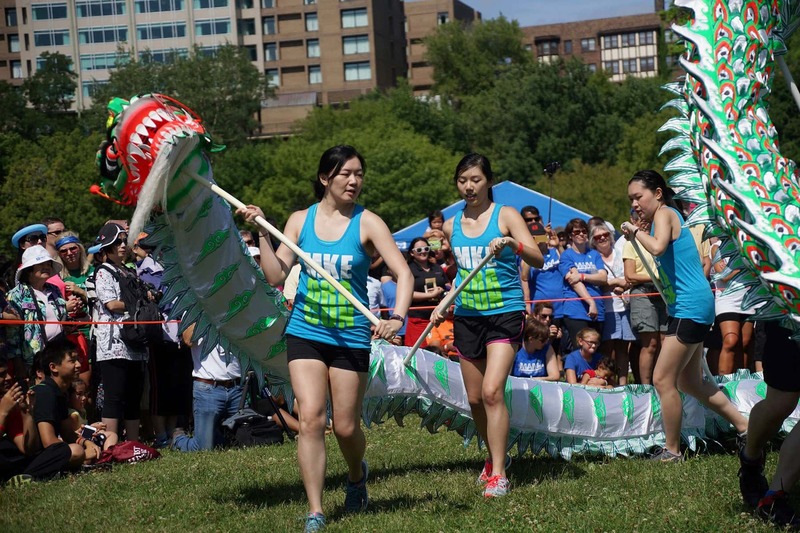 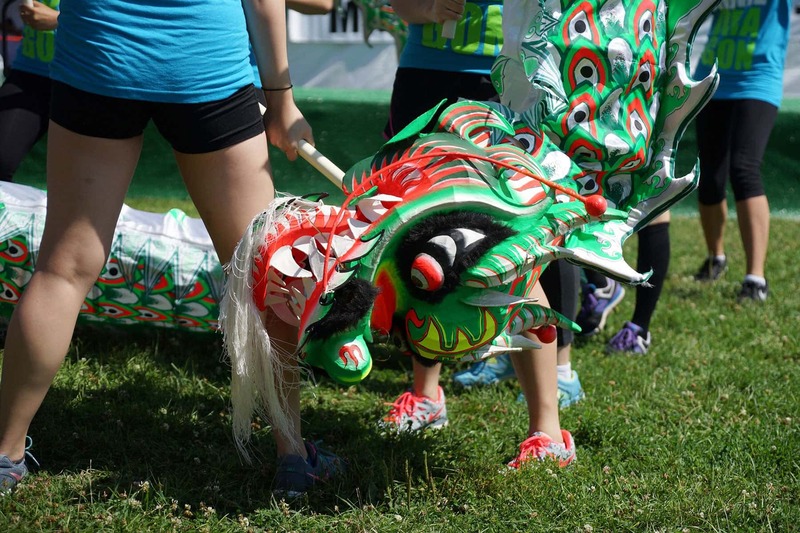 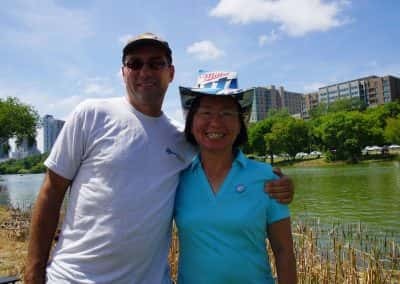 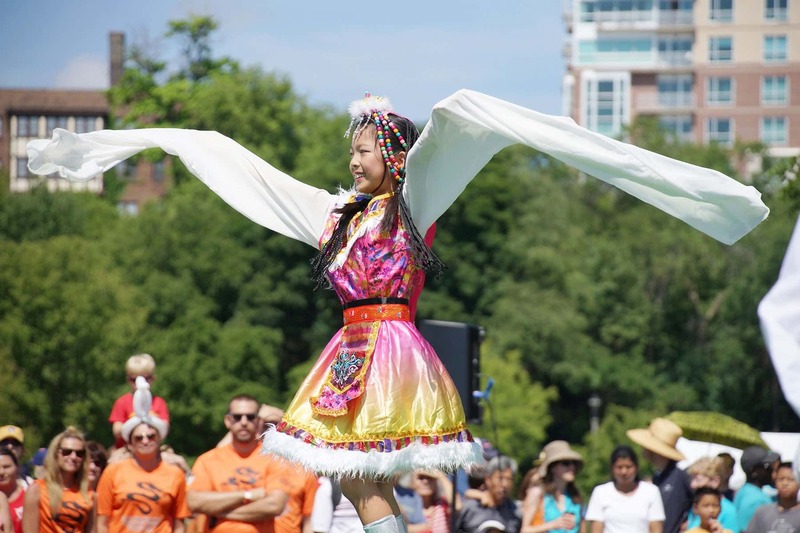 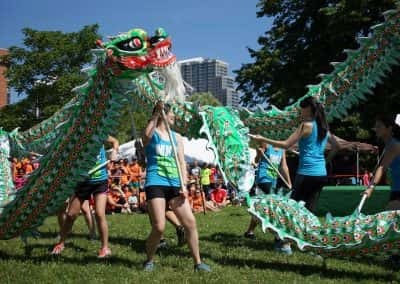 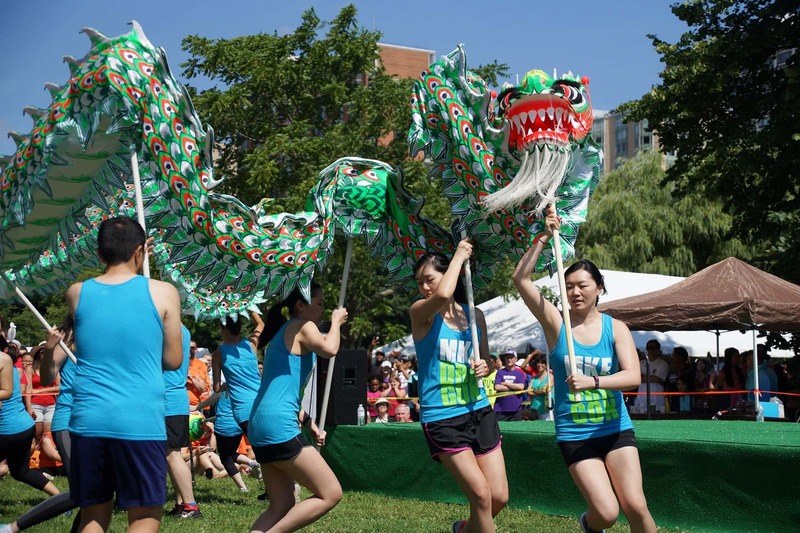 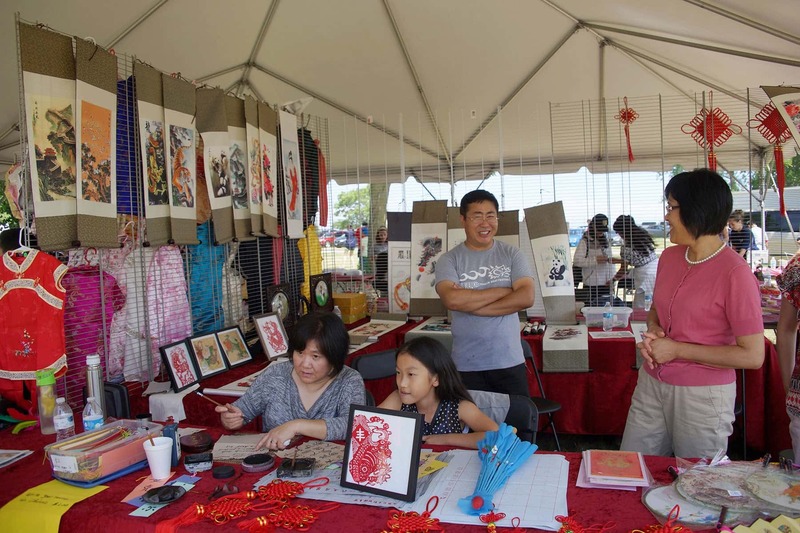 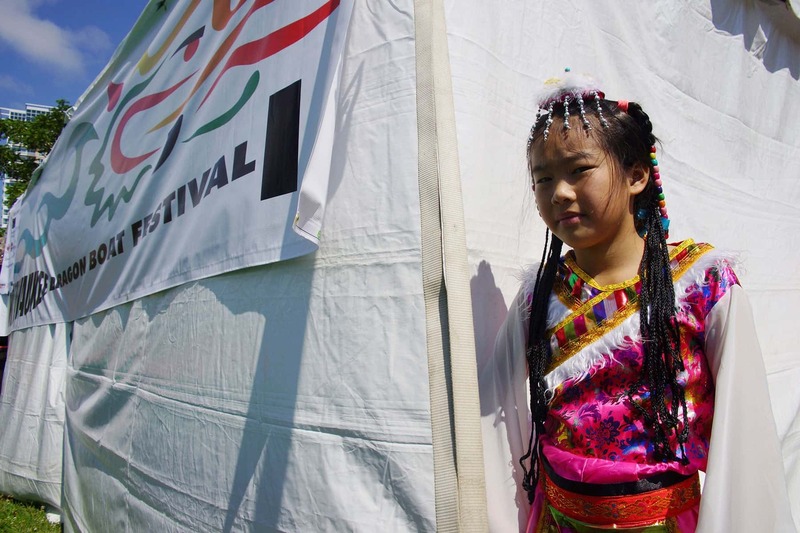 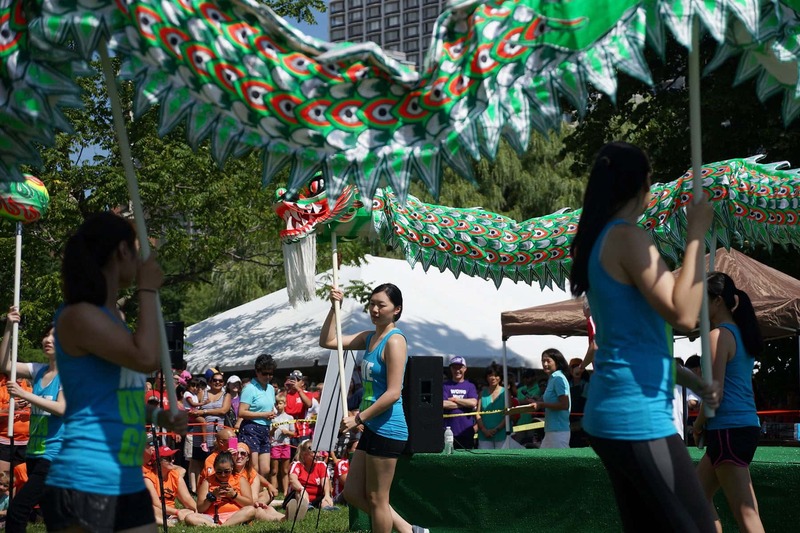 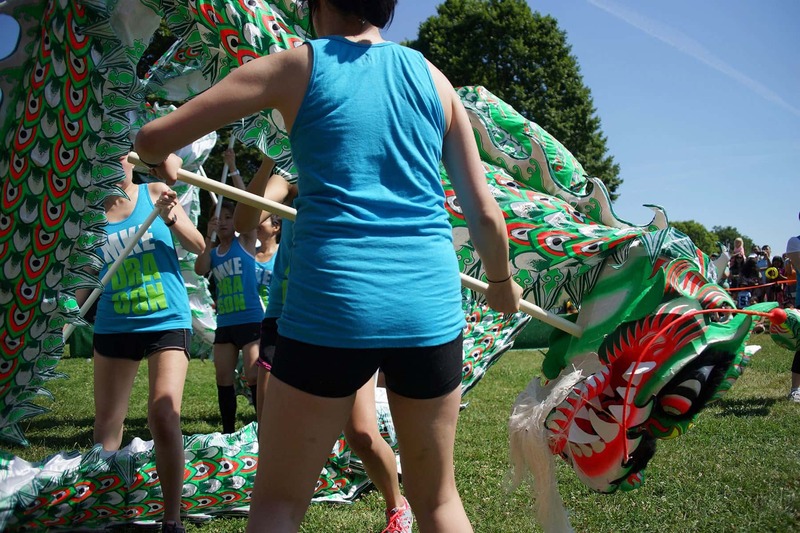 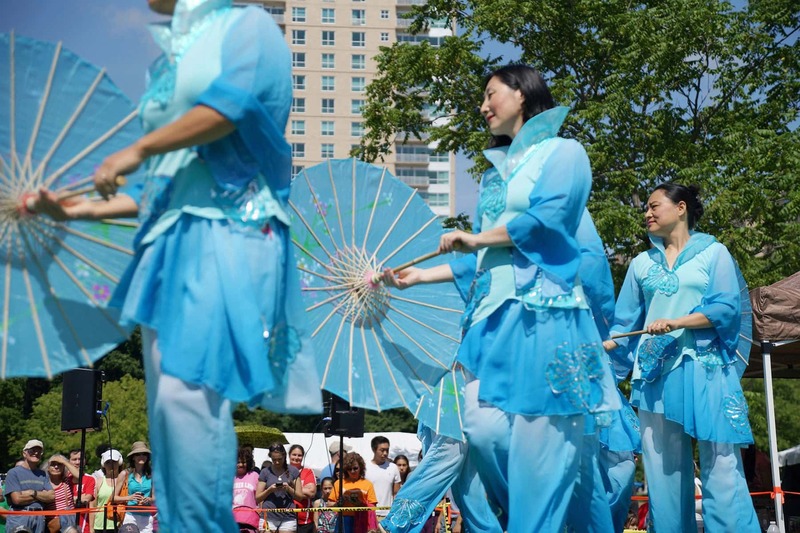 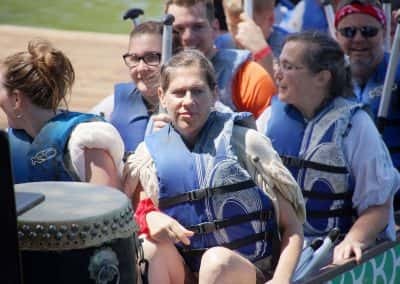 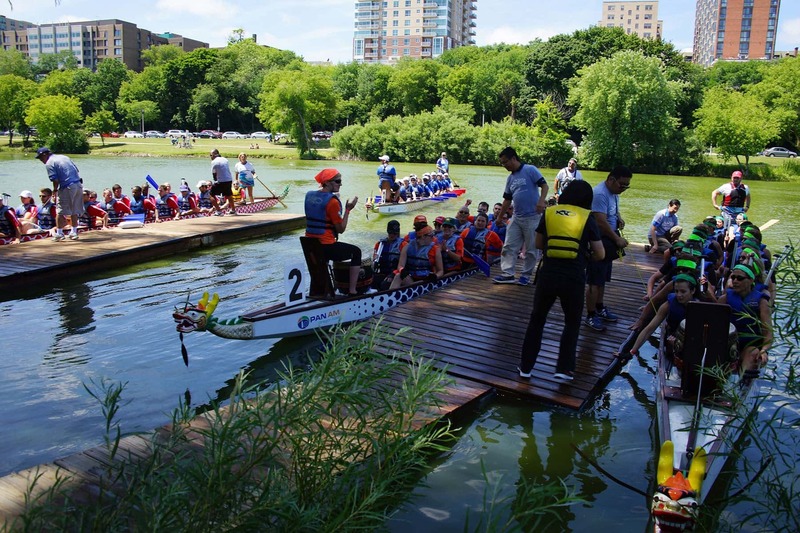 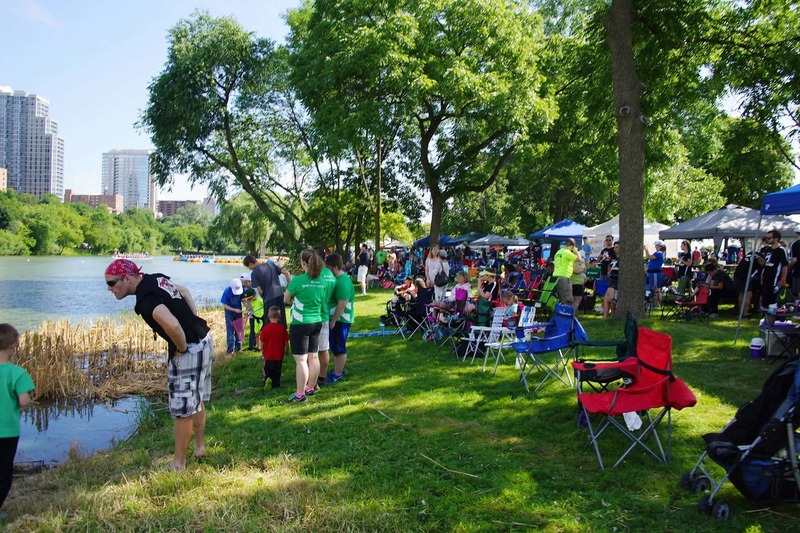 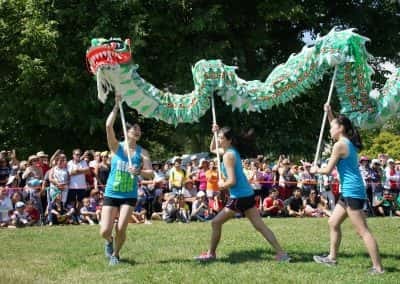 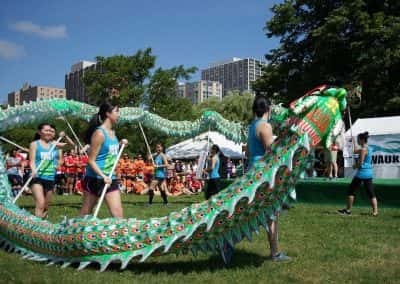 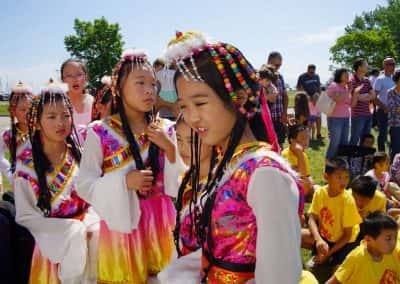 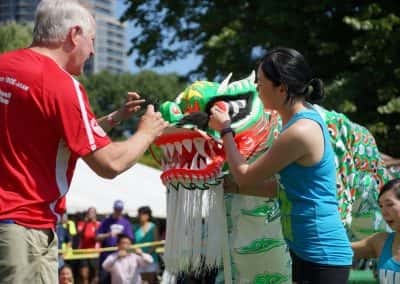 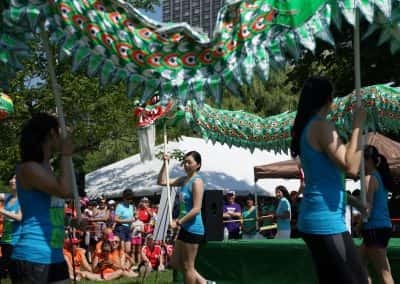 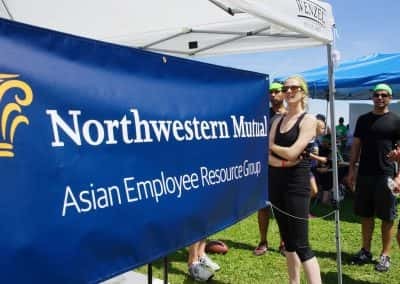 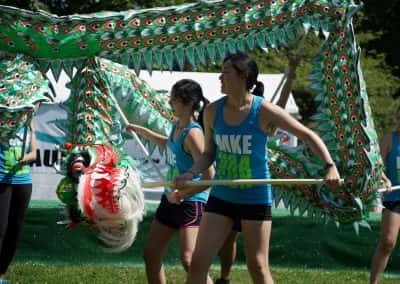 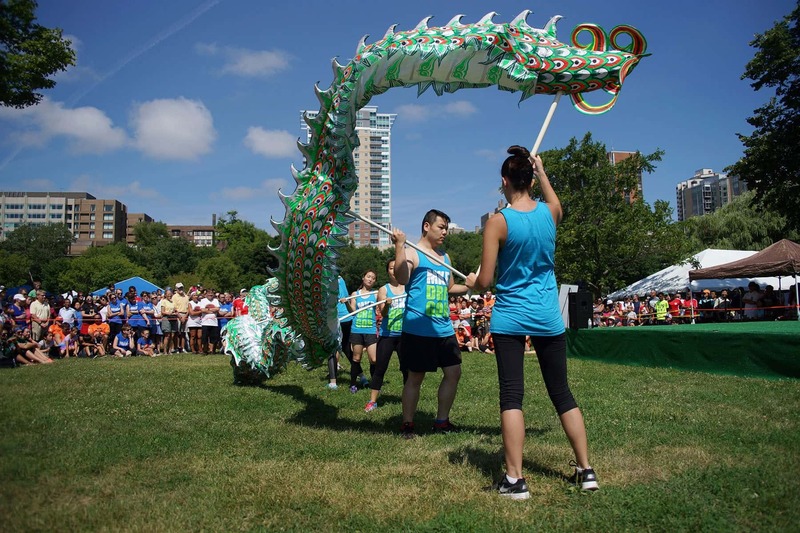 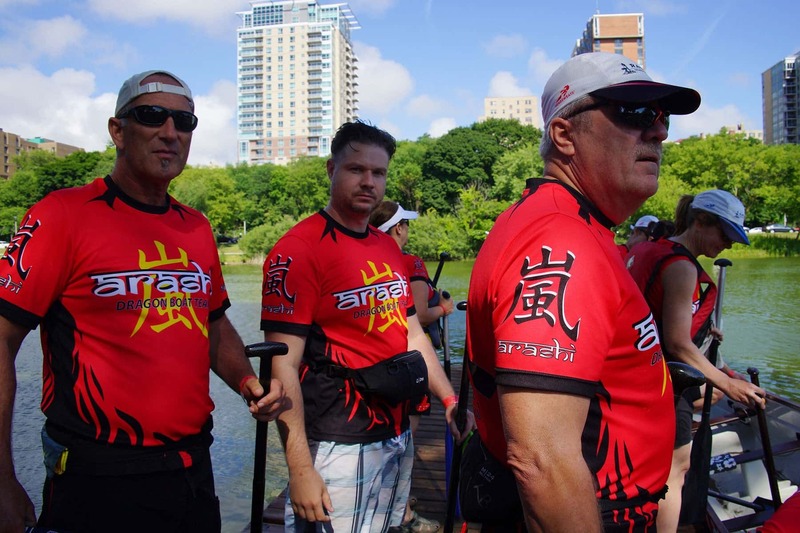 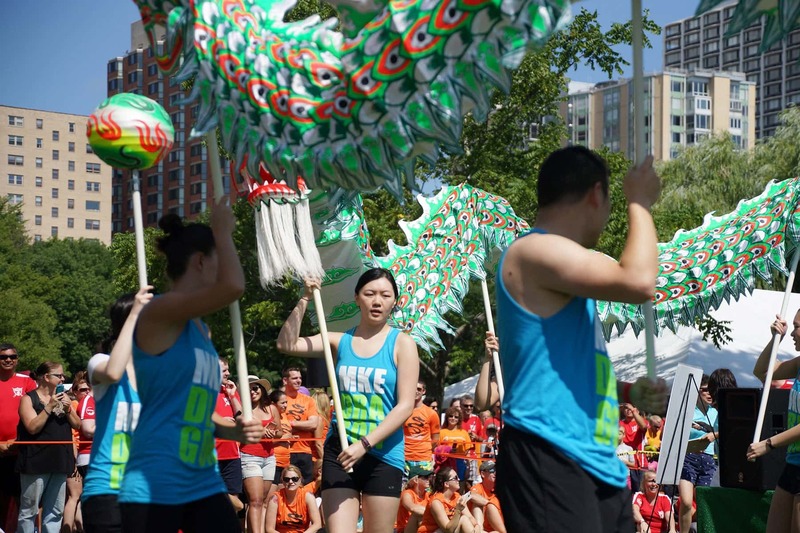 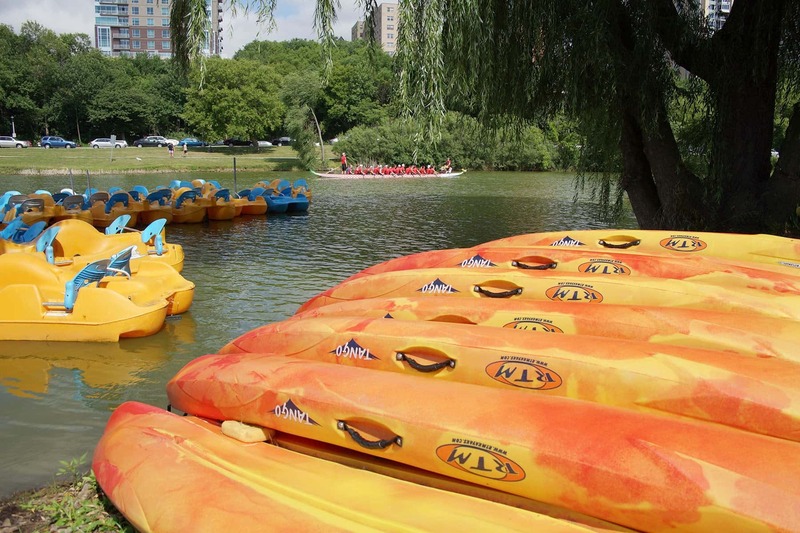 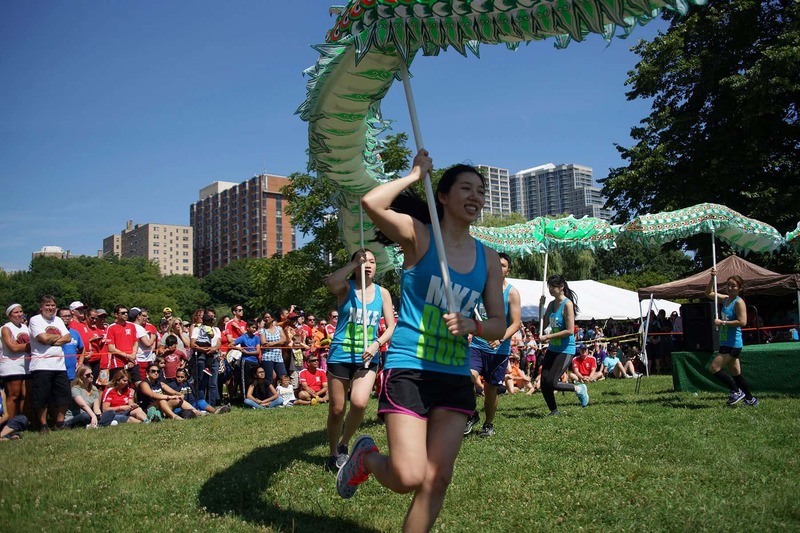 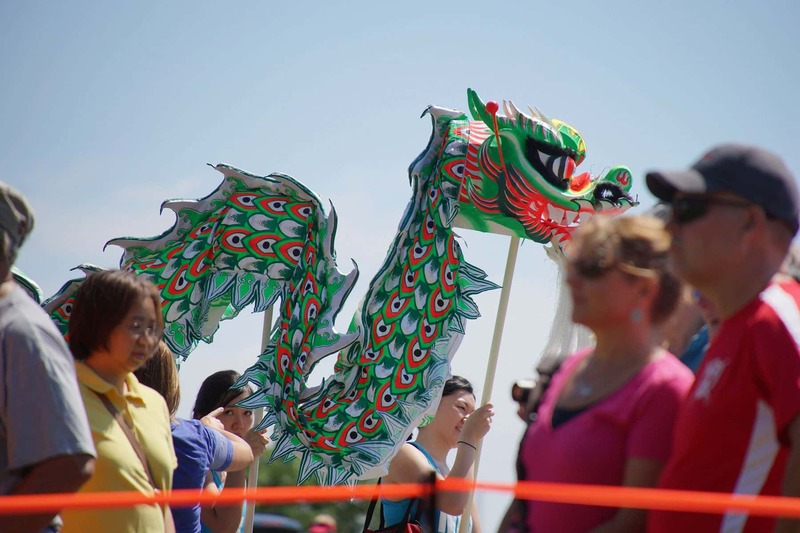 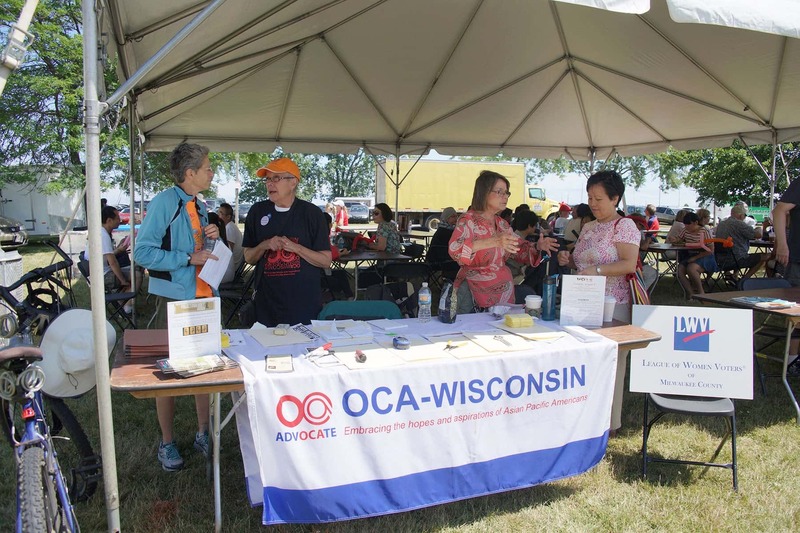 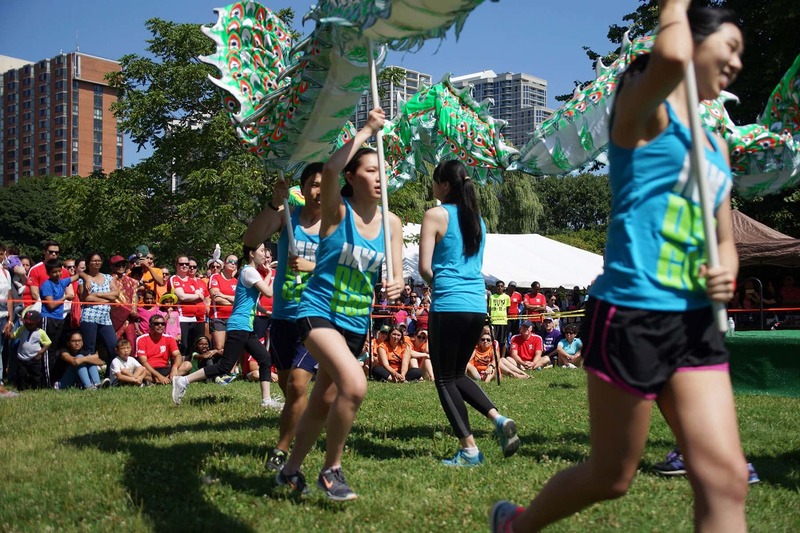 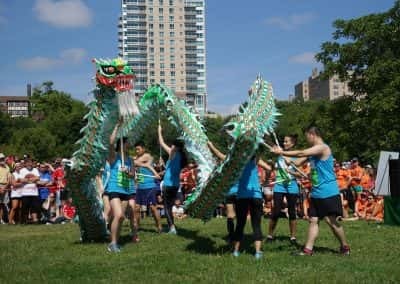 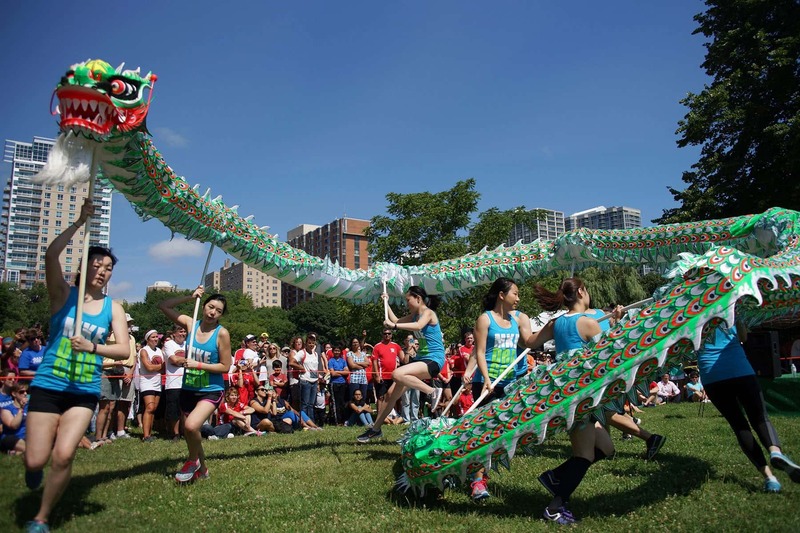 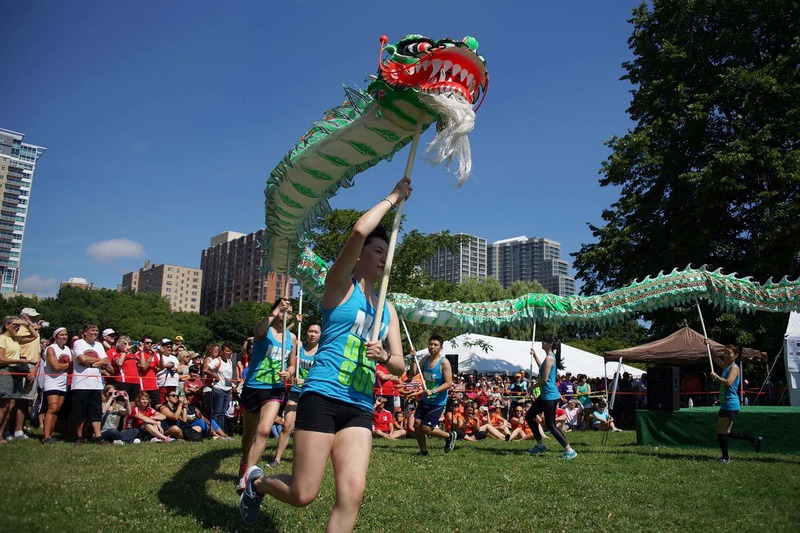 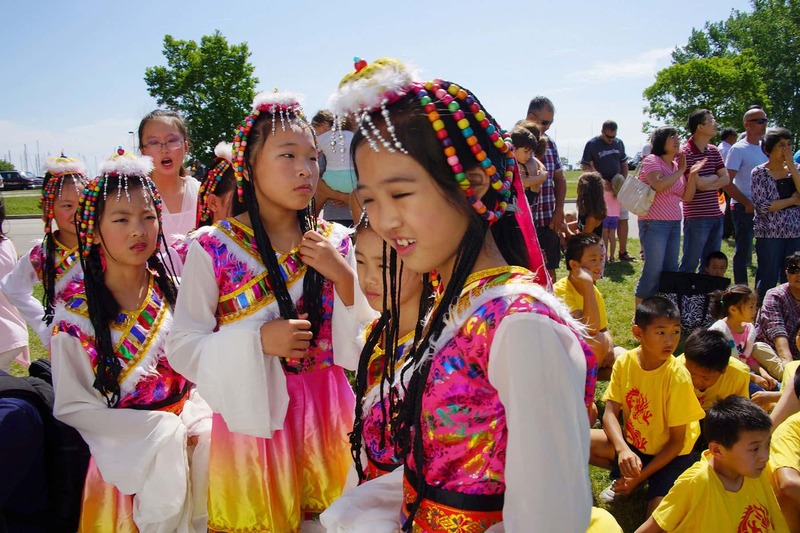 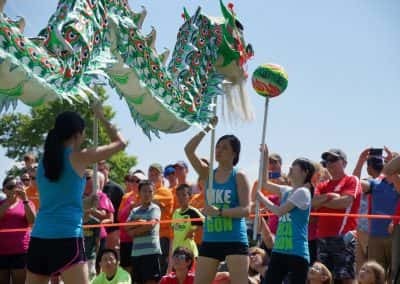 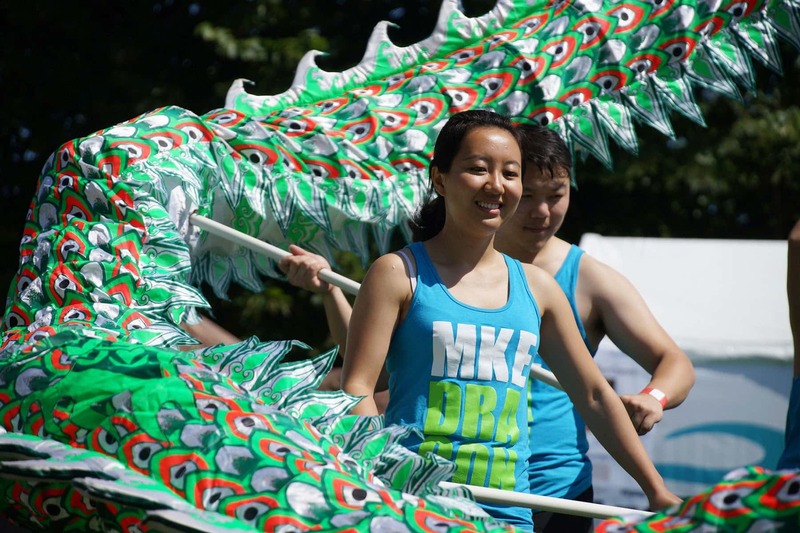 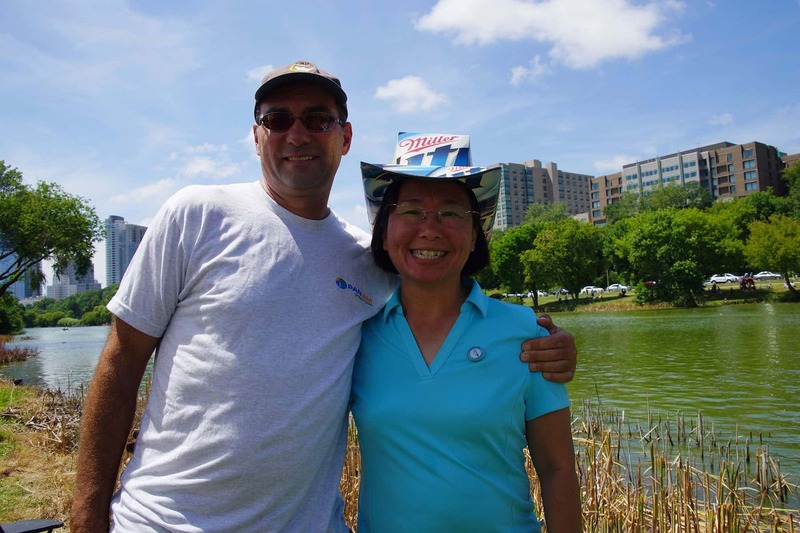 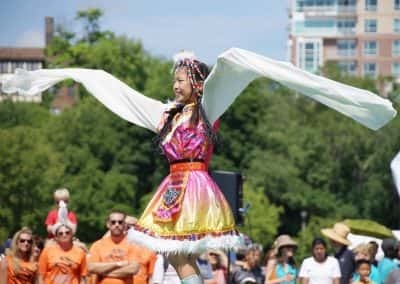 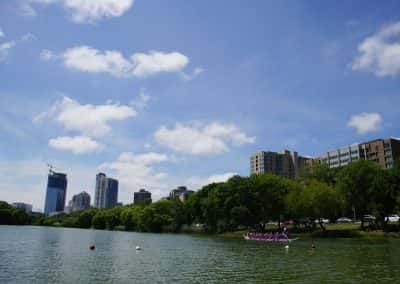 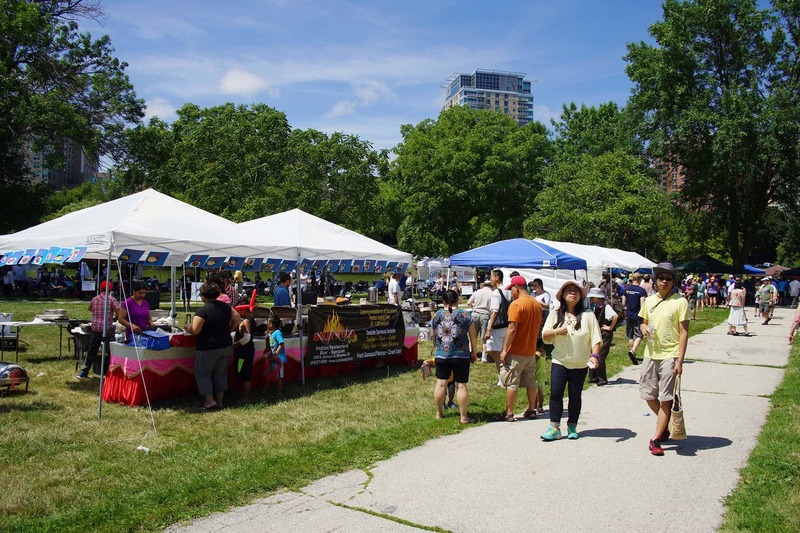 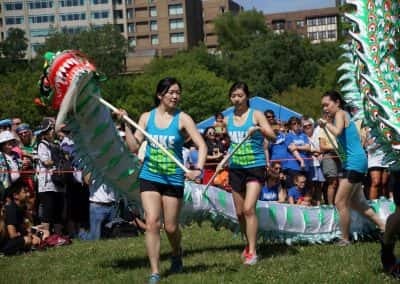 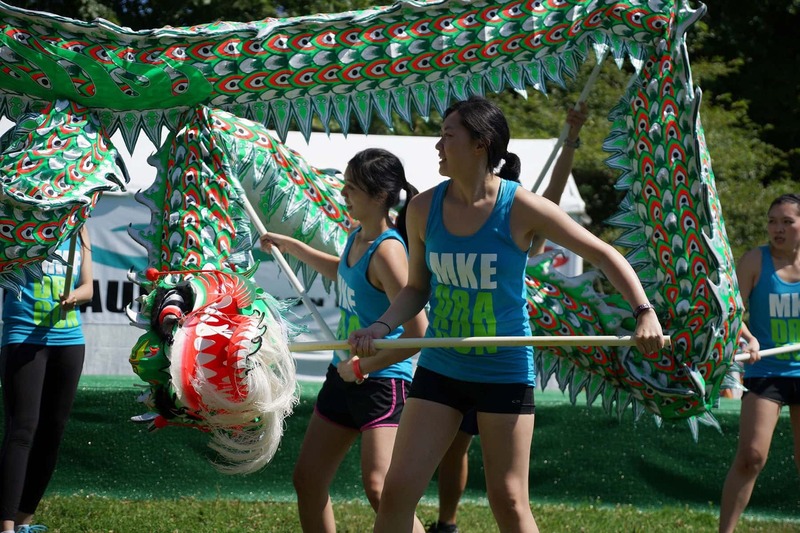 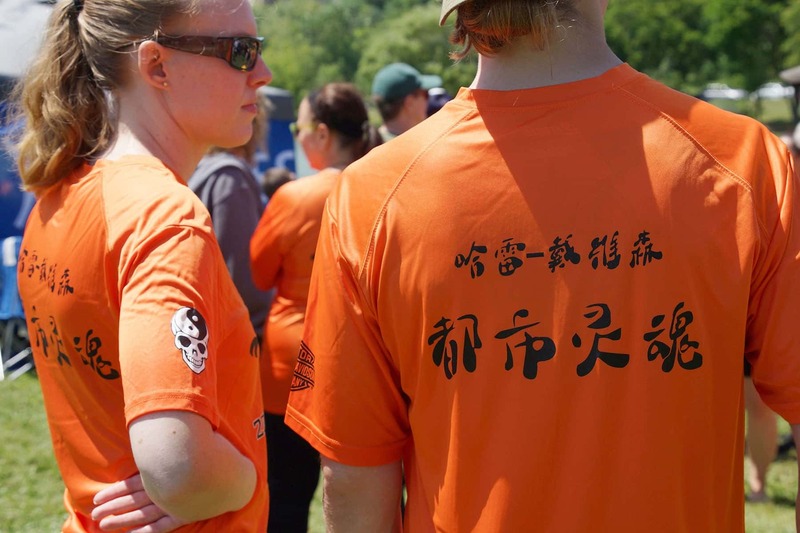 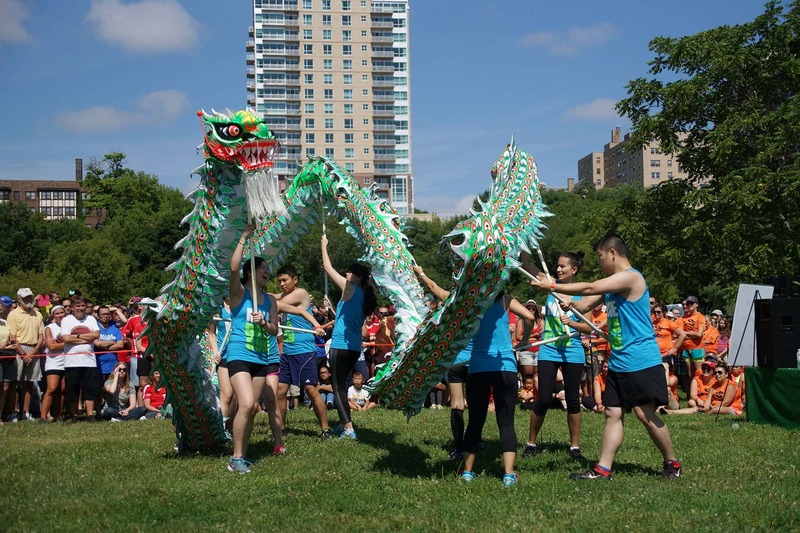 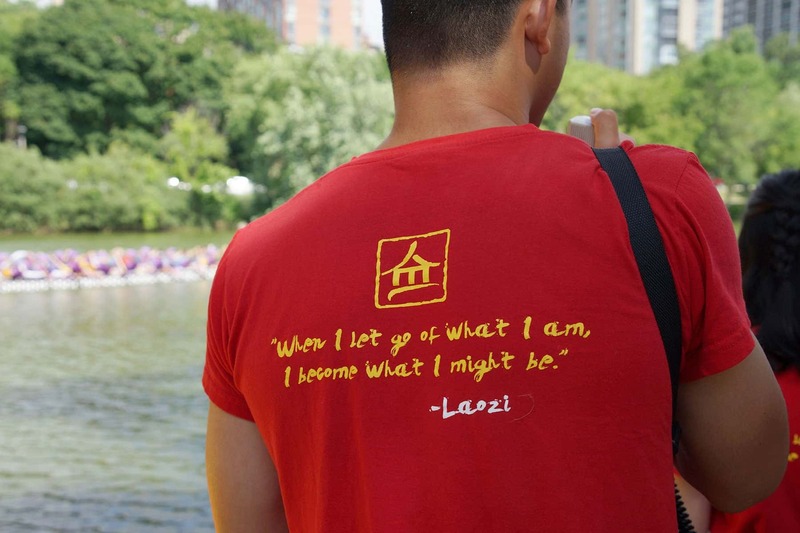 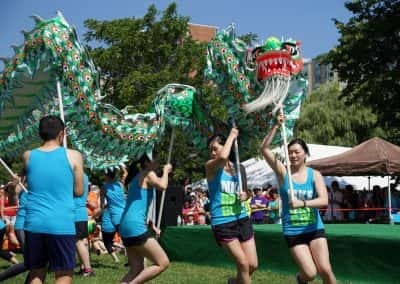 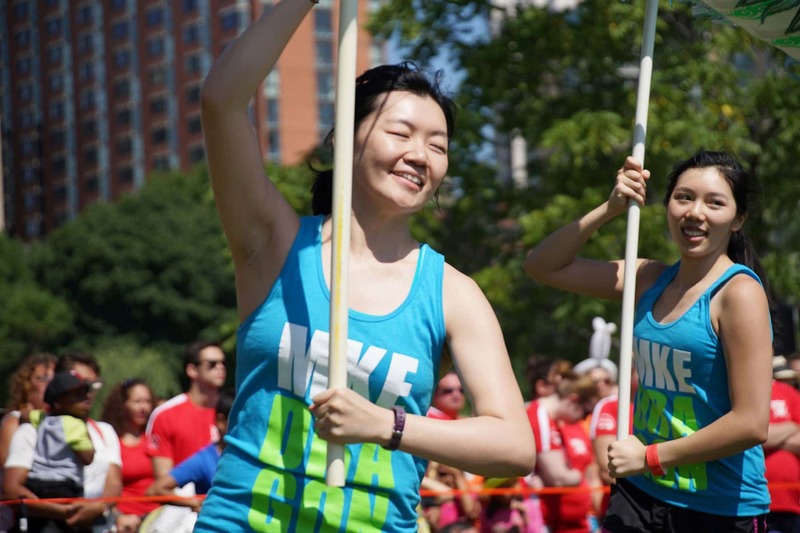 Members of the Milwaukee Chinese community hosted the 4th annual Dragon Boat Festival at Veterans Park. 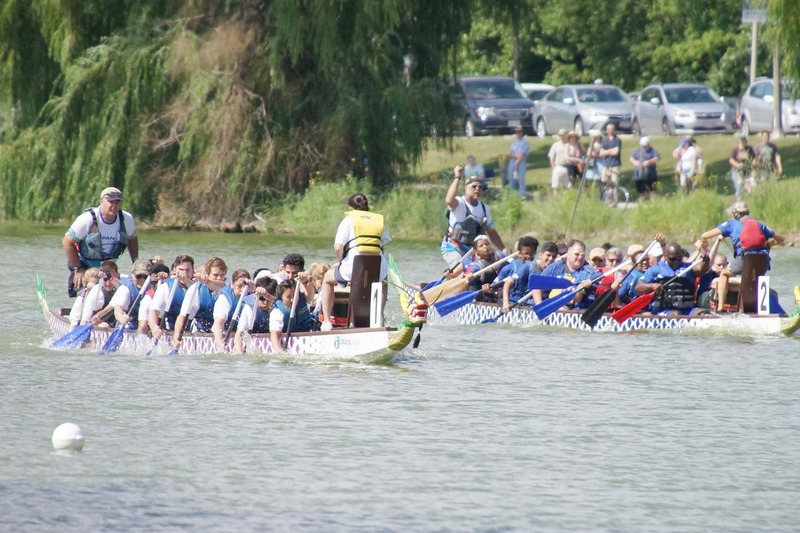 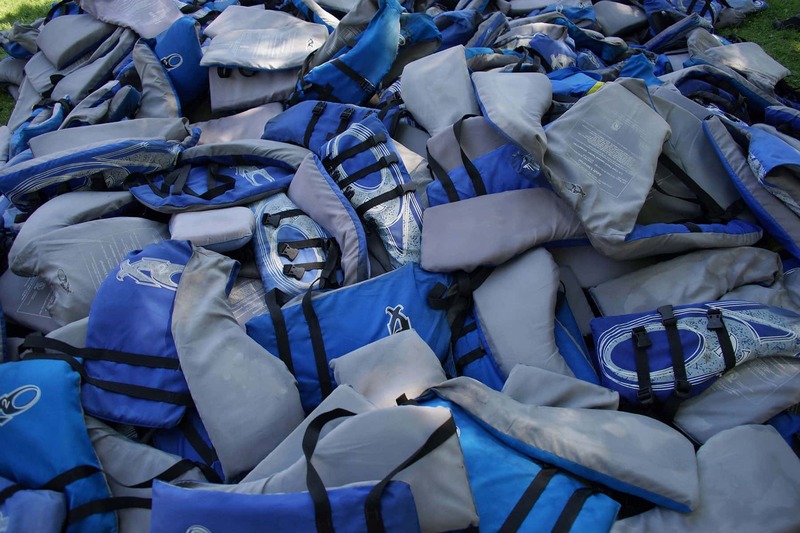 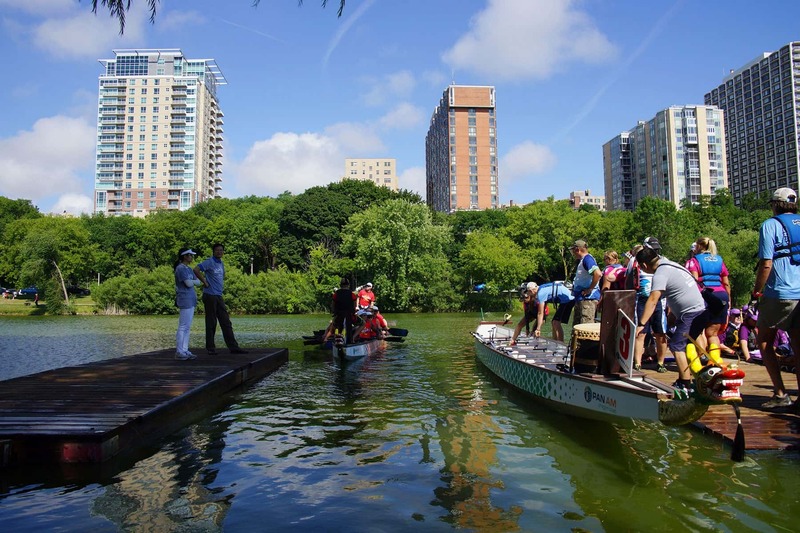 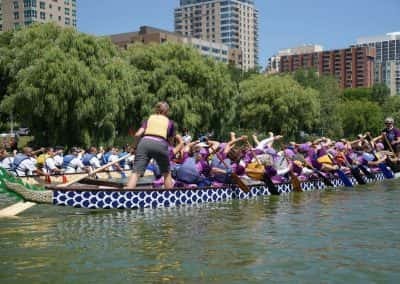 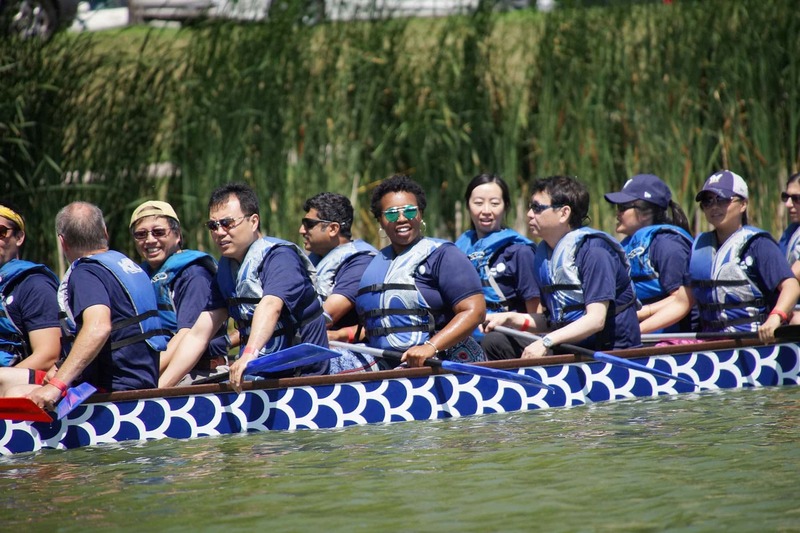 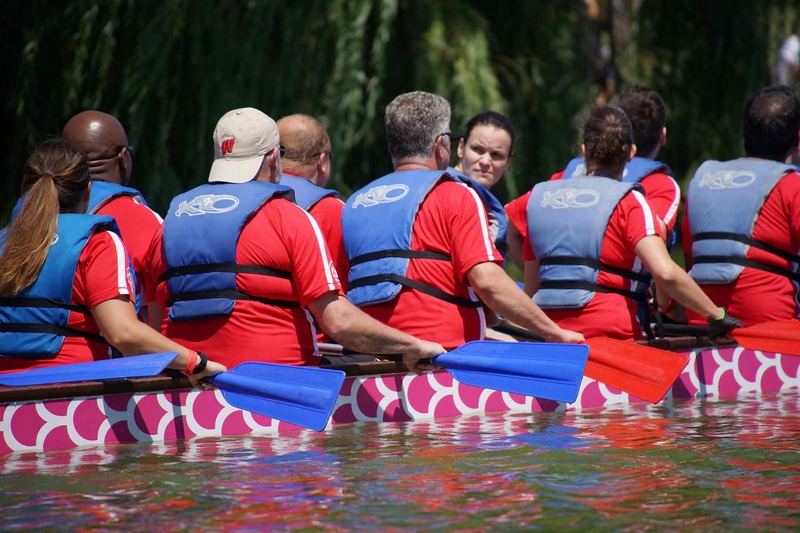 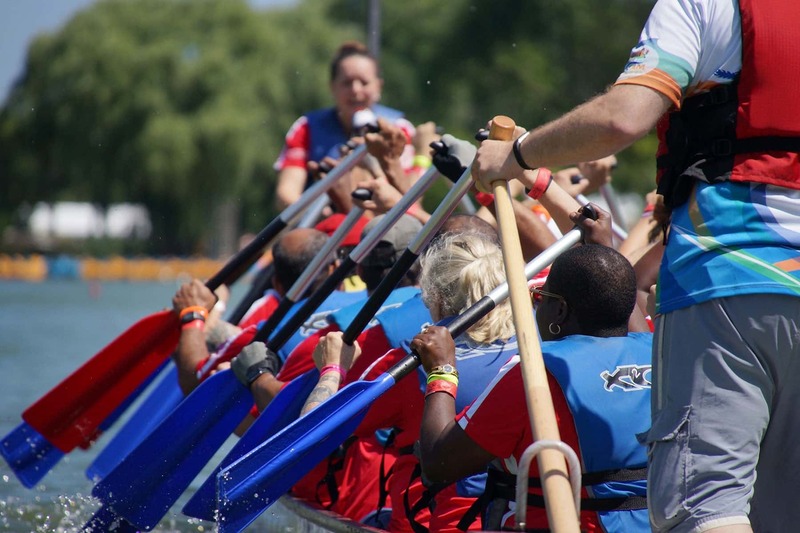 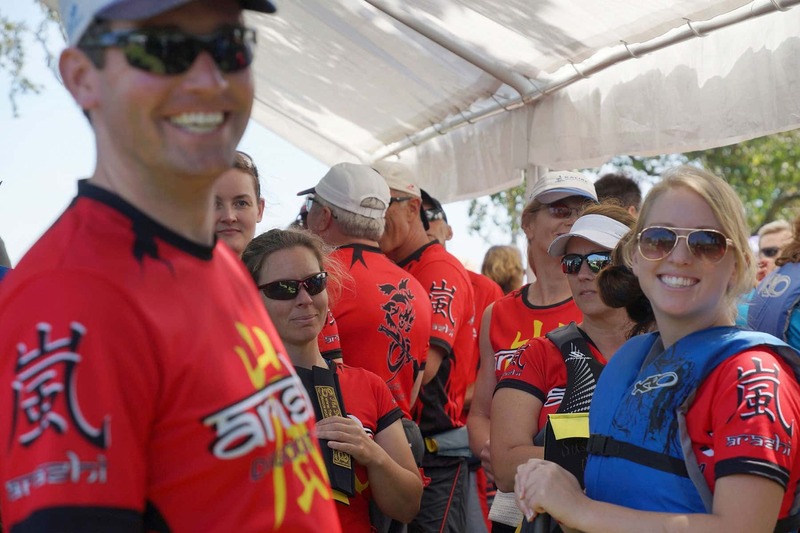 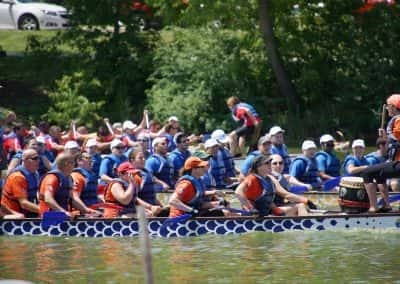 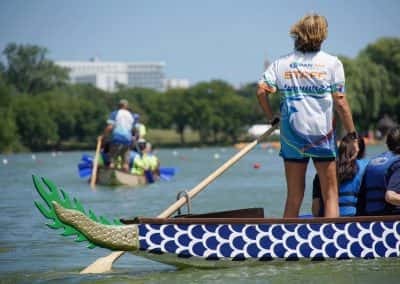 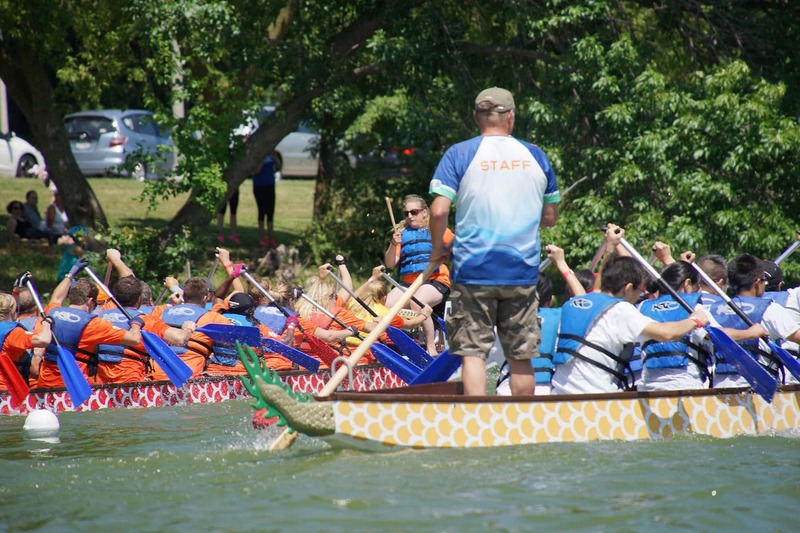 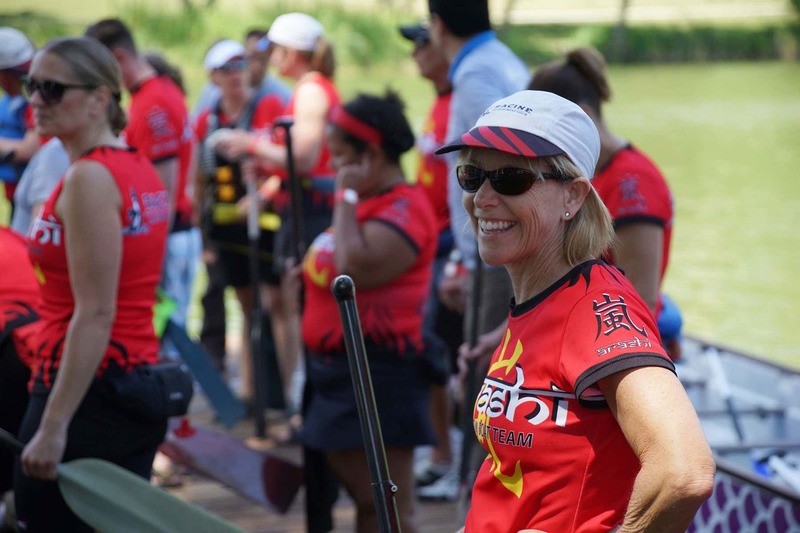 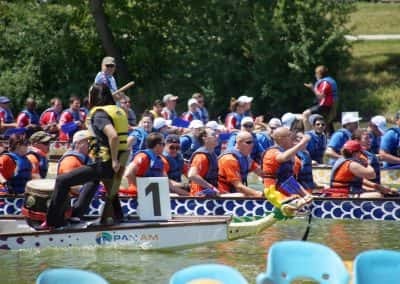 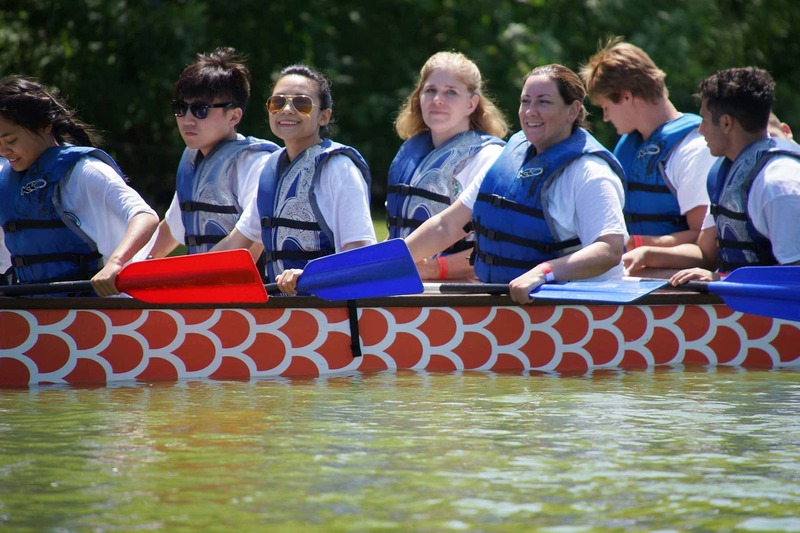 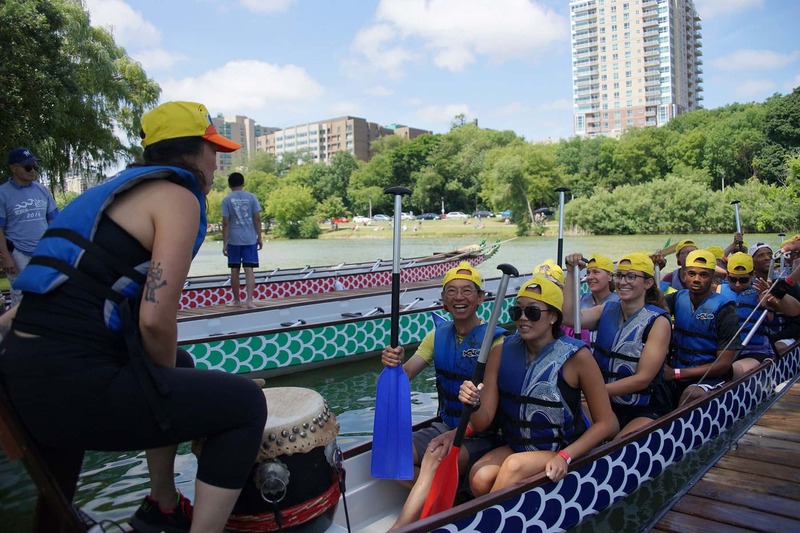 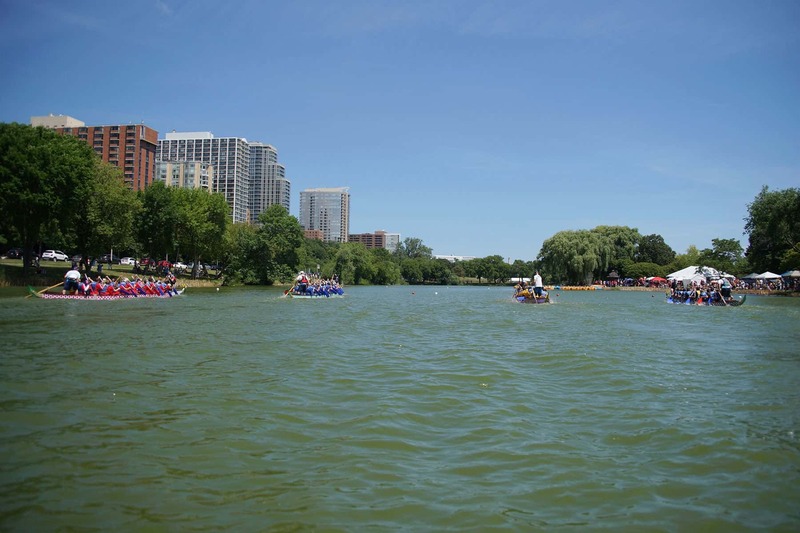 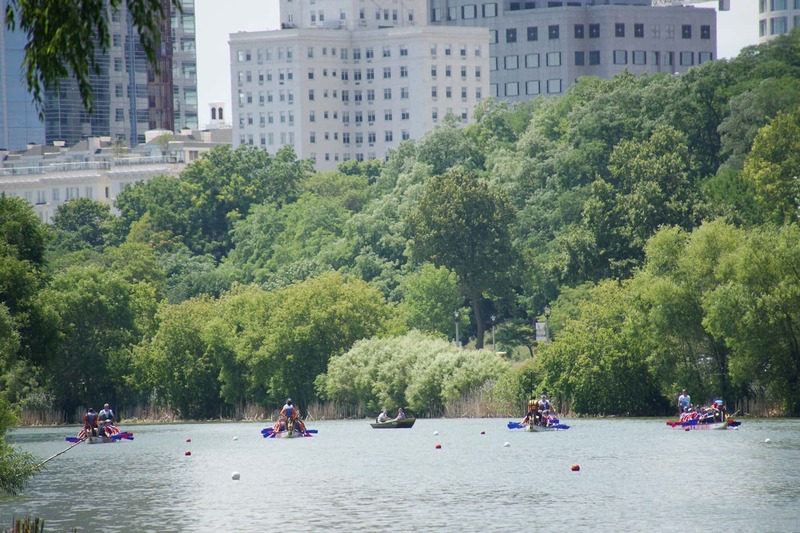 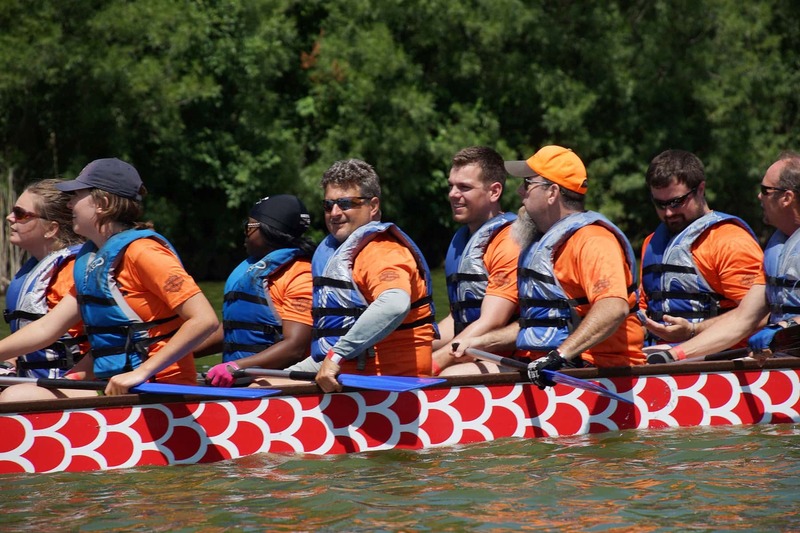 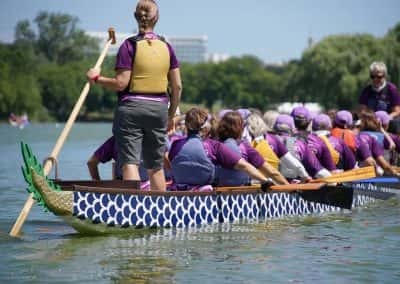 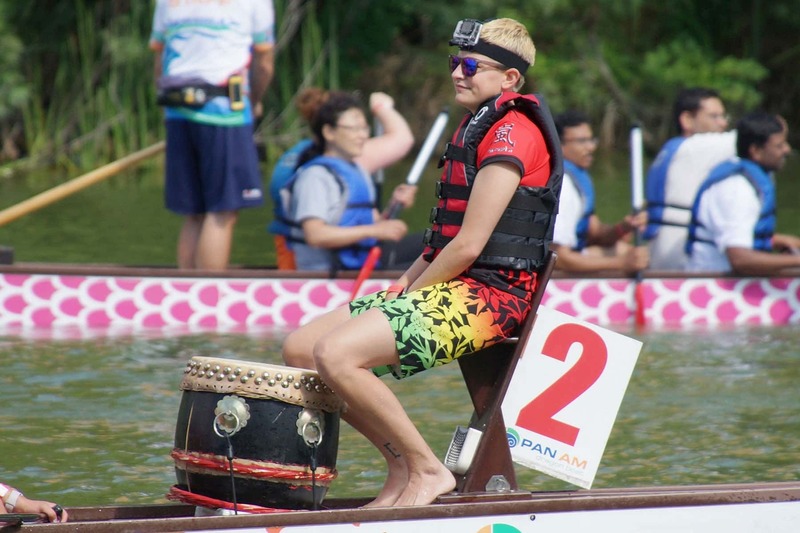 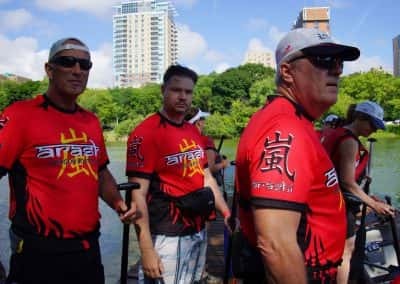 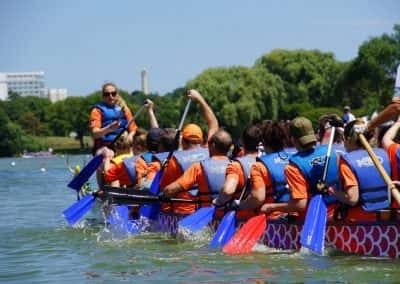 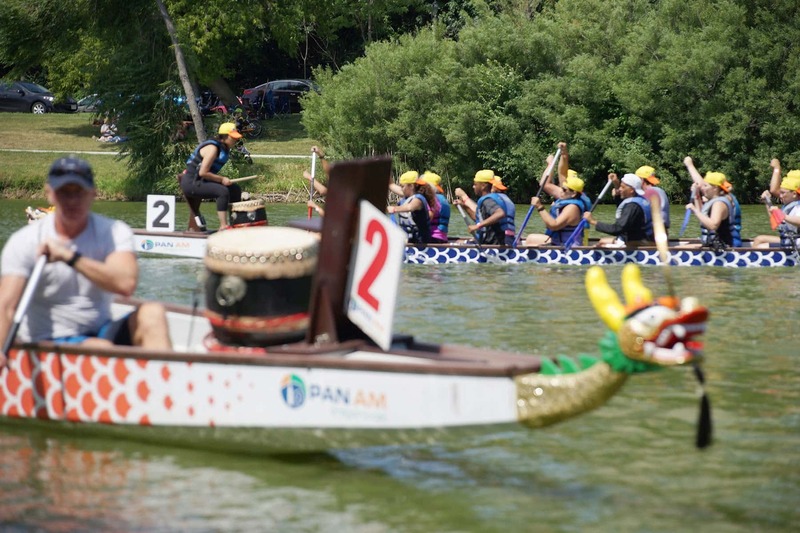 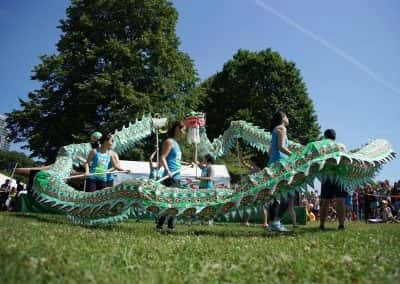 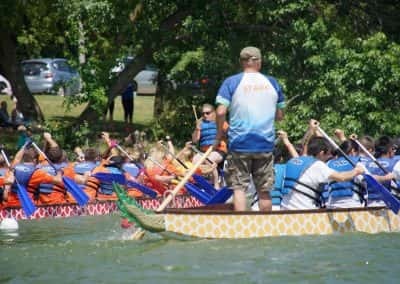 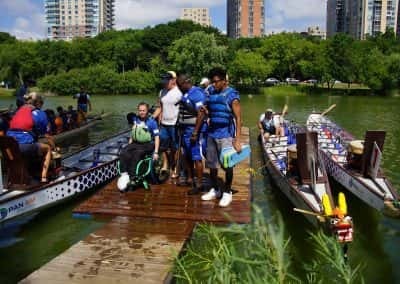 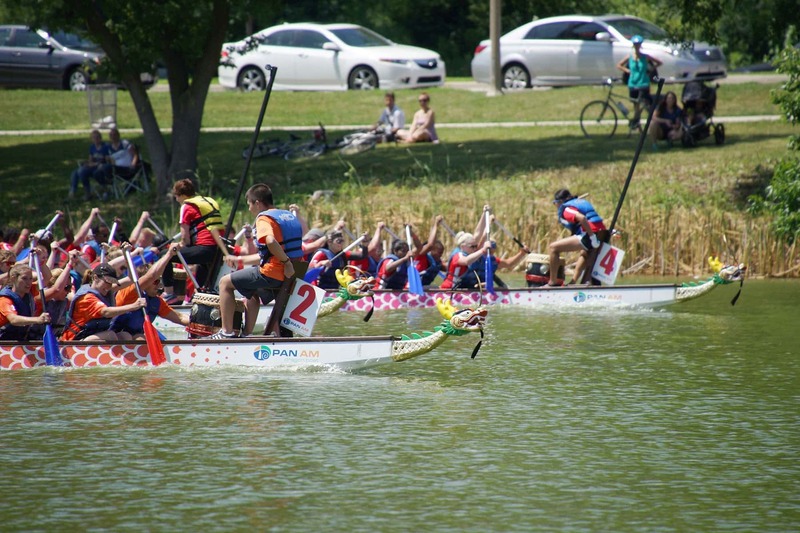 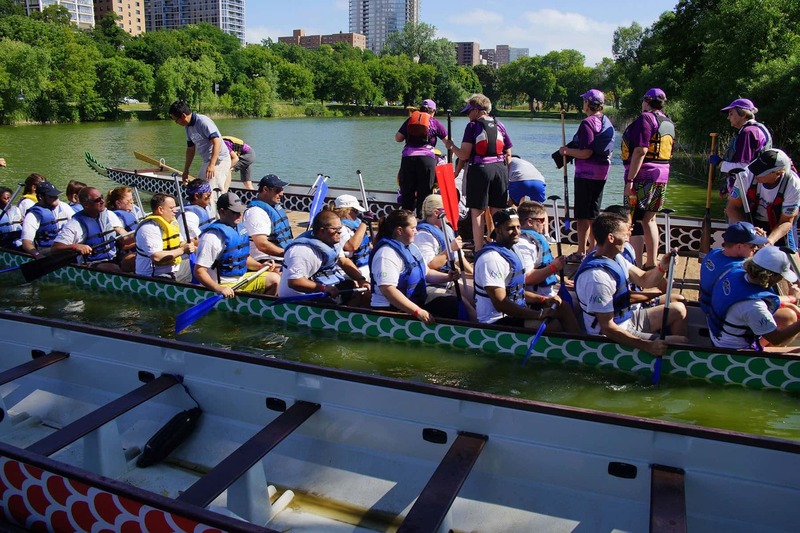 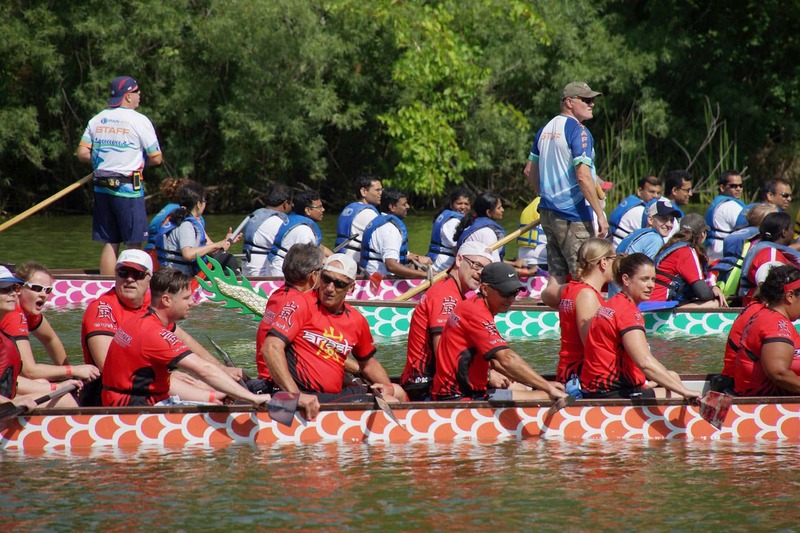 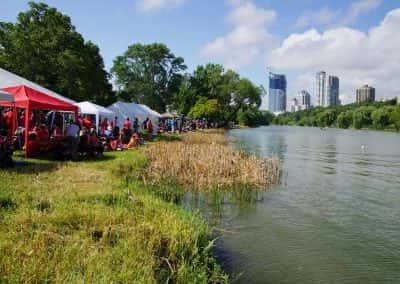 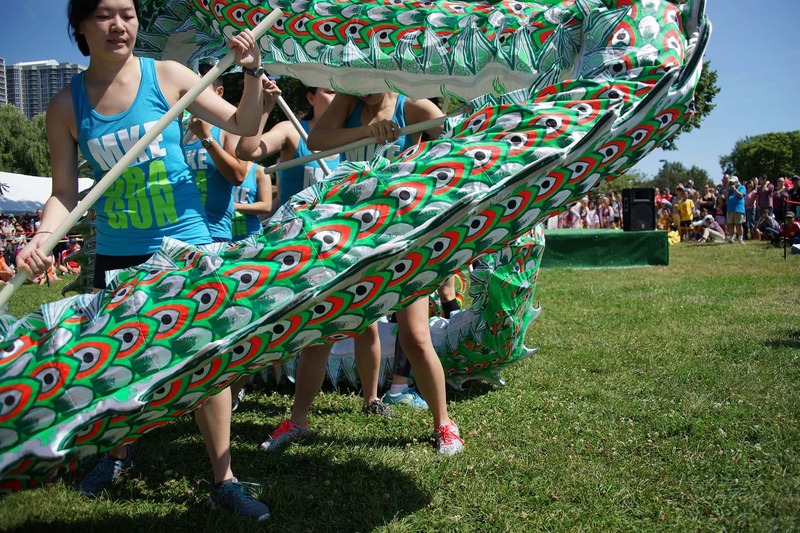 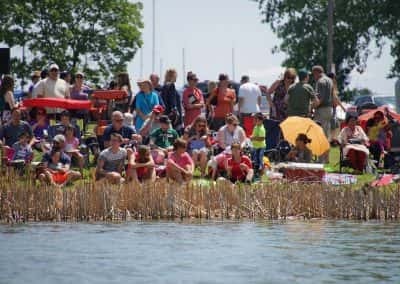 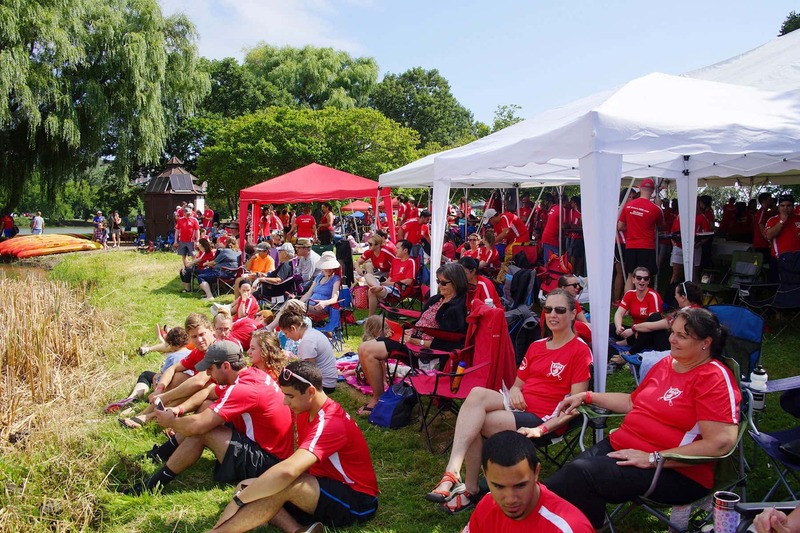 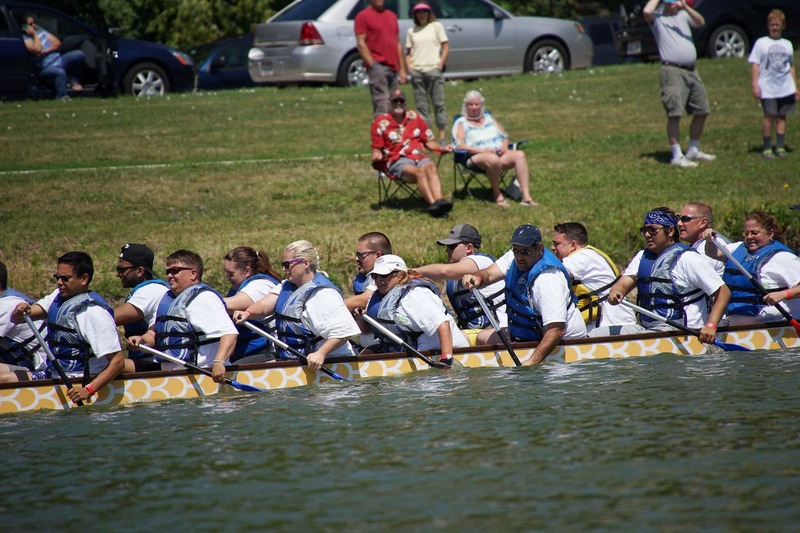 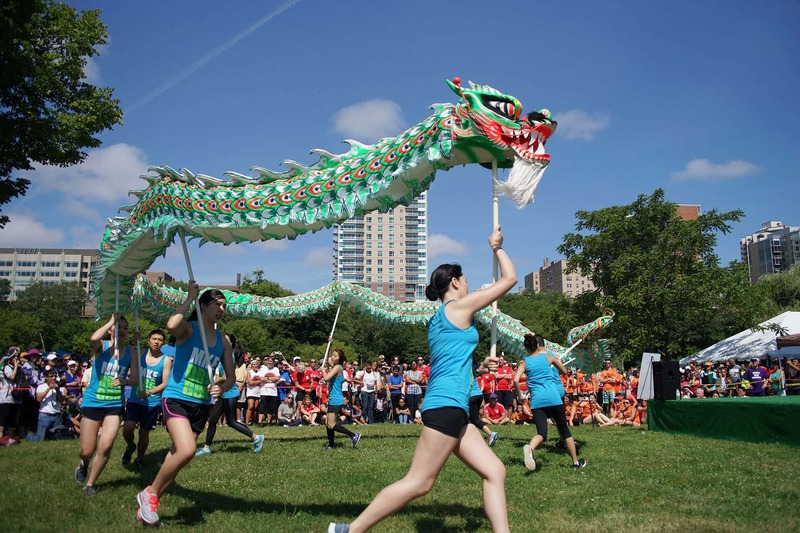 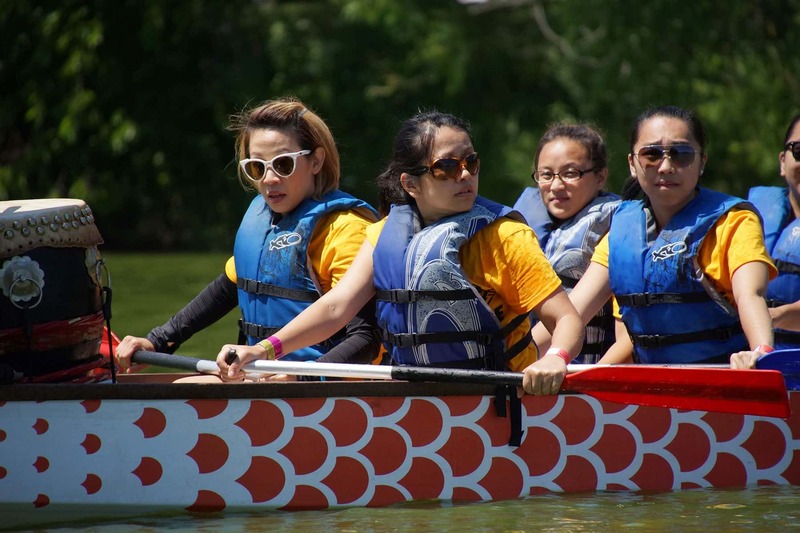 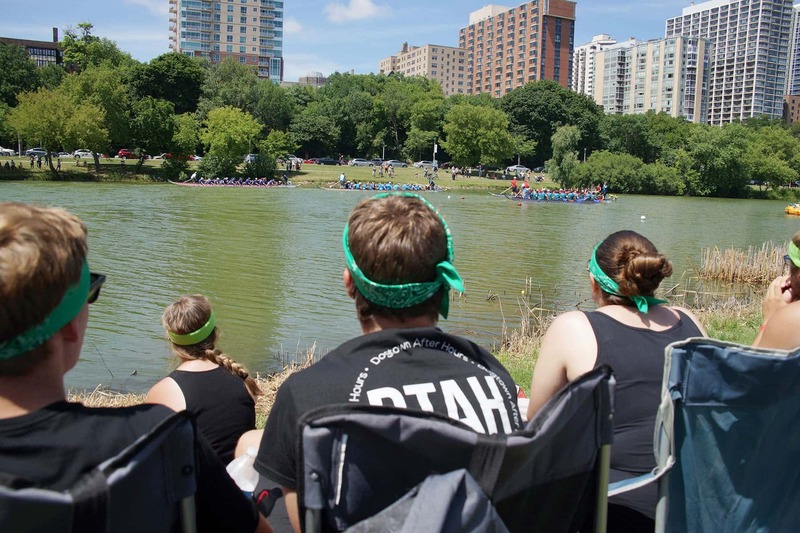 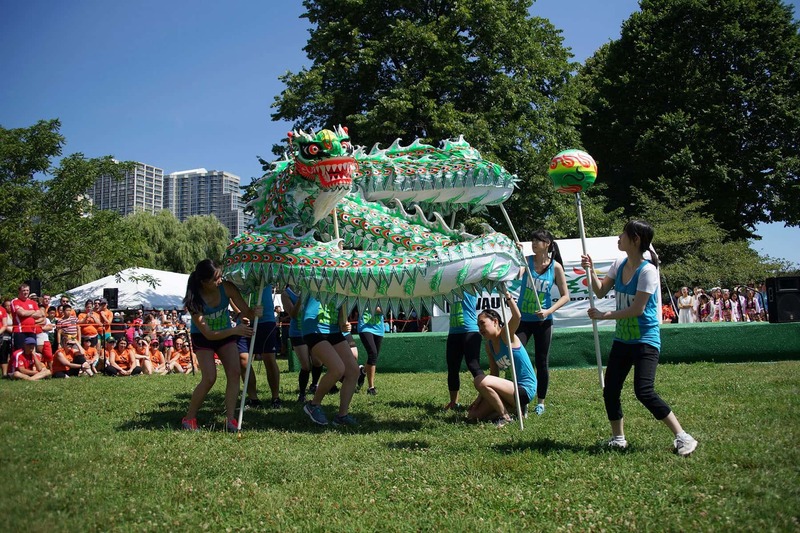 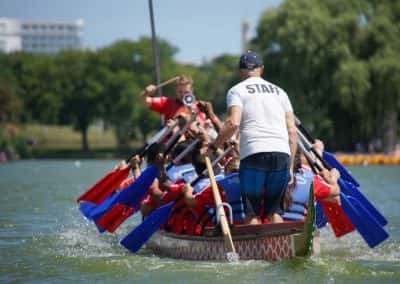 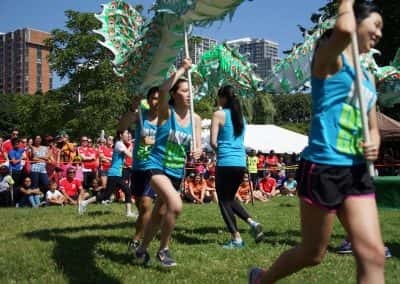 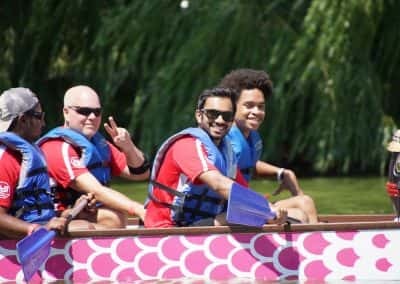 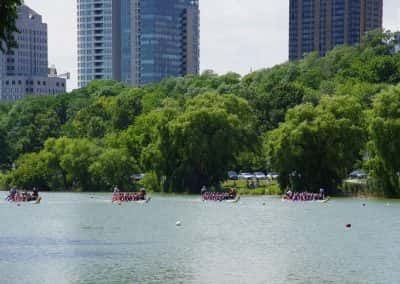 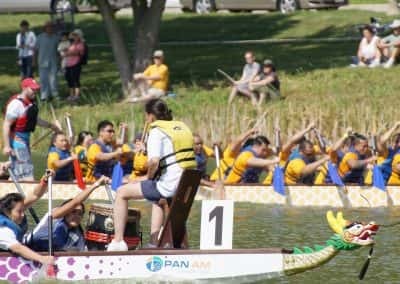 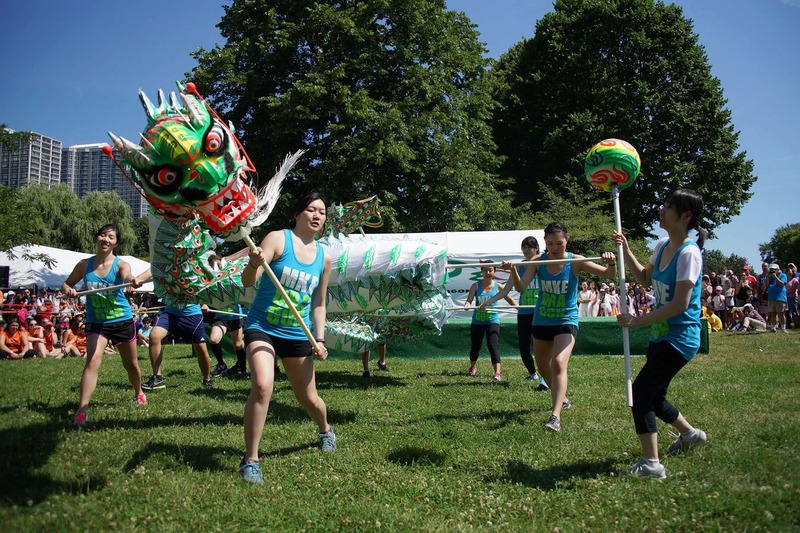 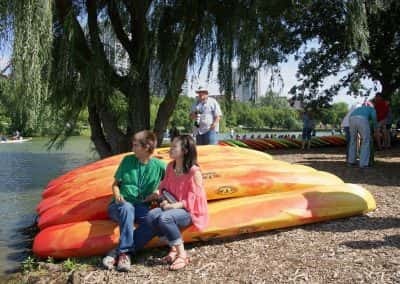 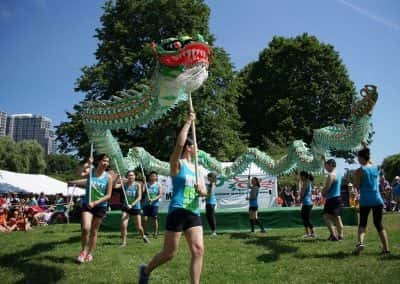 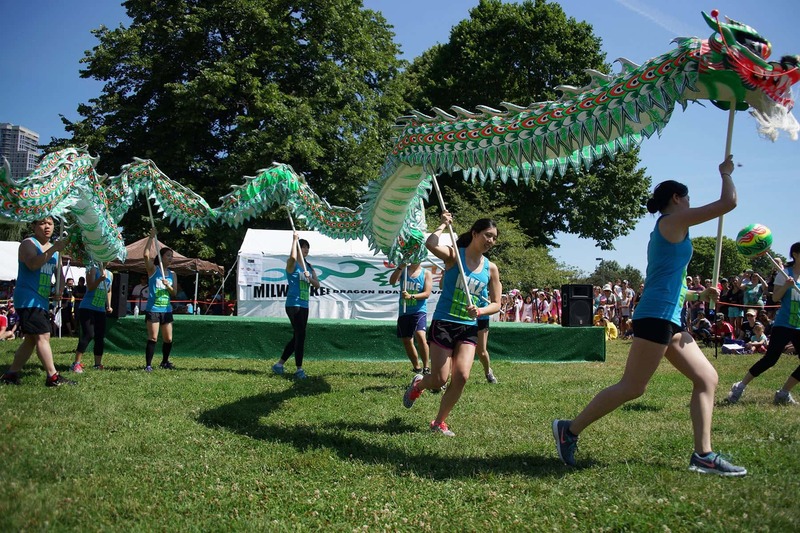 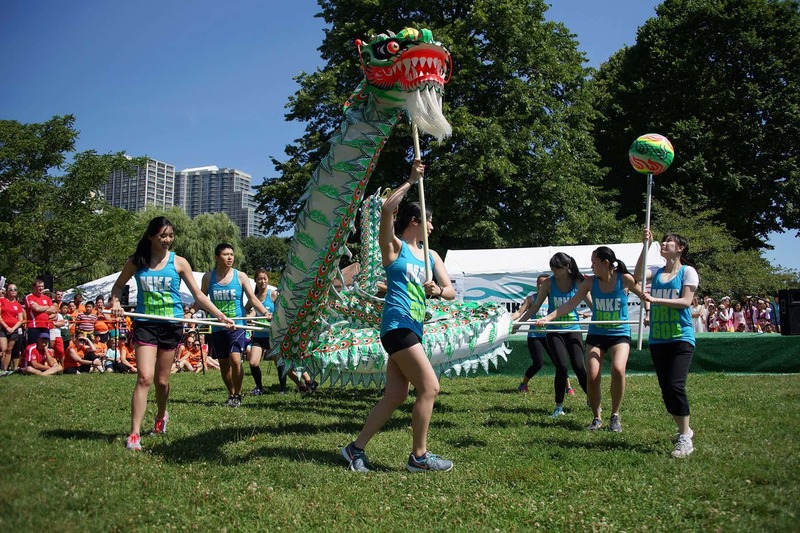 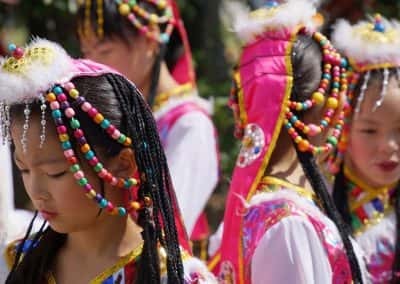 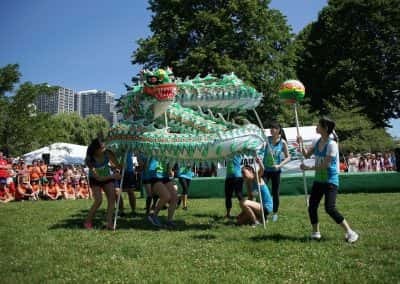 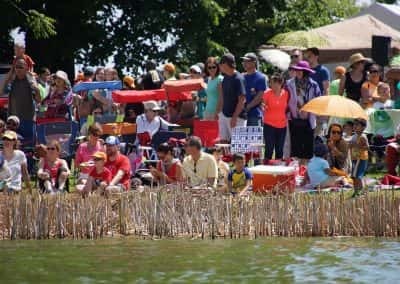 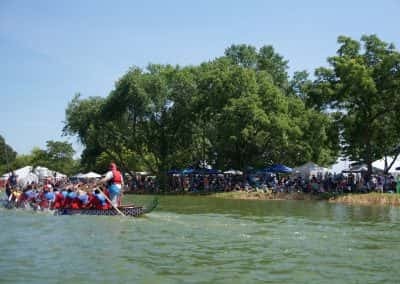 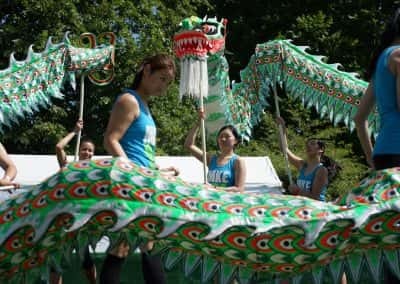 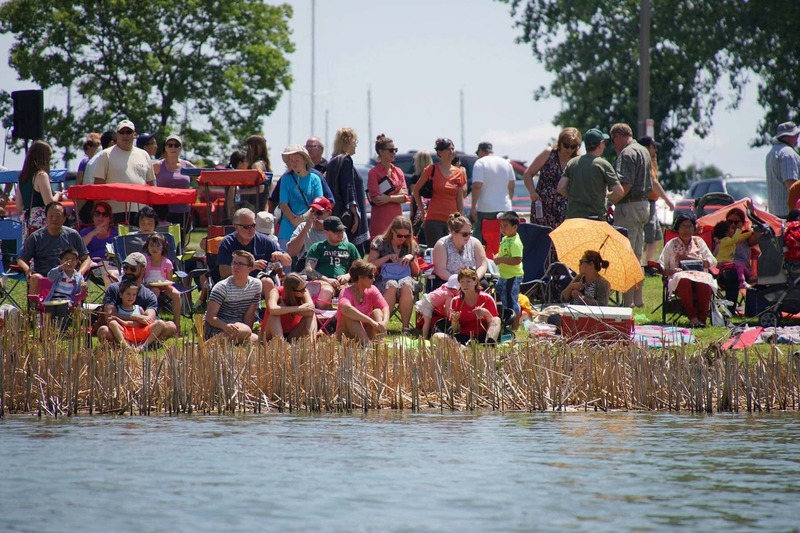 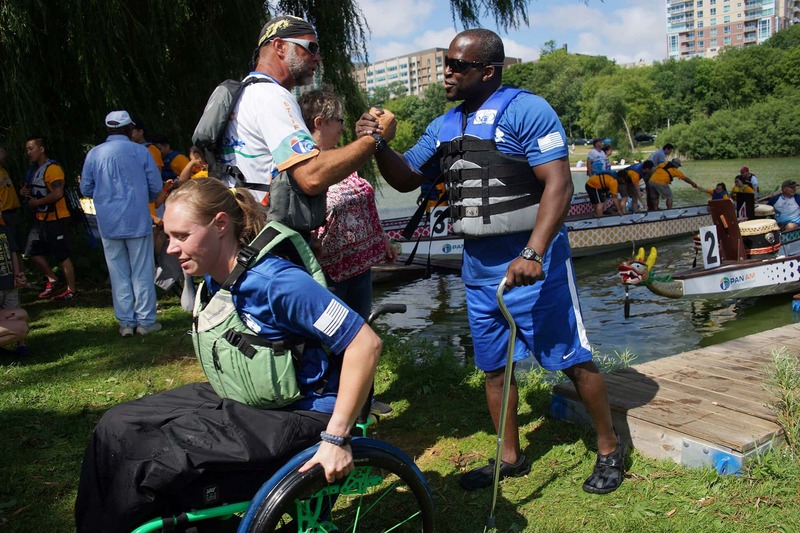 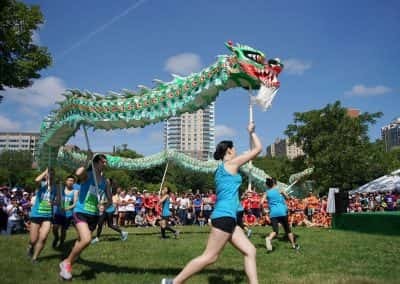 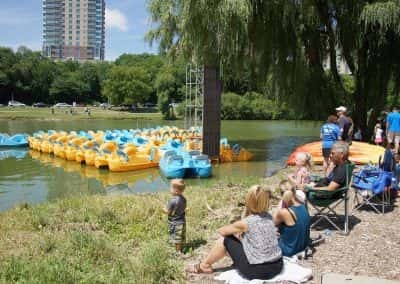 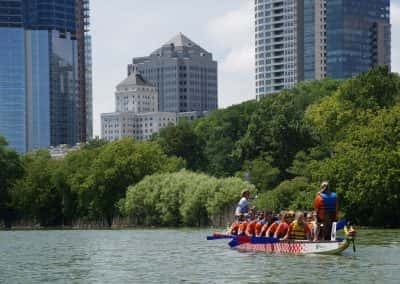 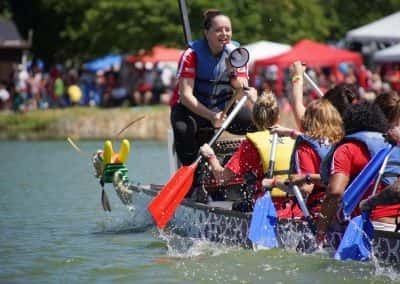 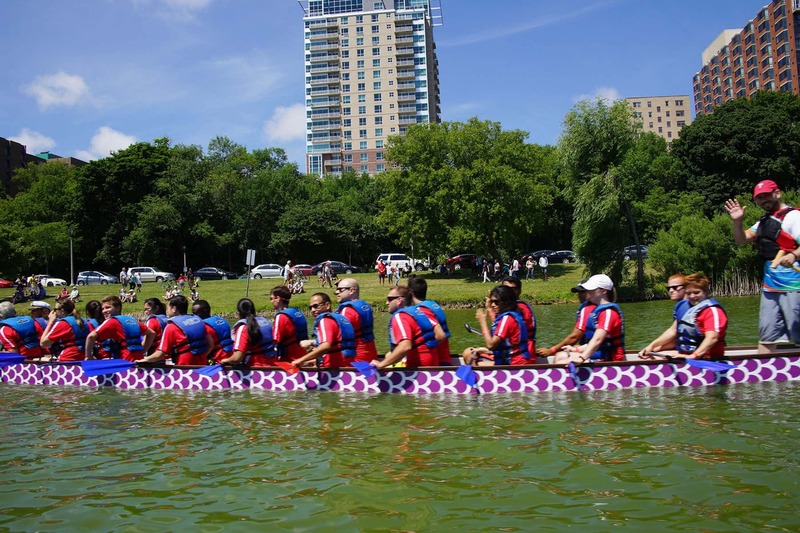 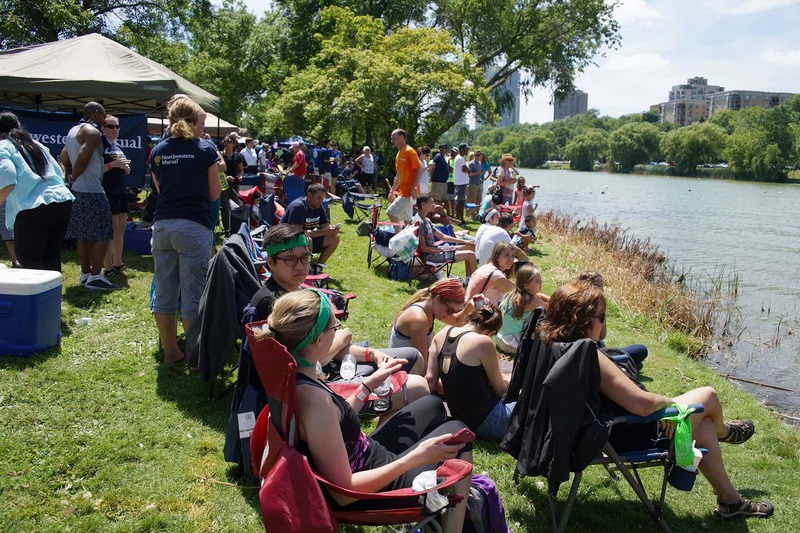 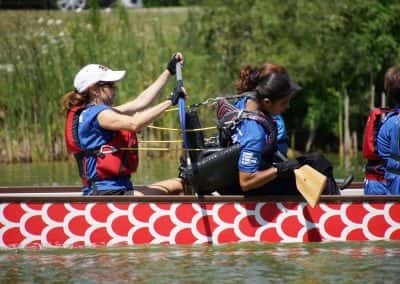 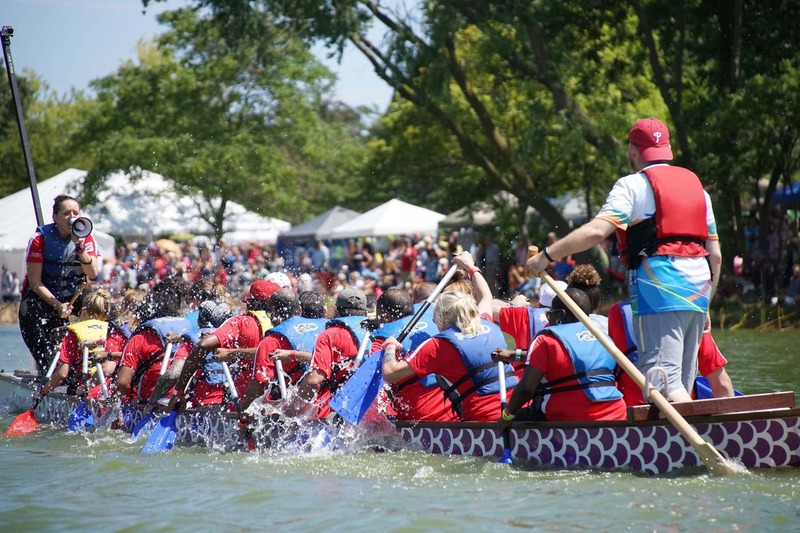 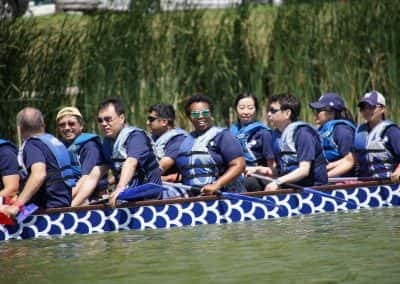 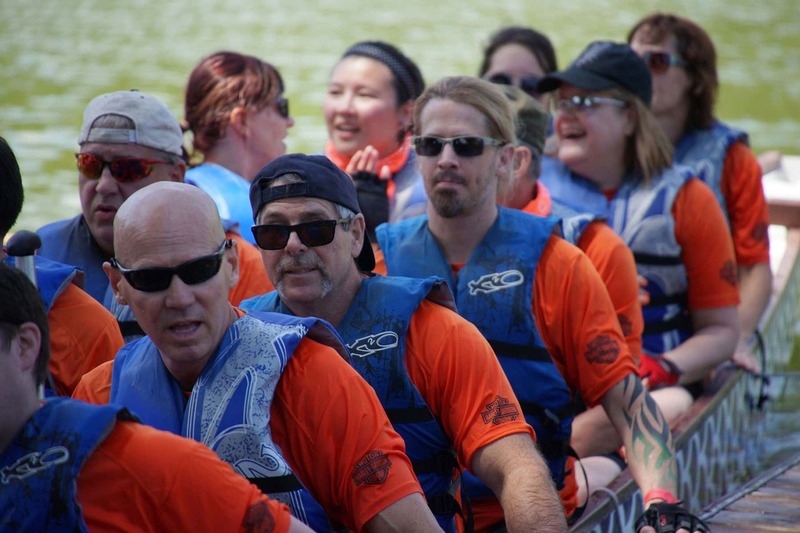 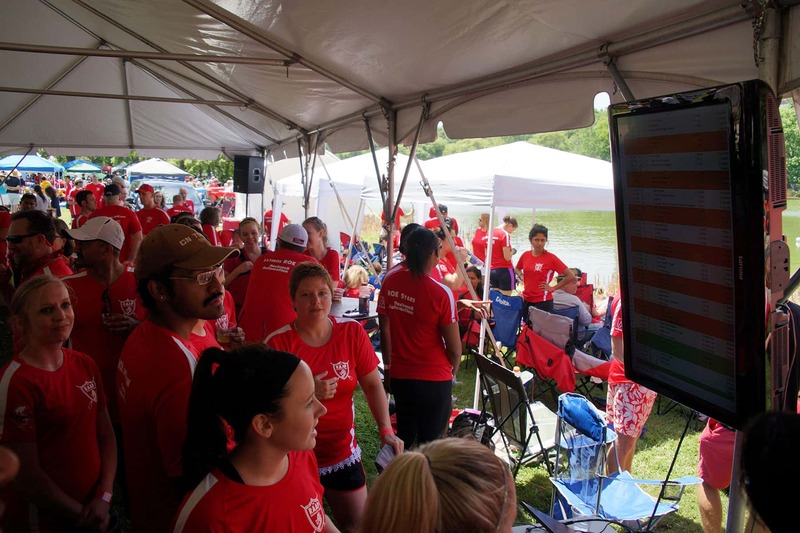 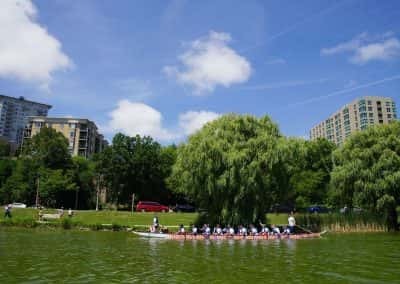 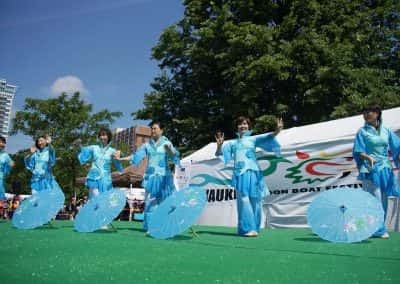 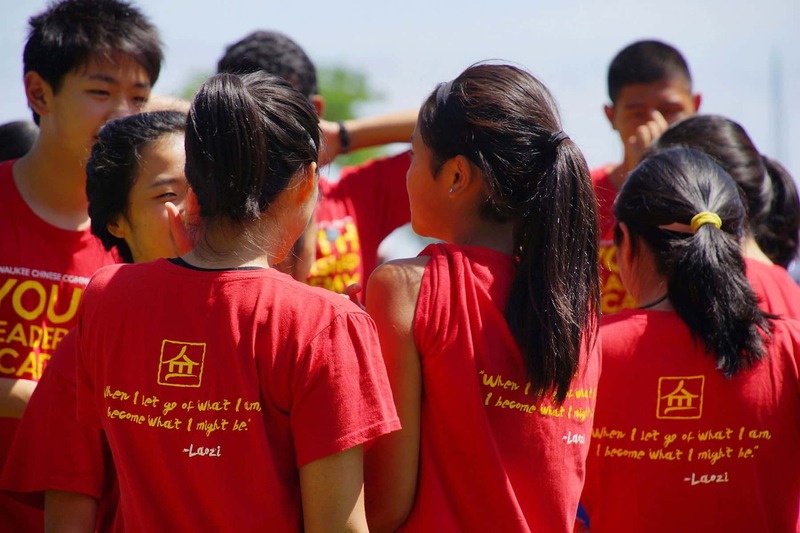 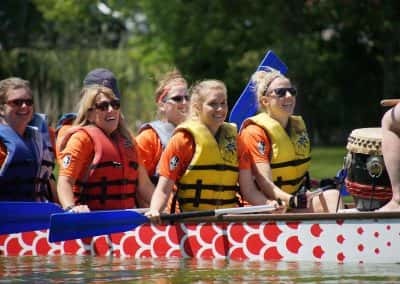 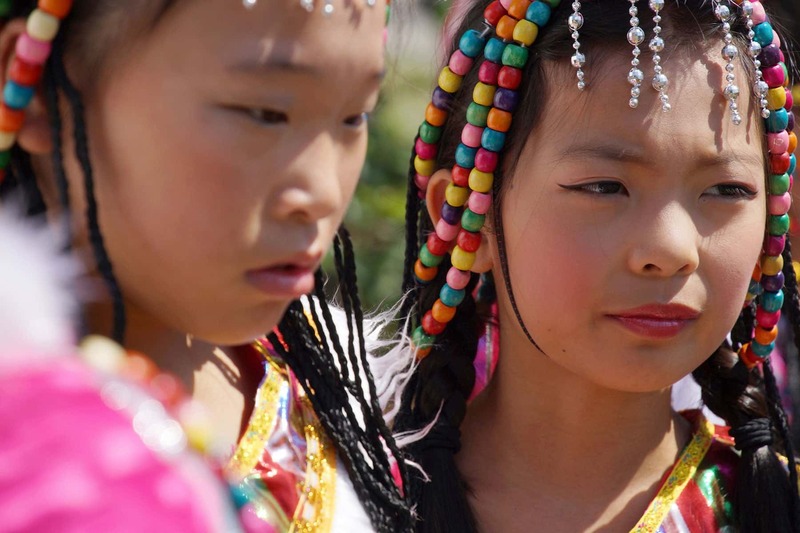 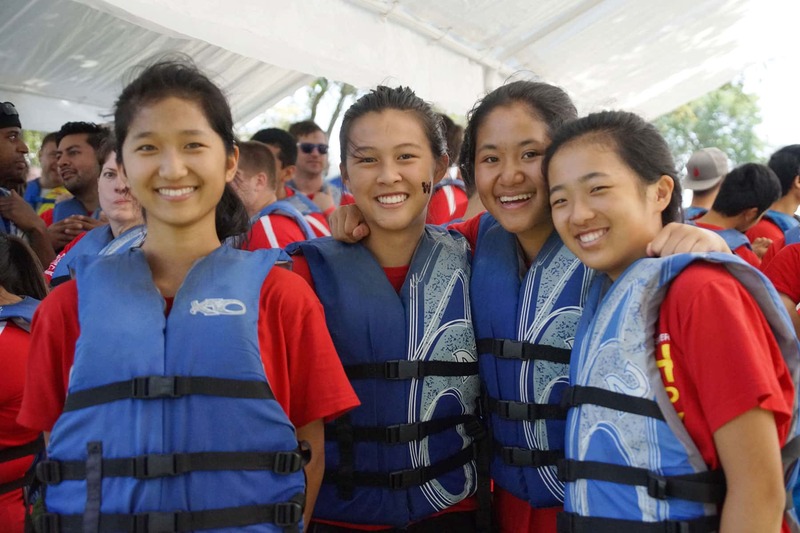 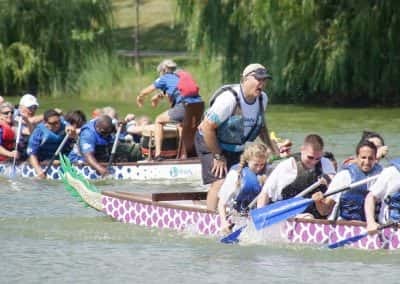 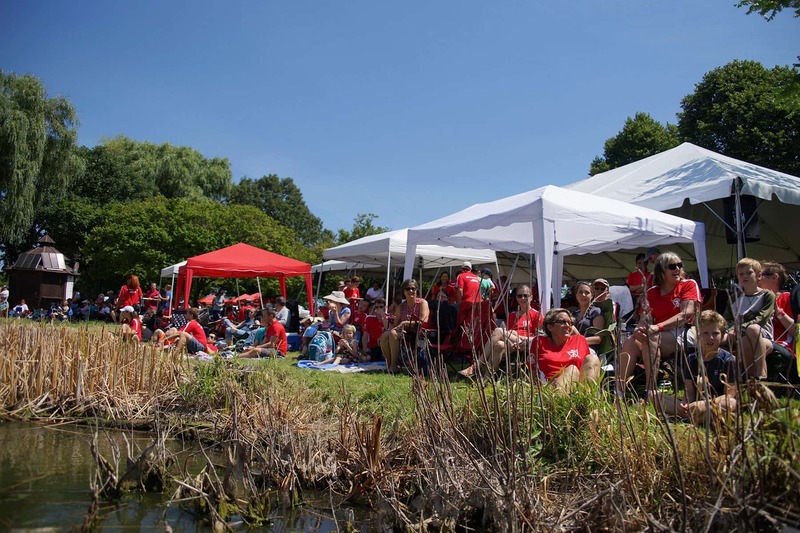 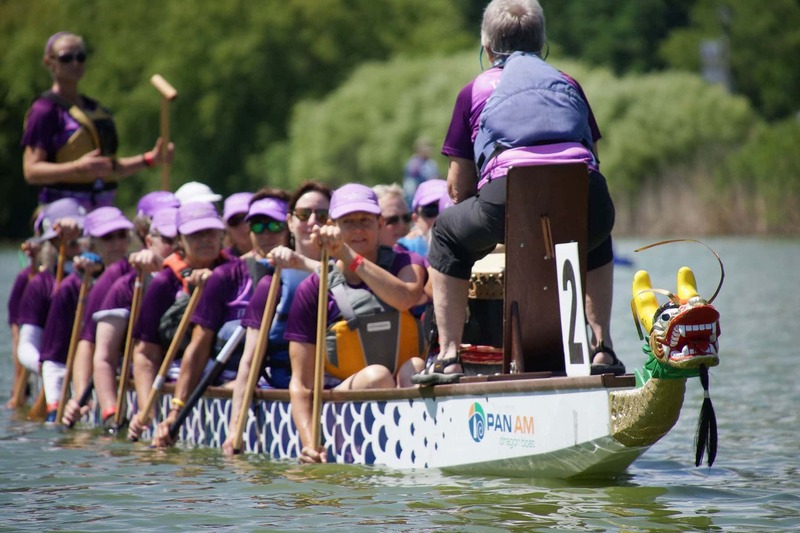 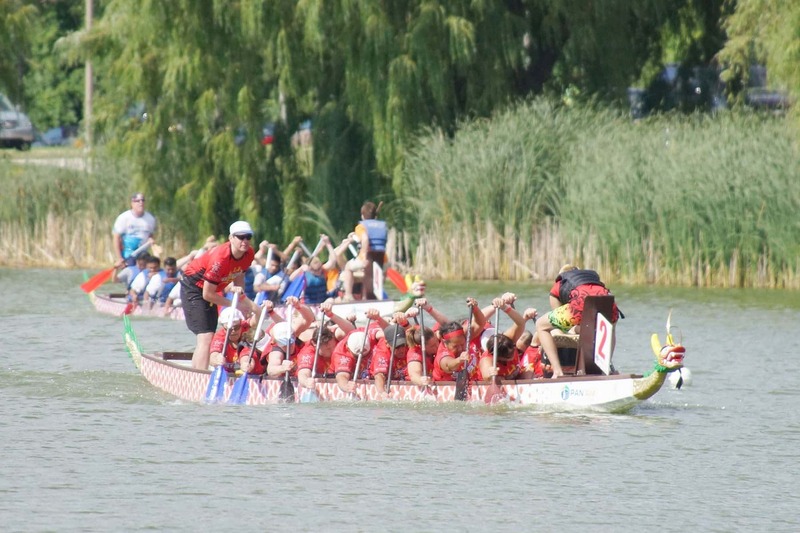 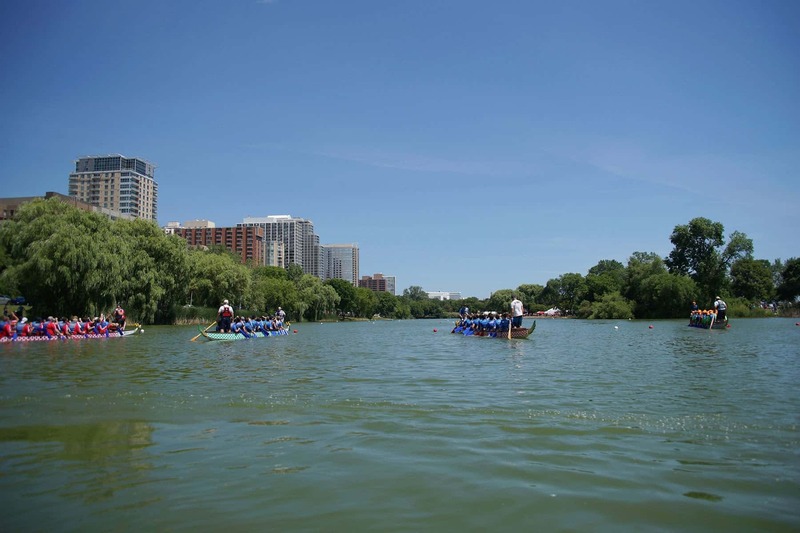 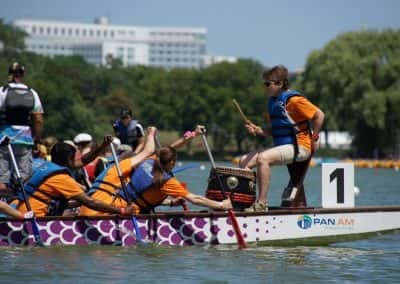 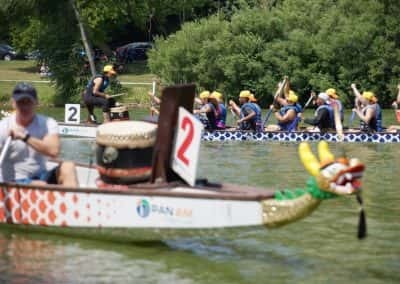 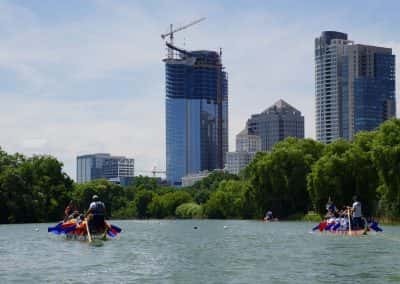 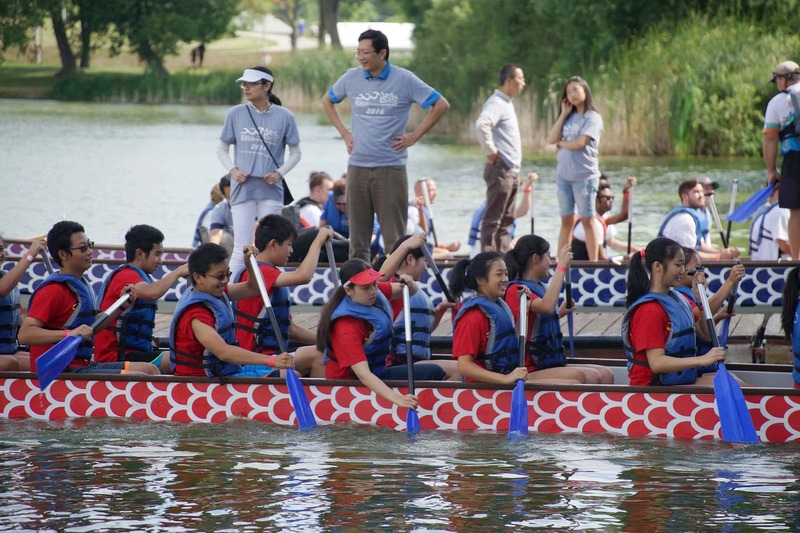 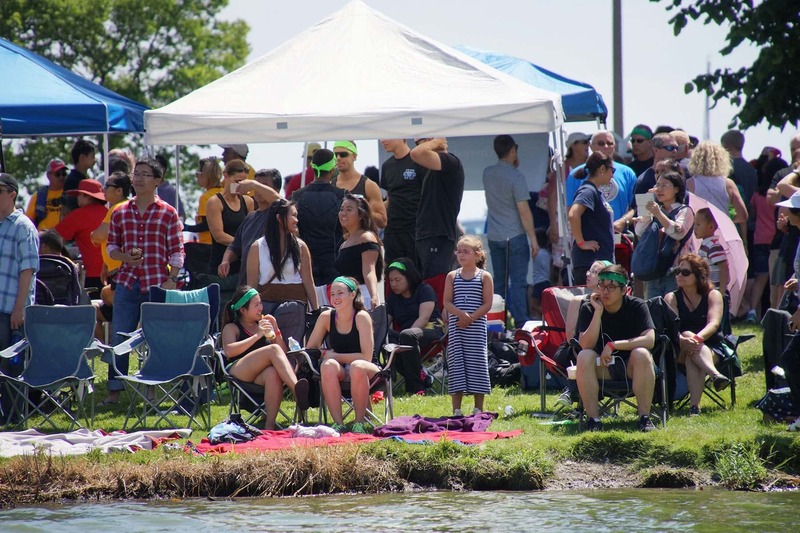 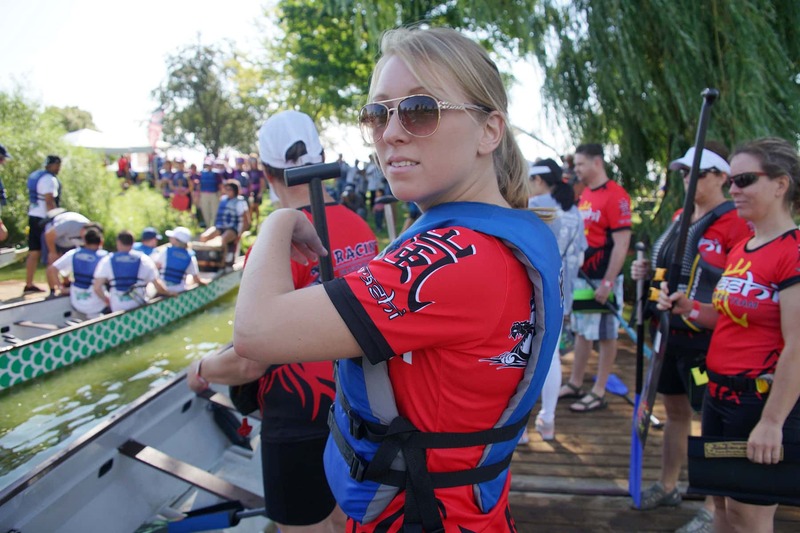 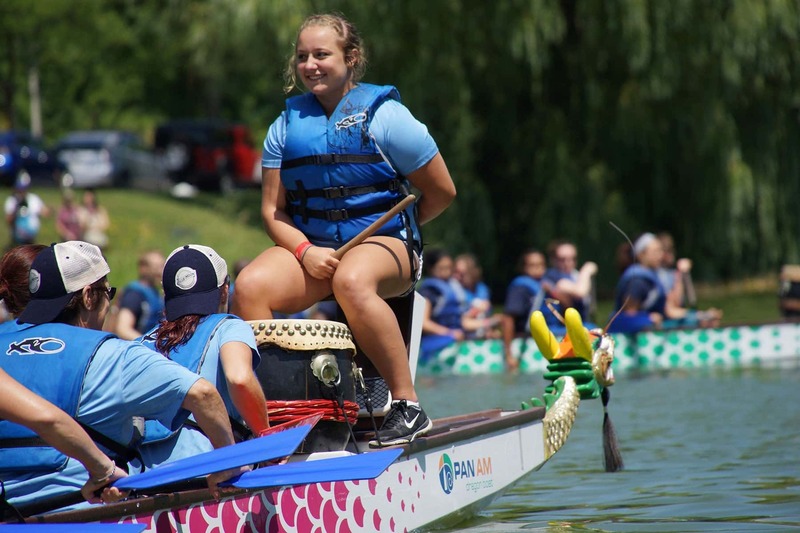 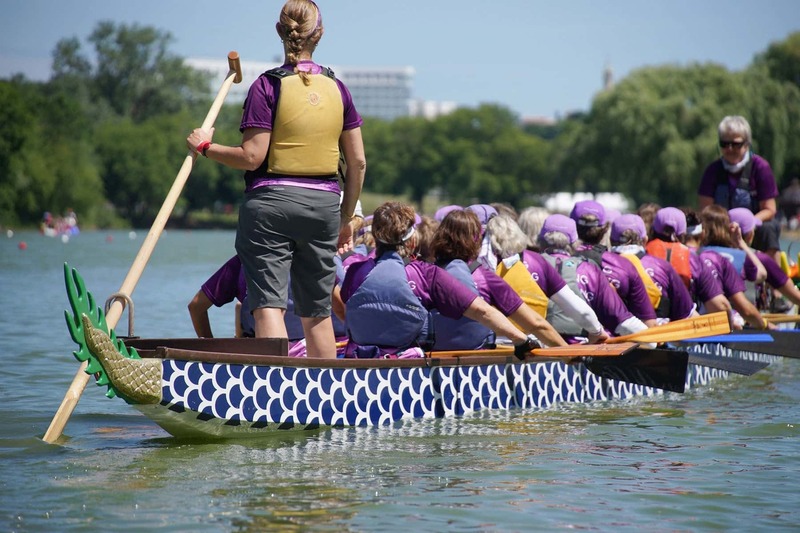 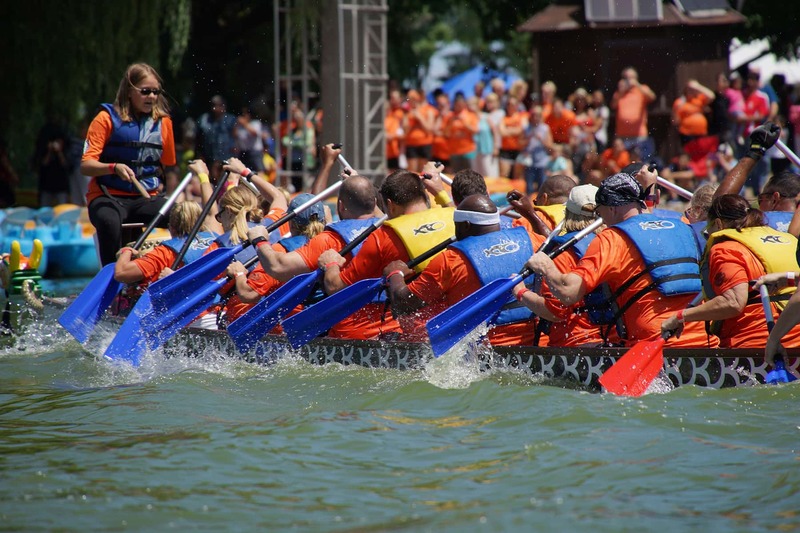 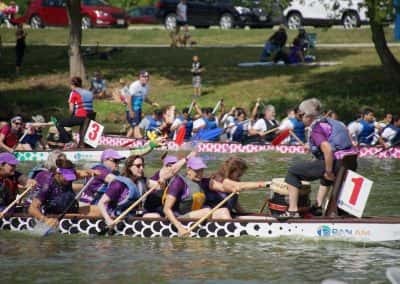 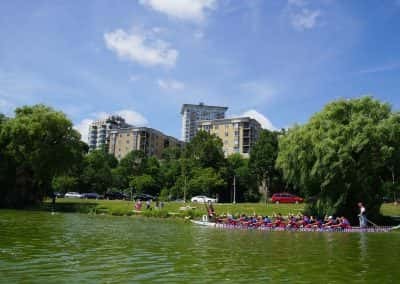 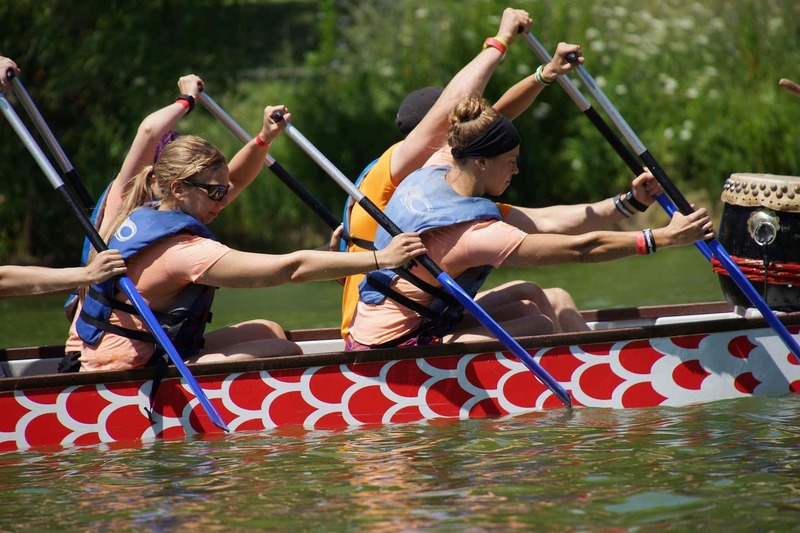 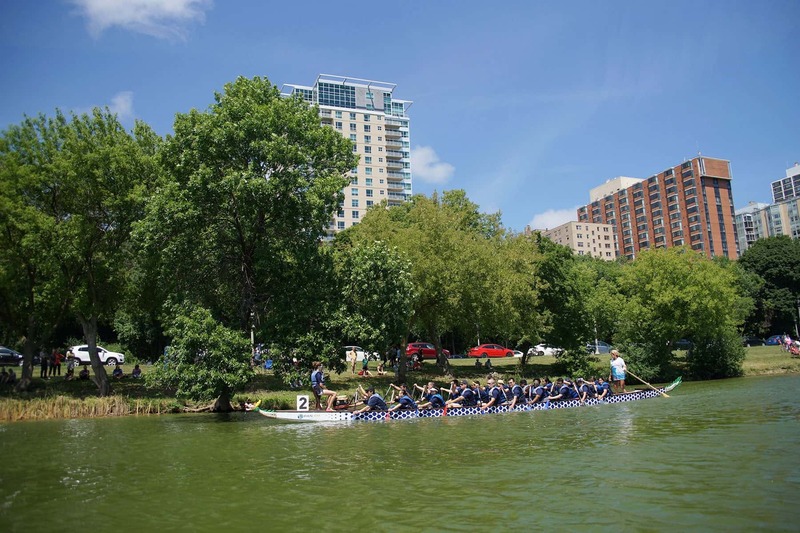 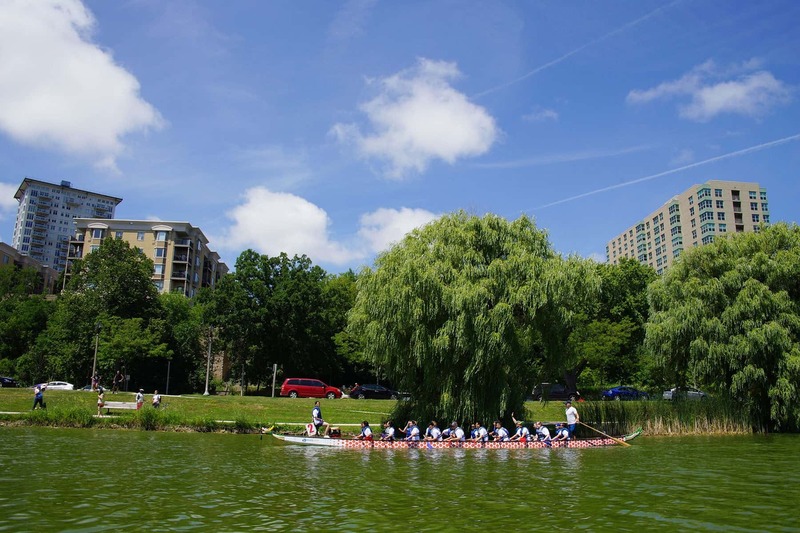 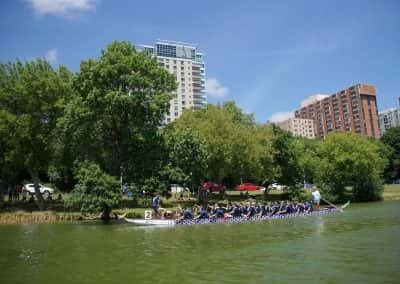 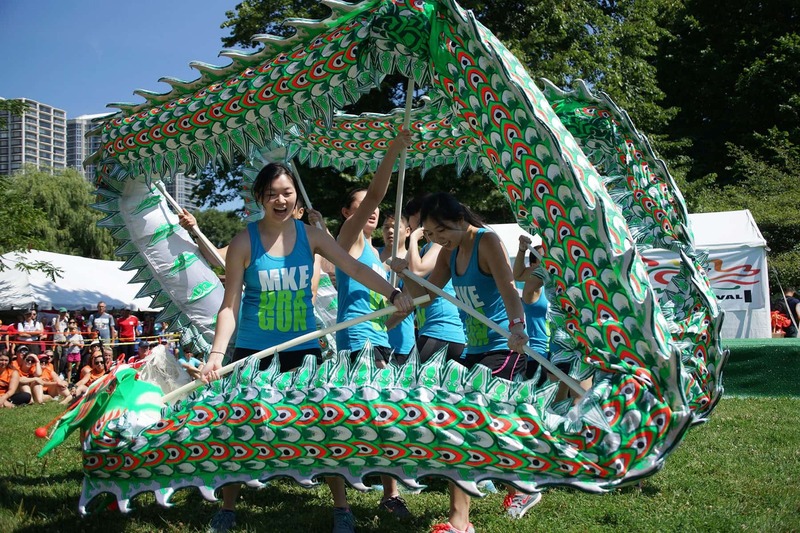 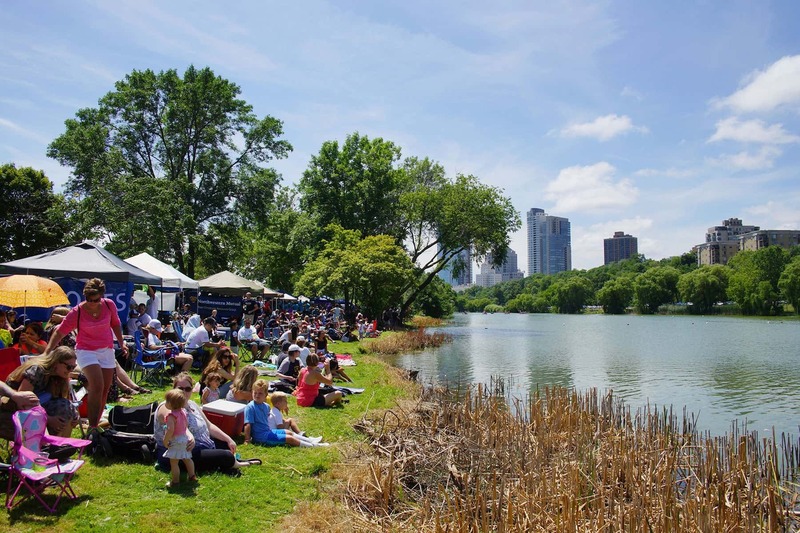 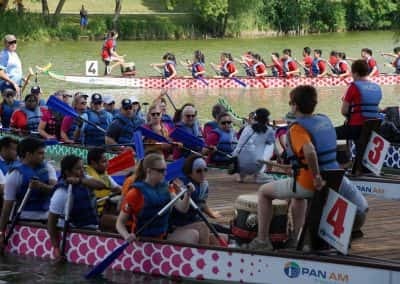 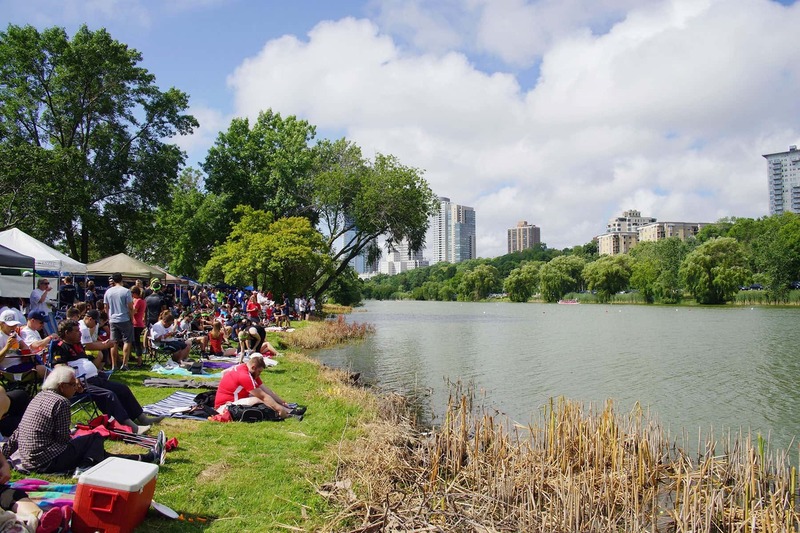 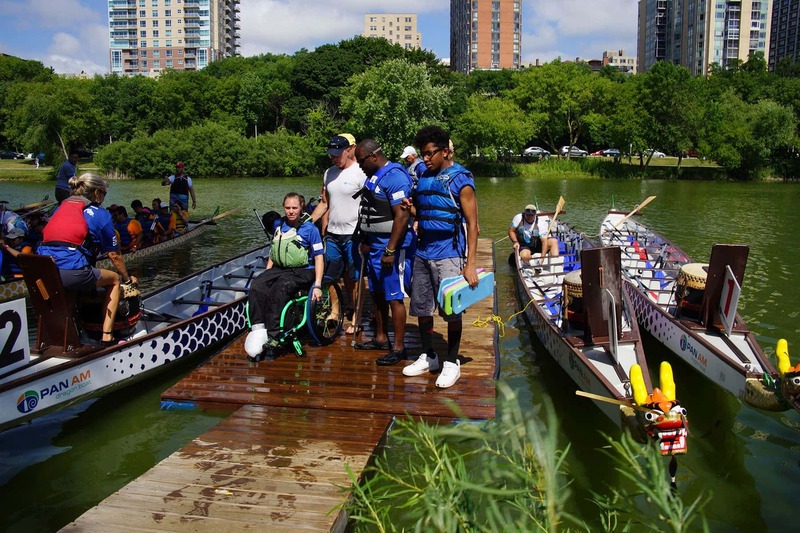 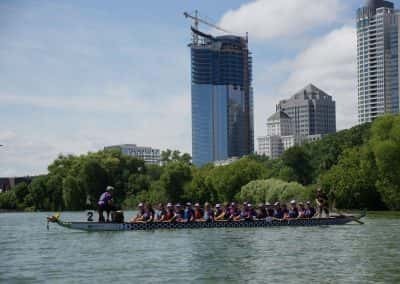 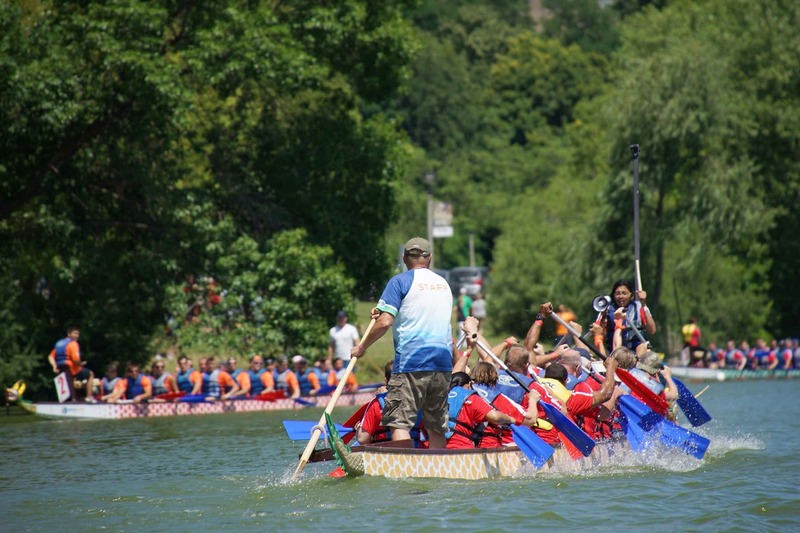 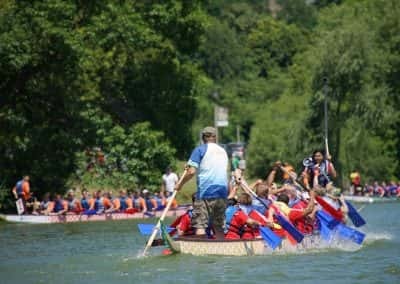 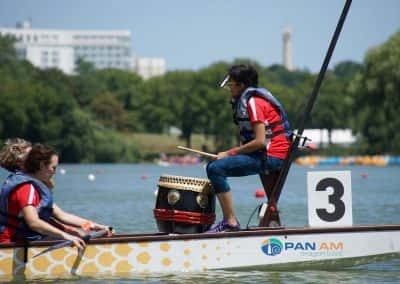 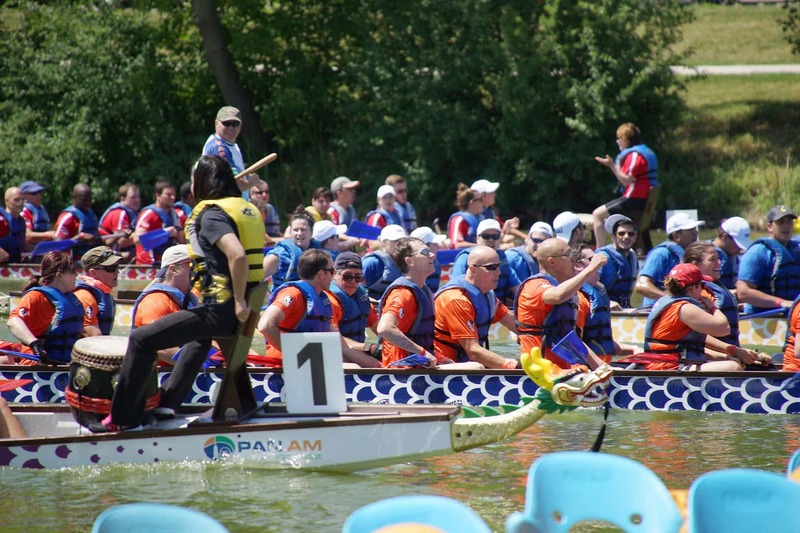 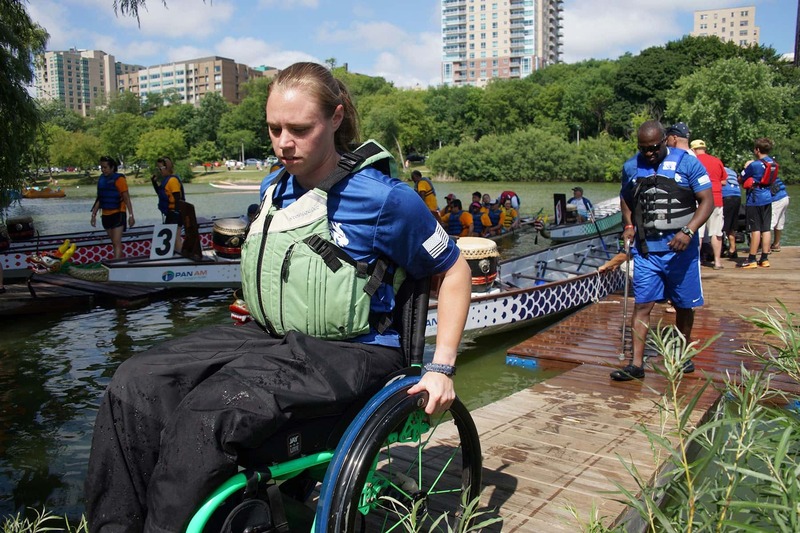 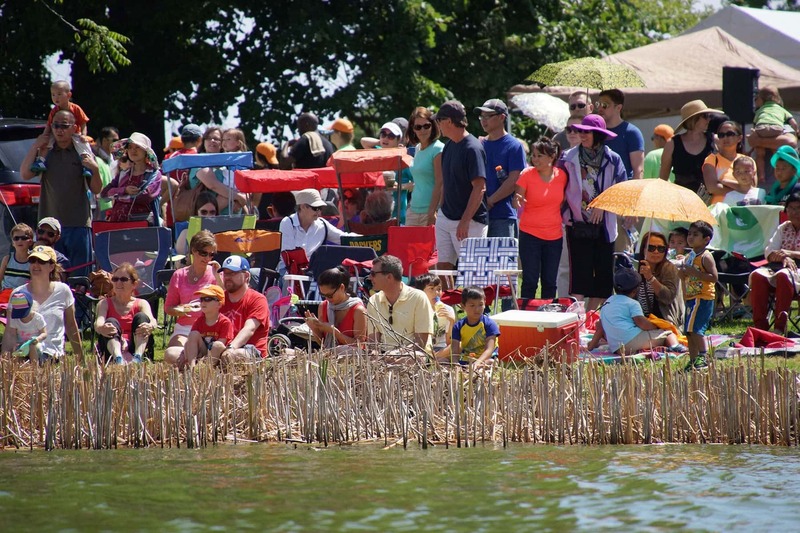 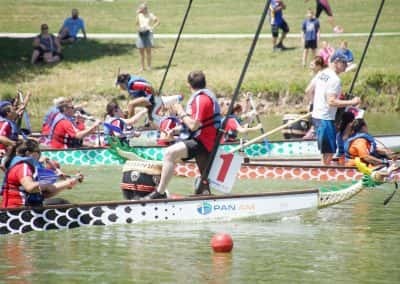 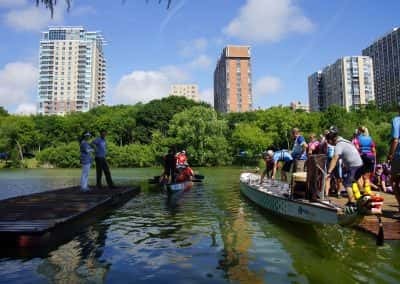 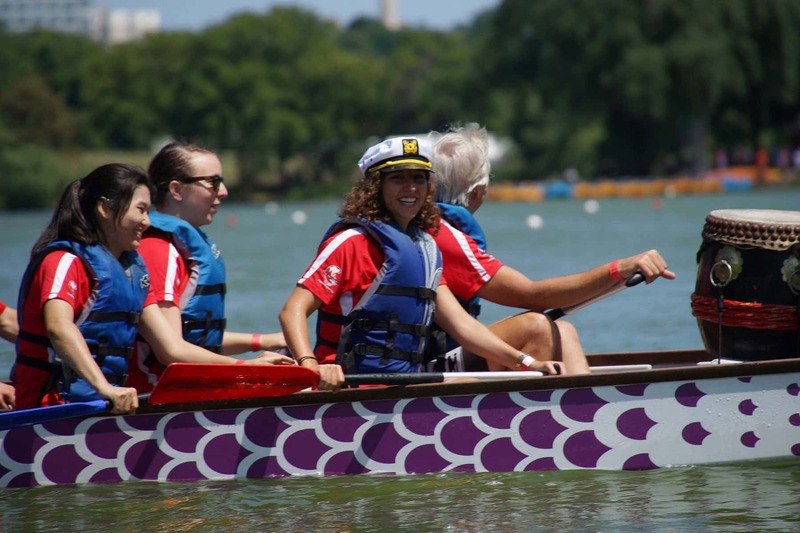 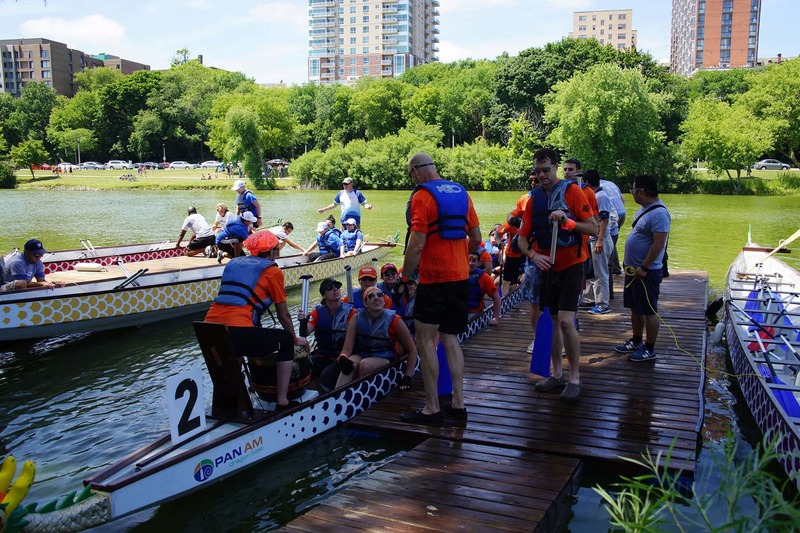 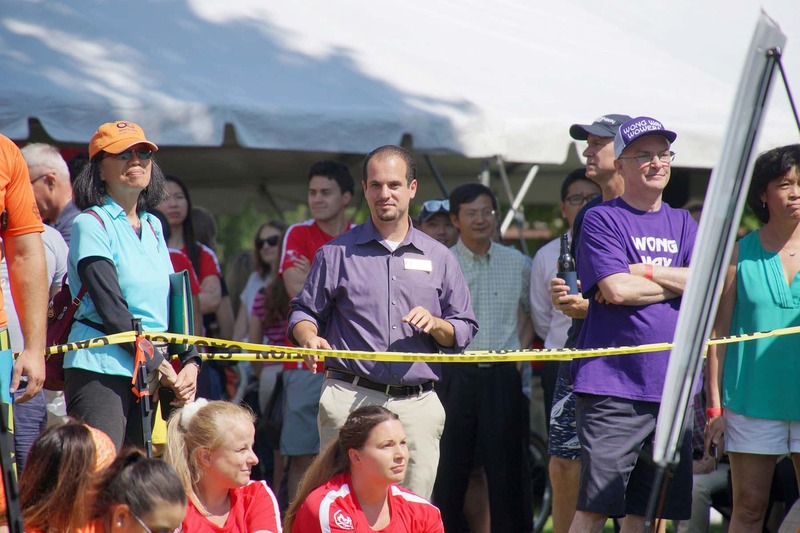 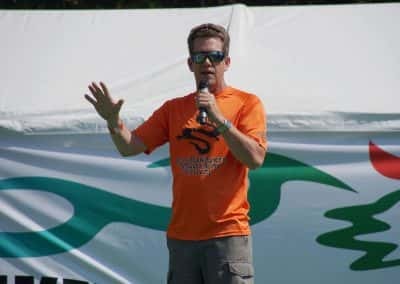 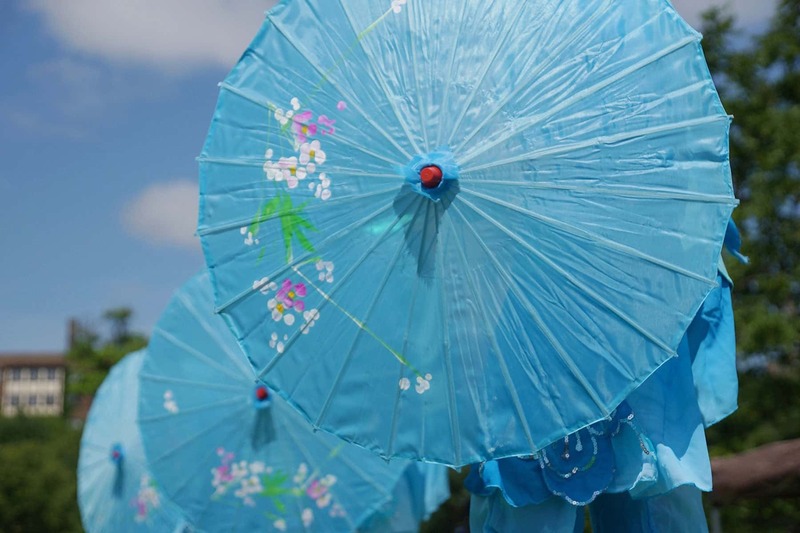 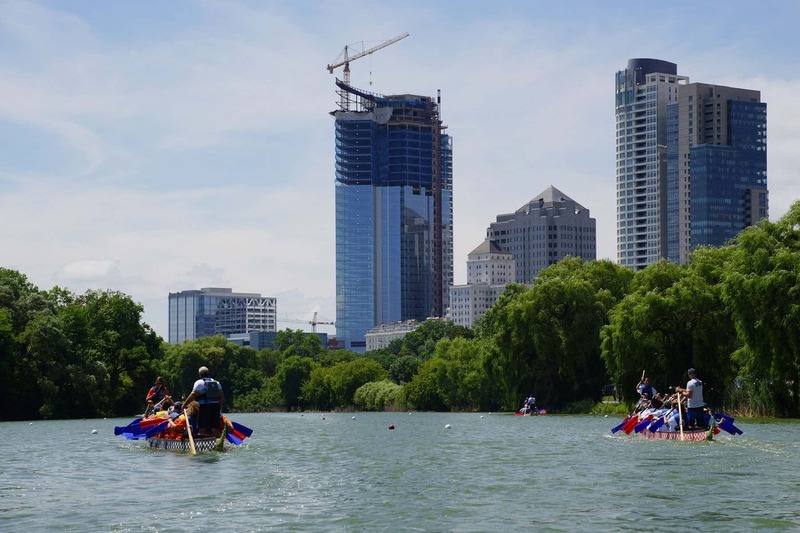 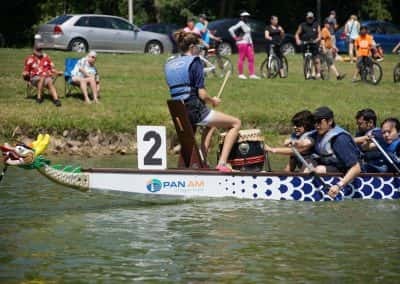 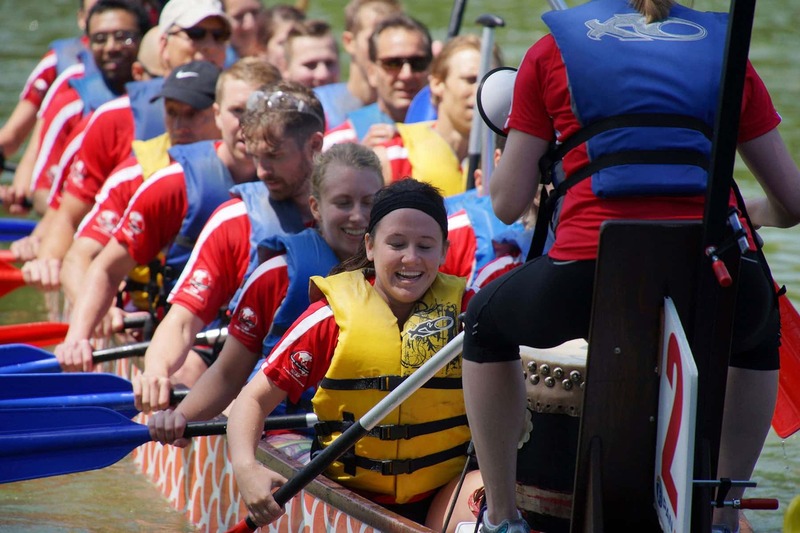 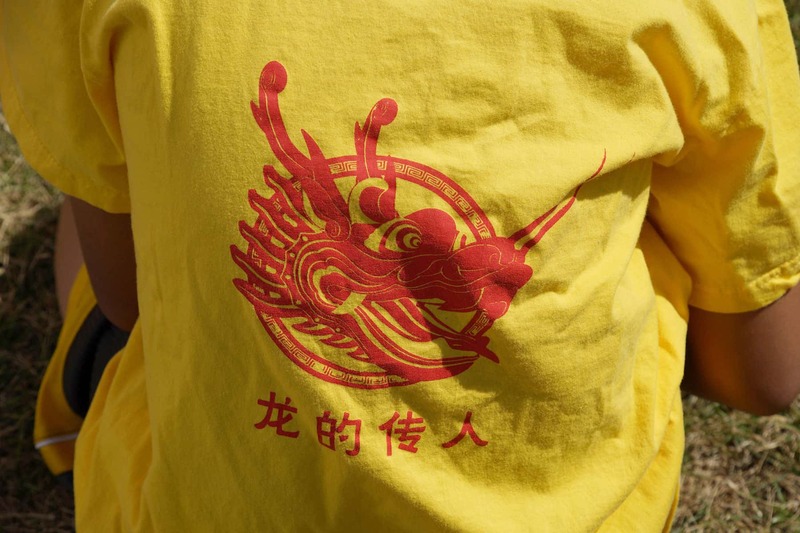 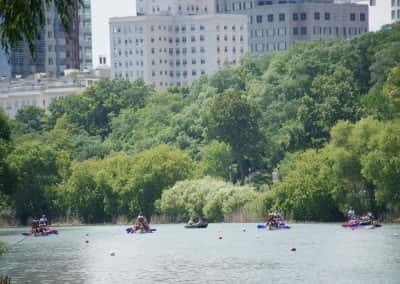 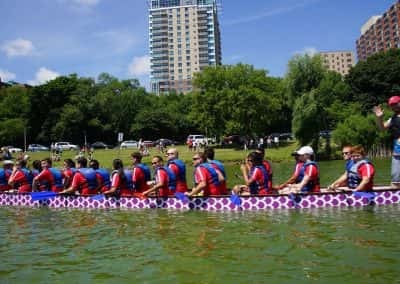 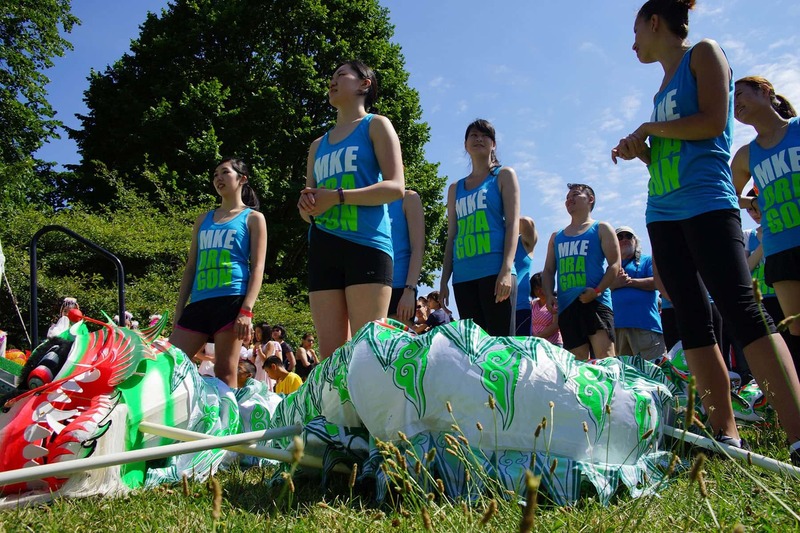 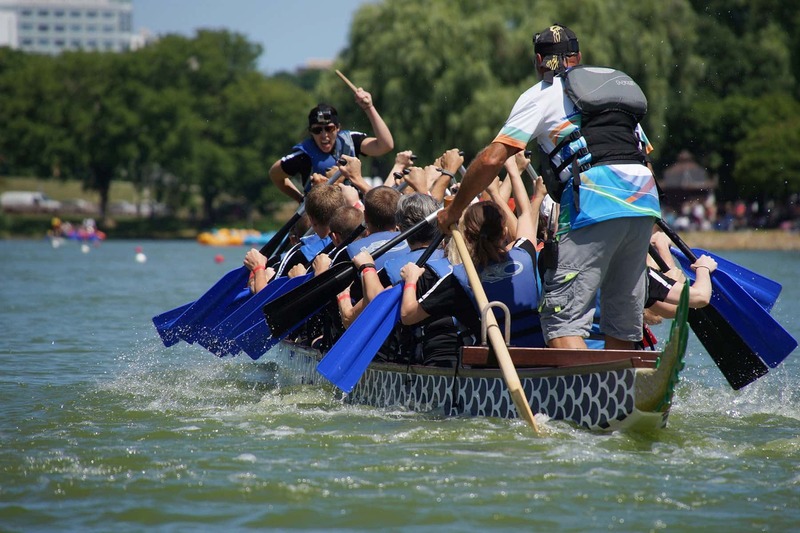 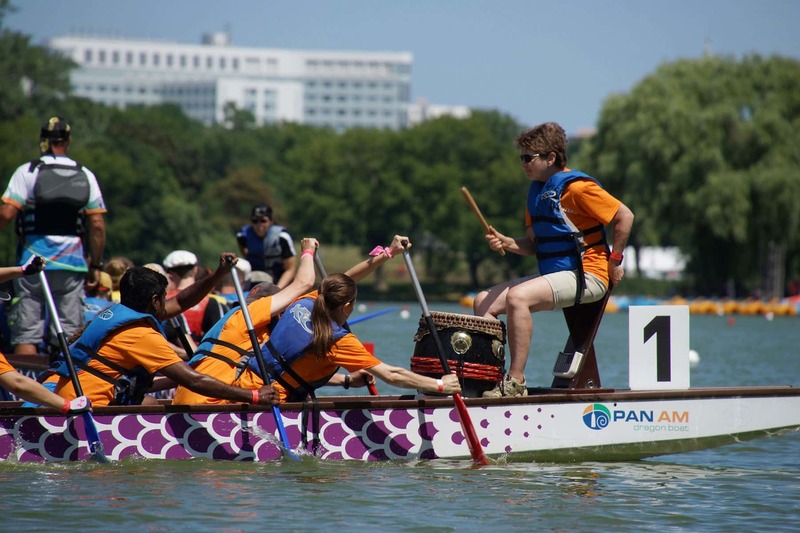 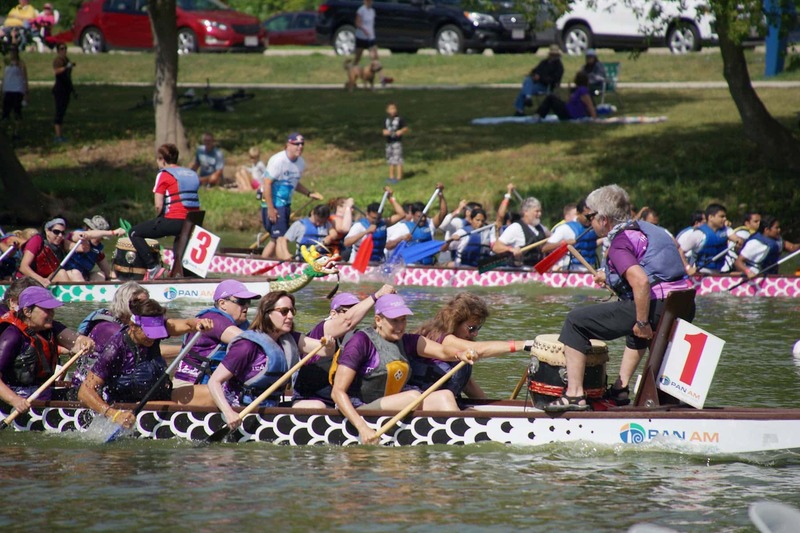 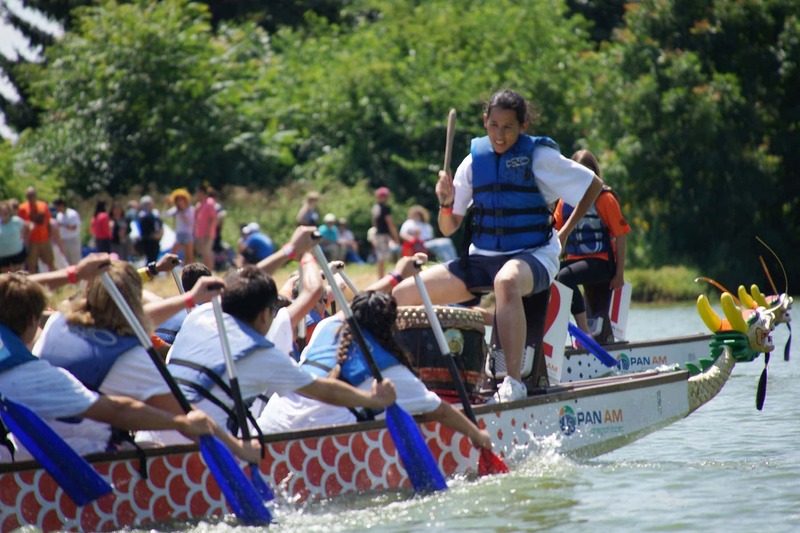 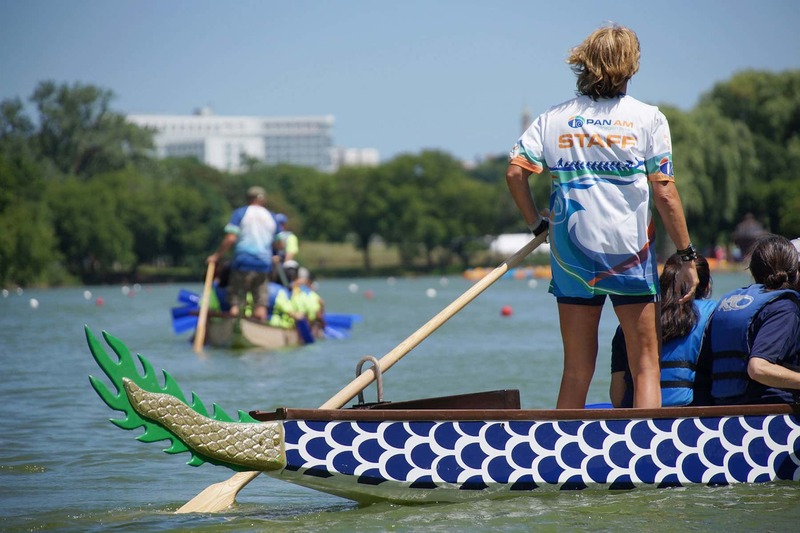 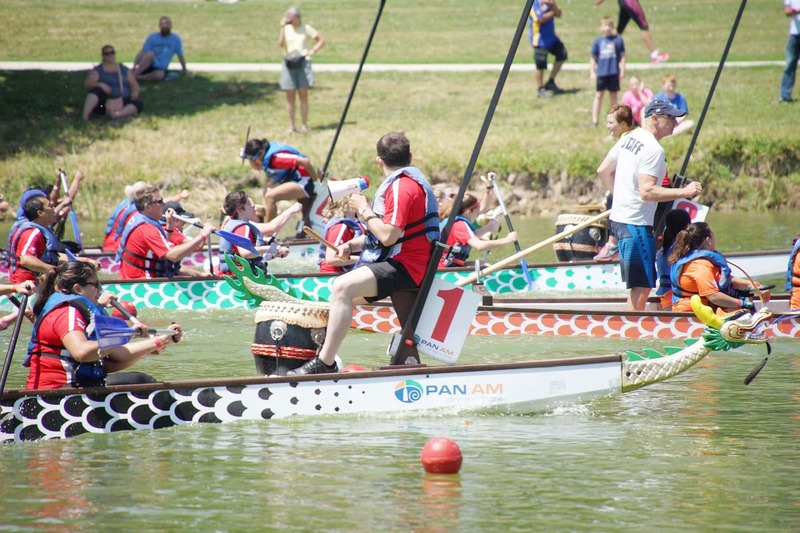 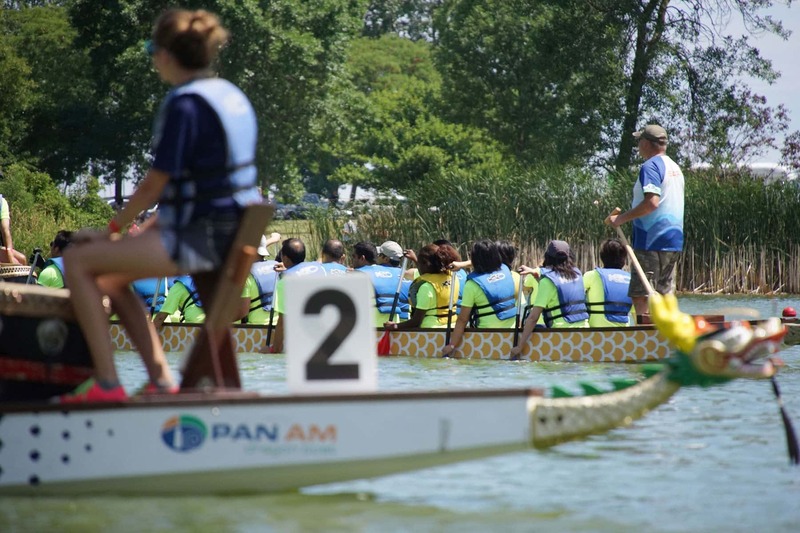 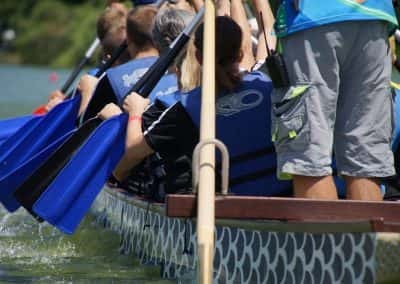 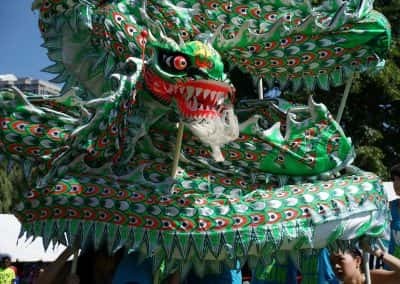 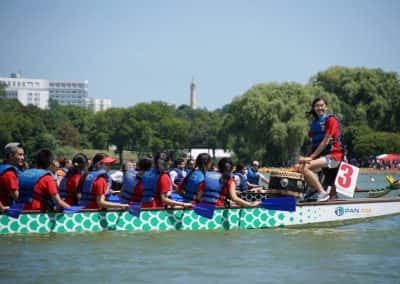 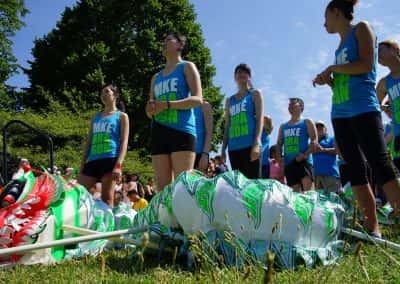 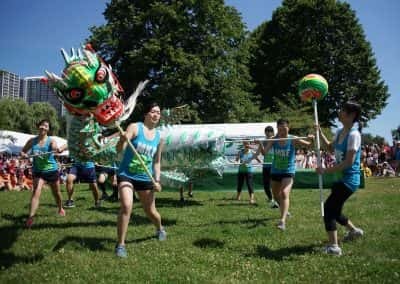 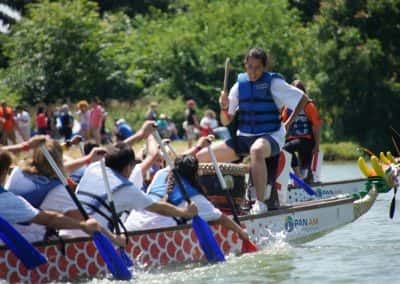 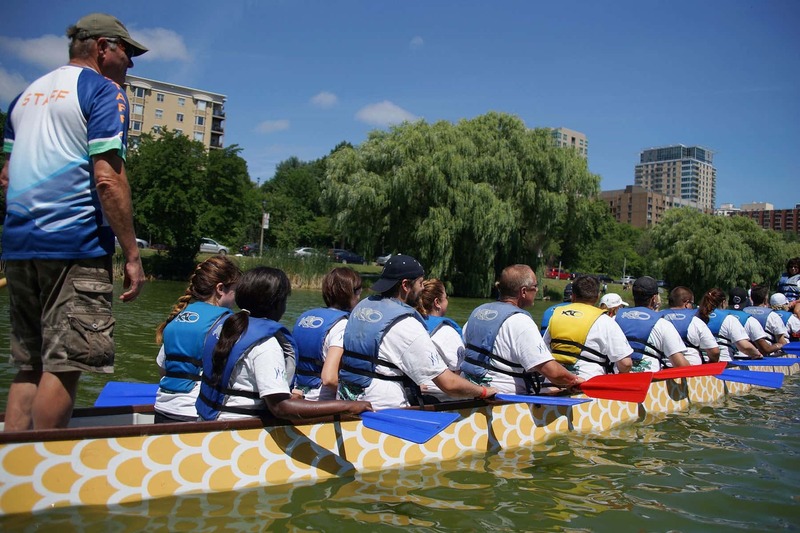 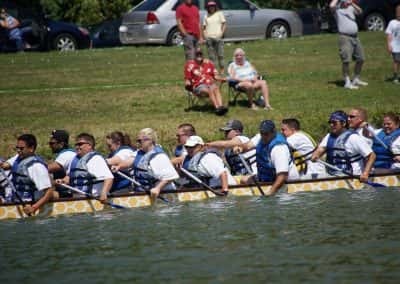 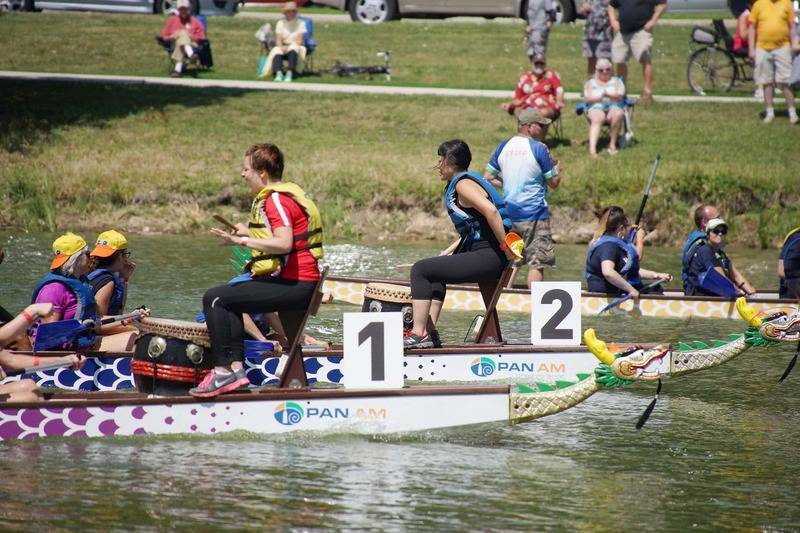 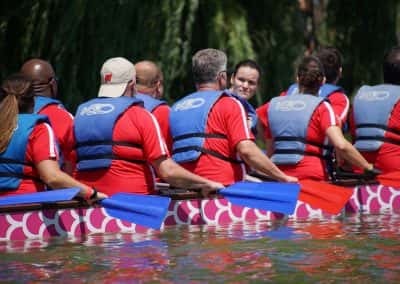 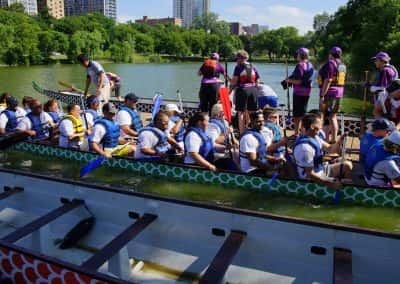 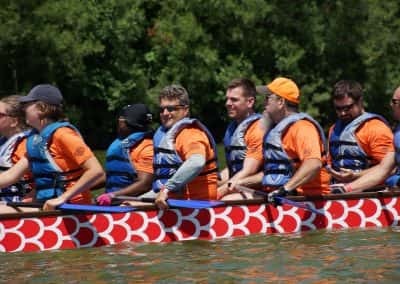 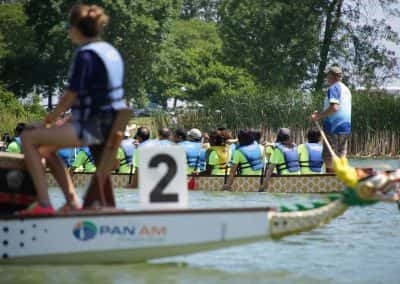 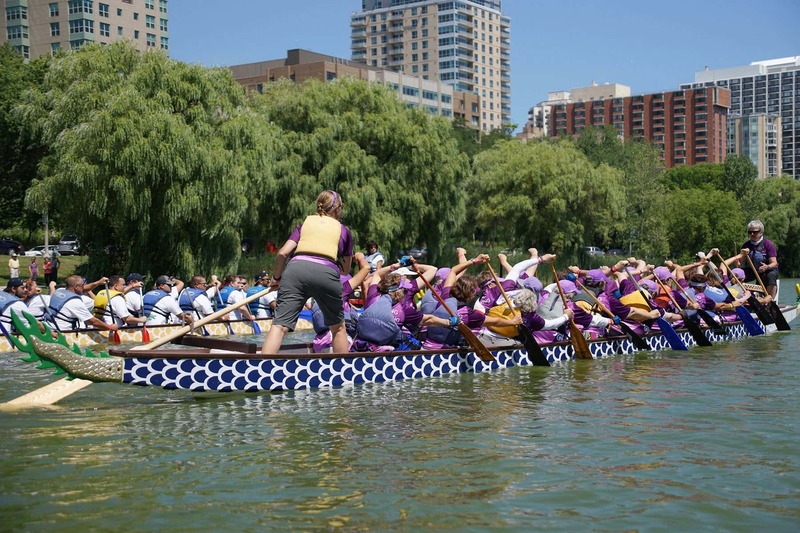 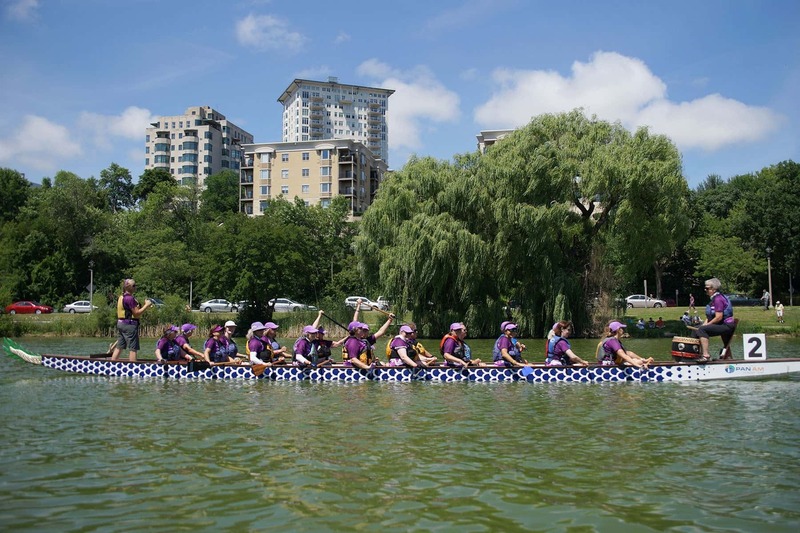 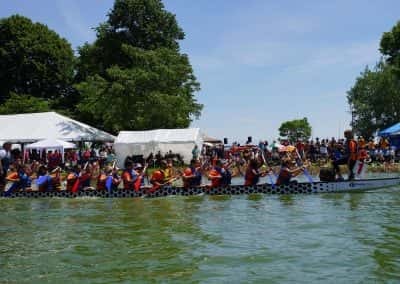 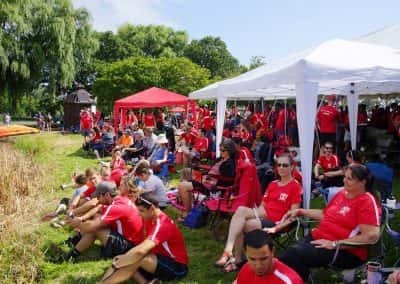 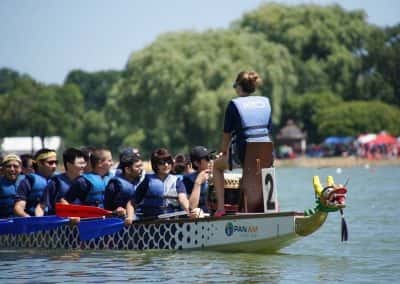 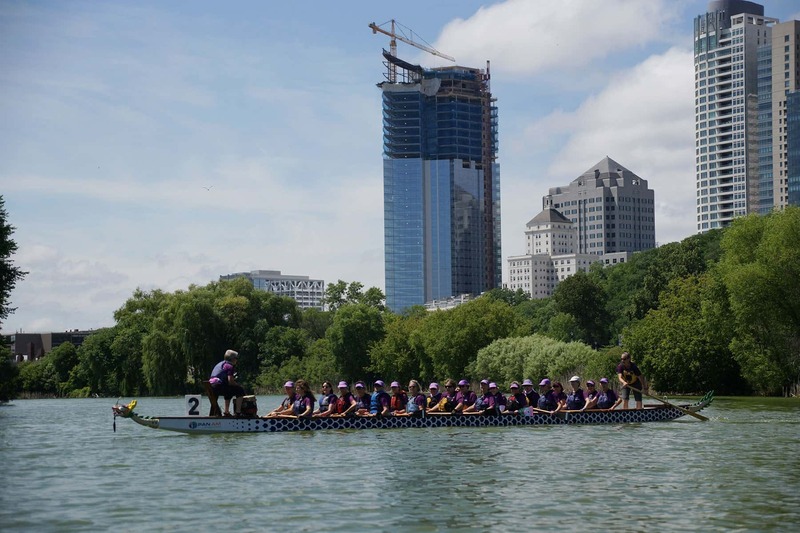 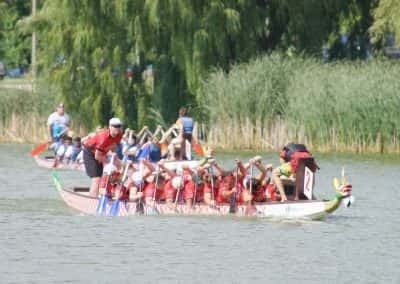 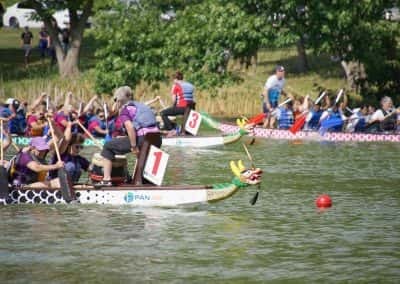 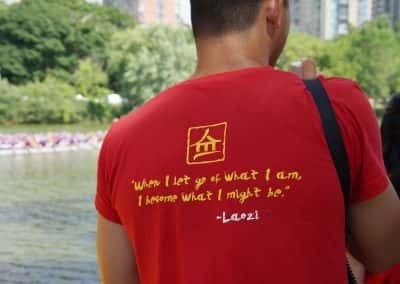 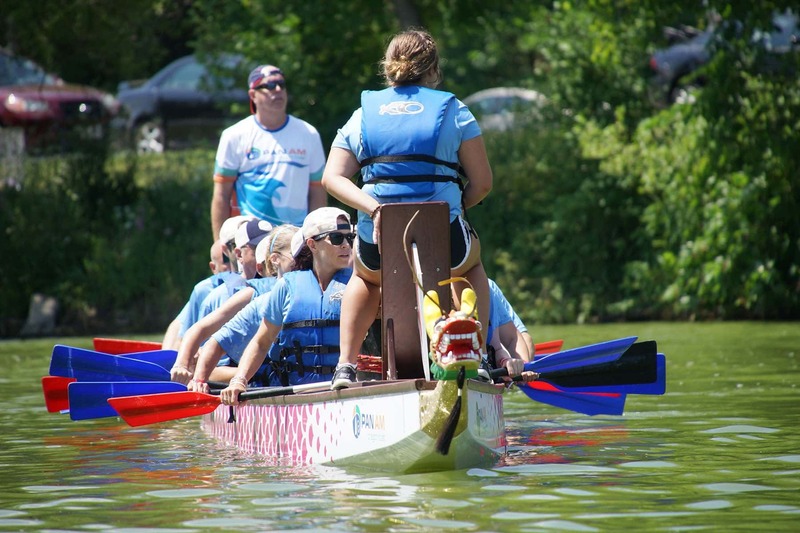 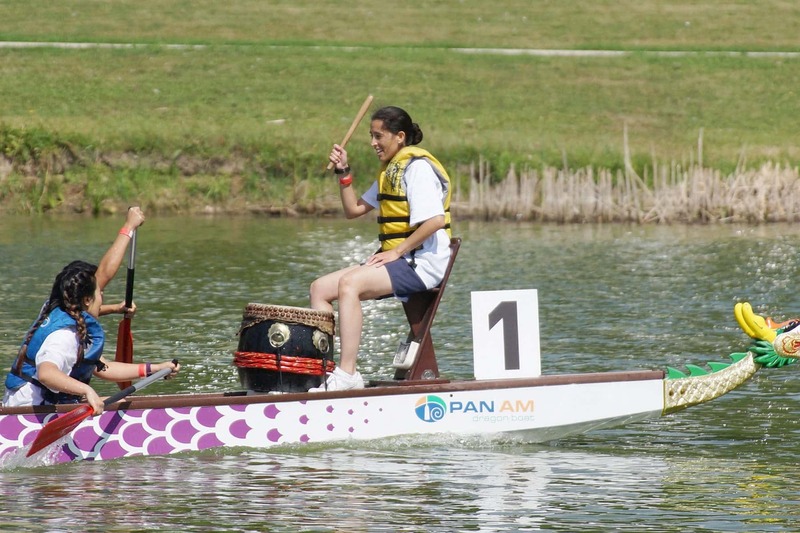 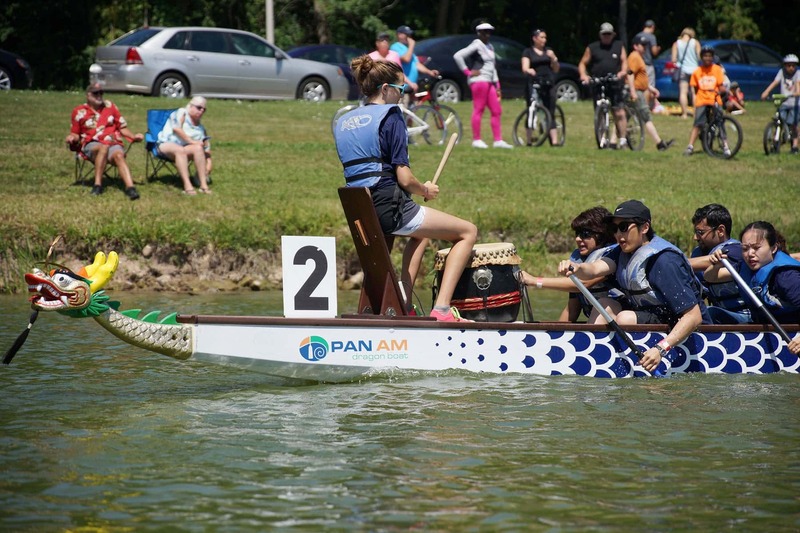 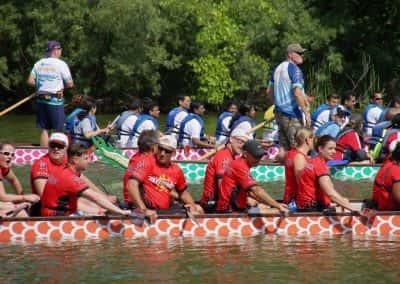 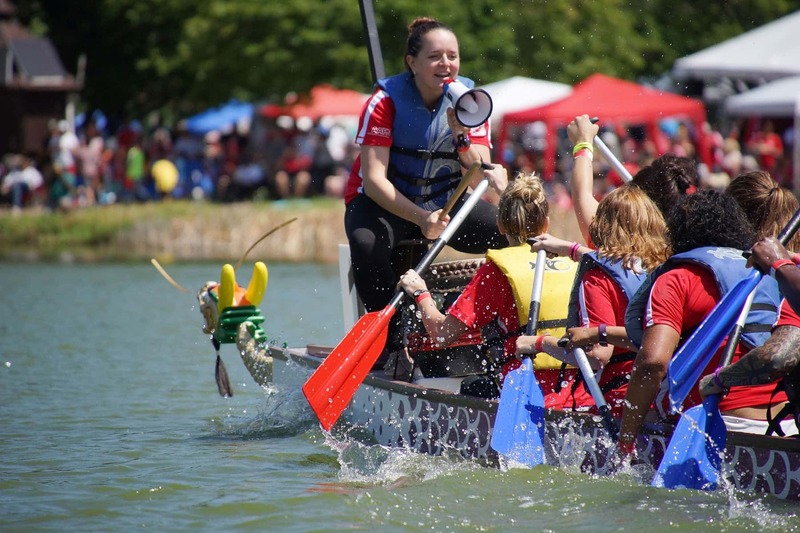 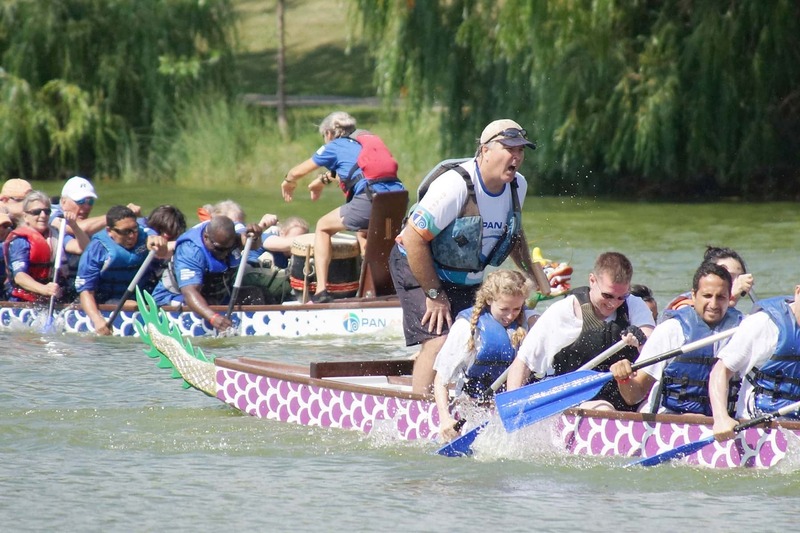 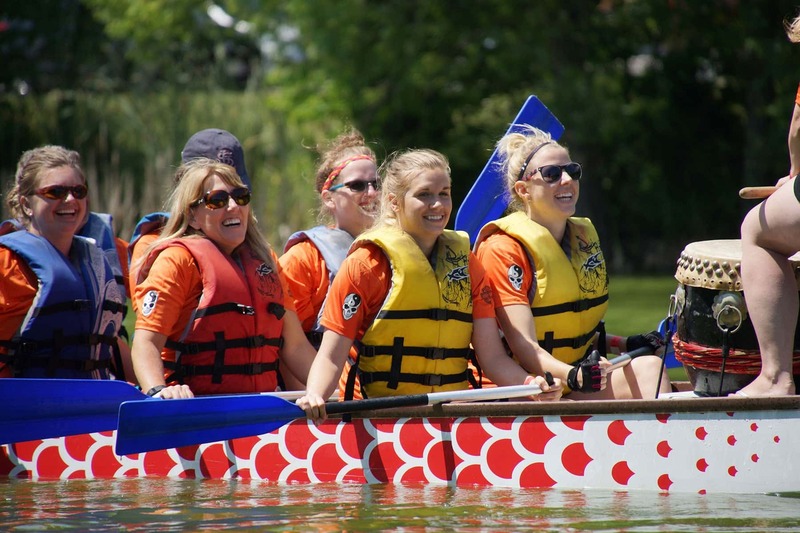 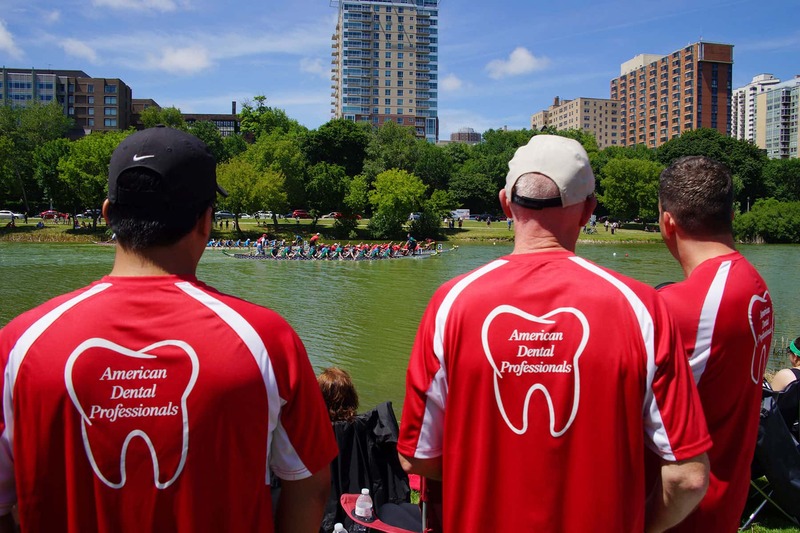 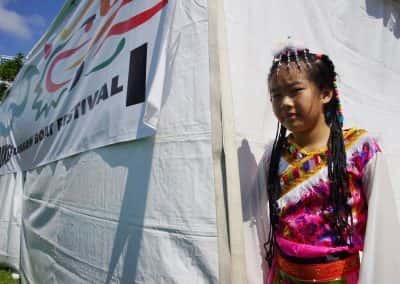 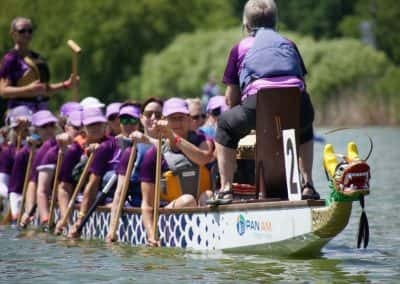 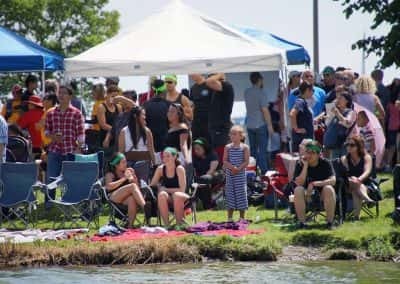 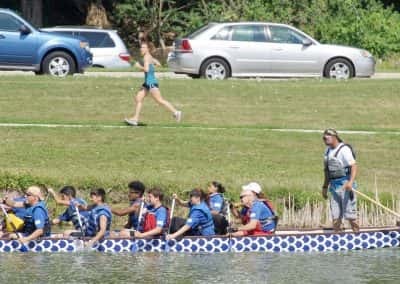 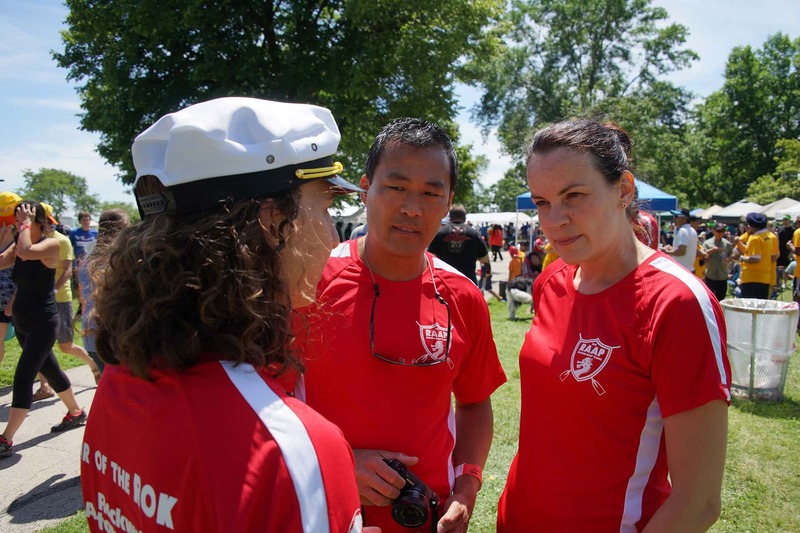 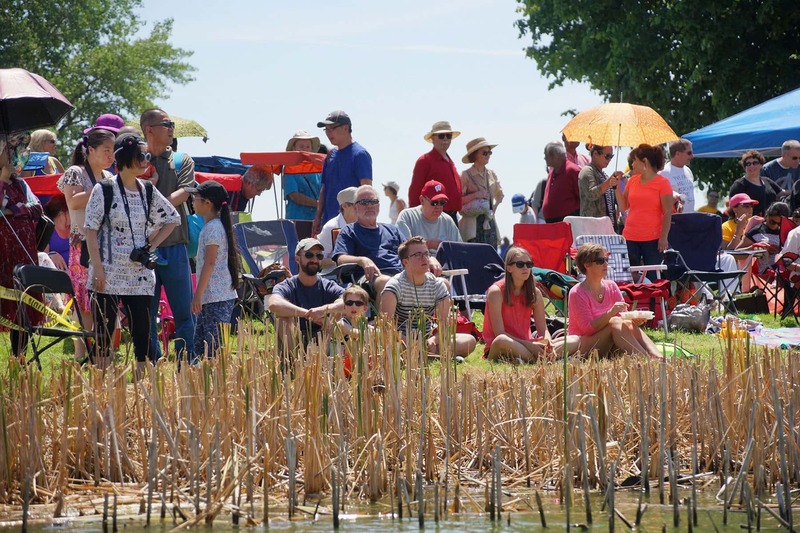 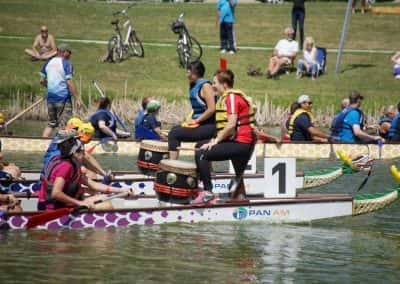 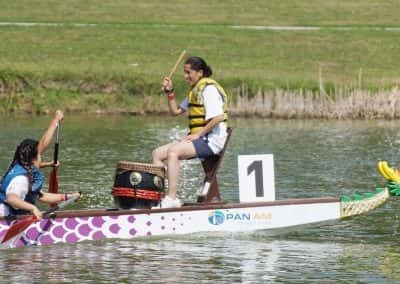 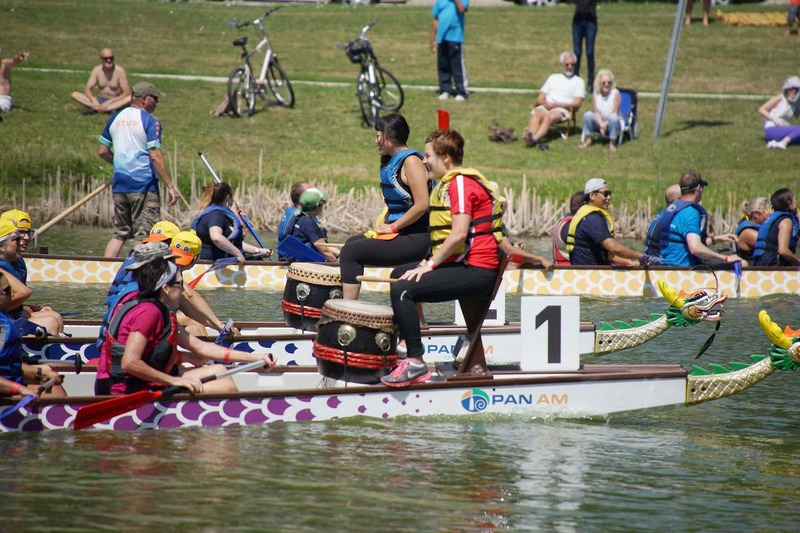 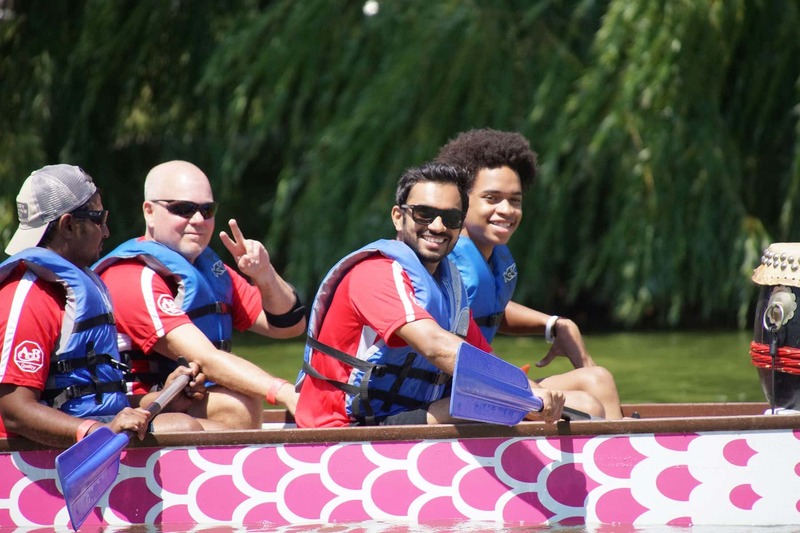 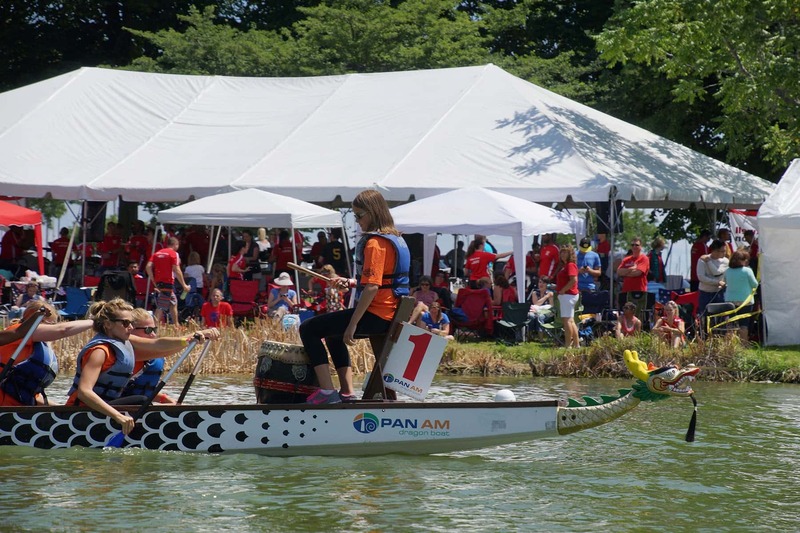 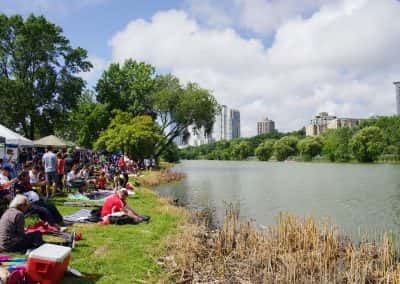 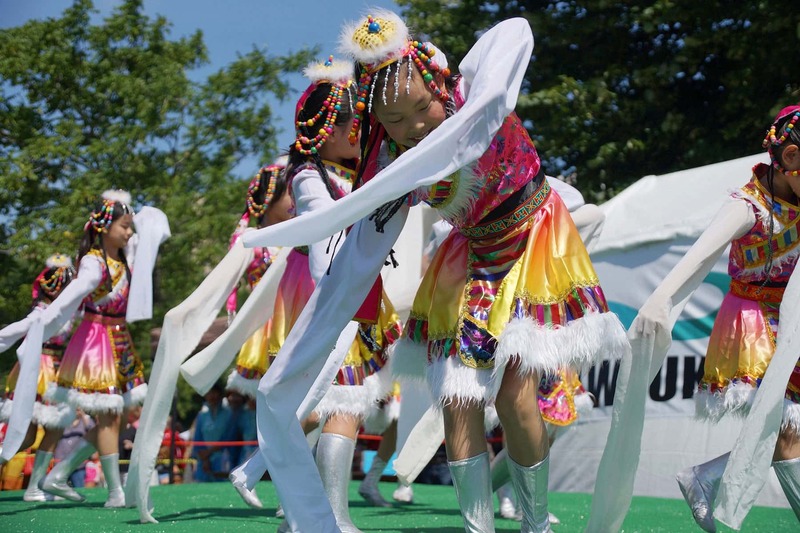 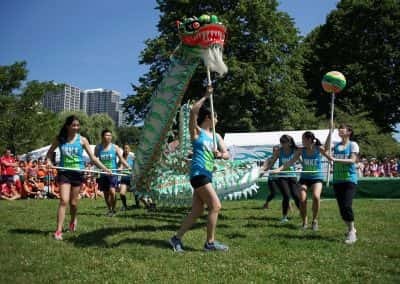 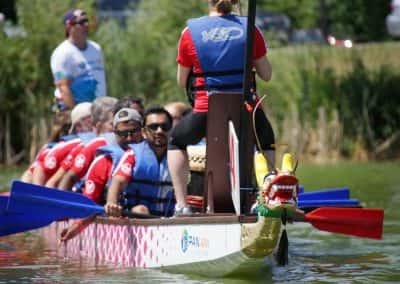 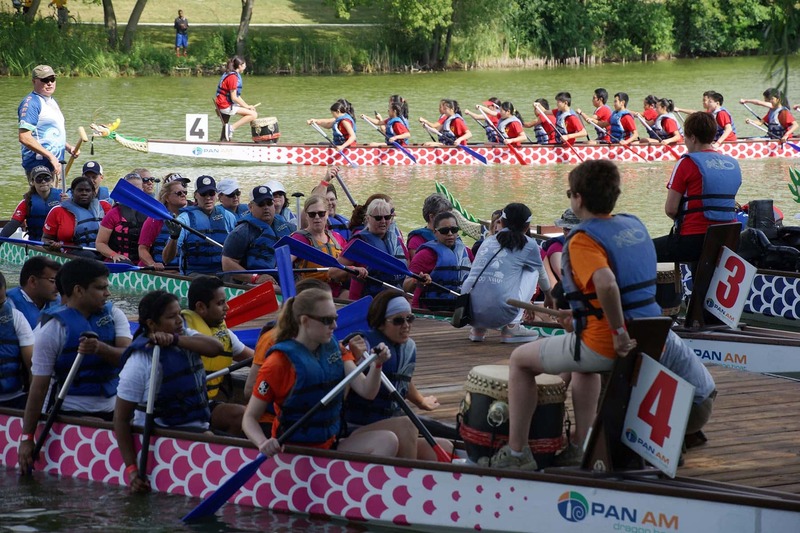 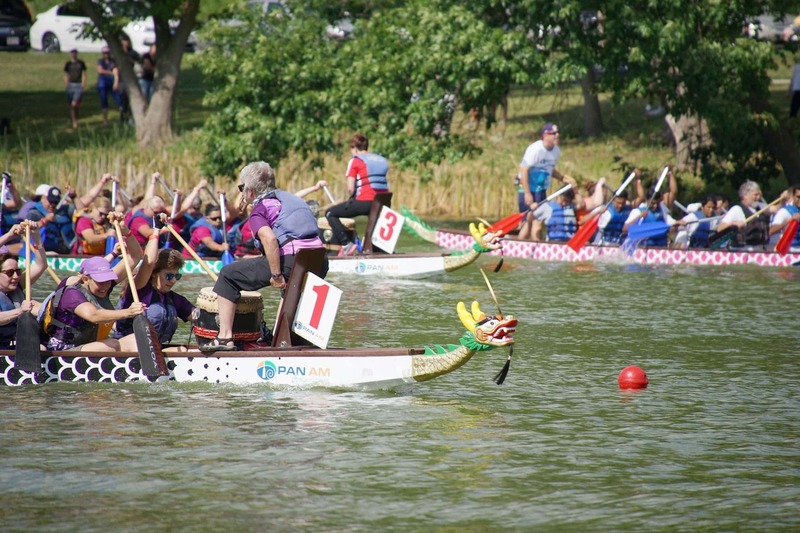 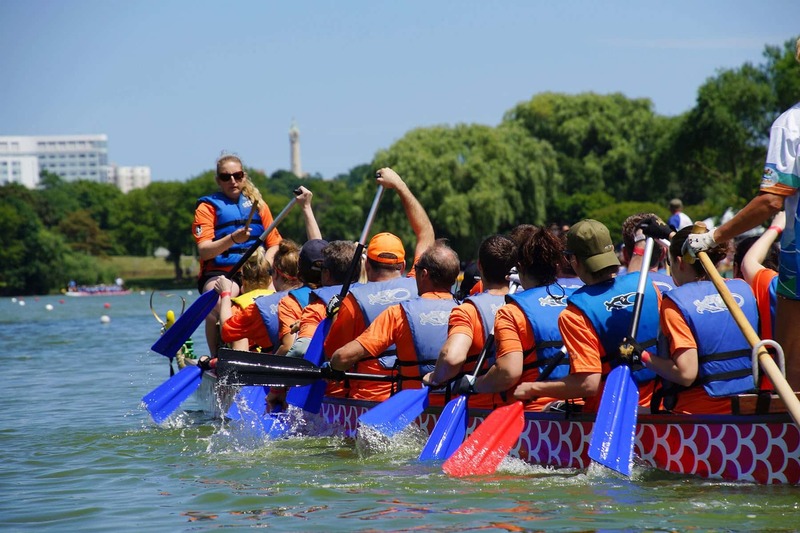 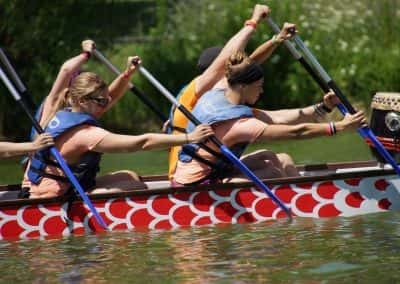 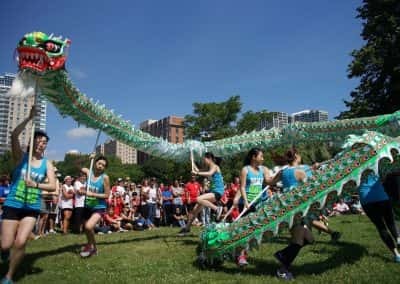 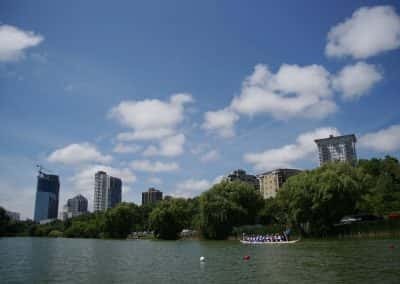 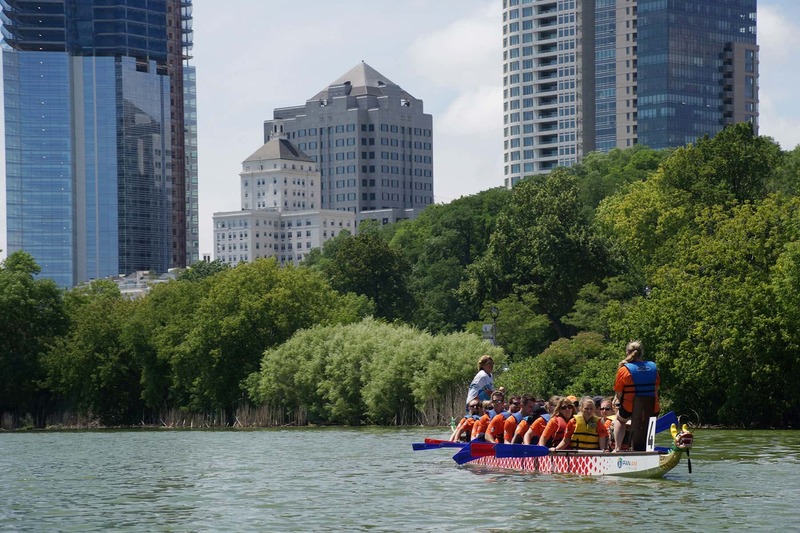 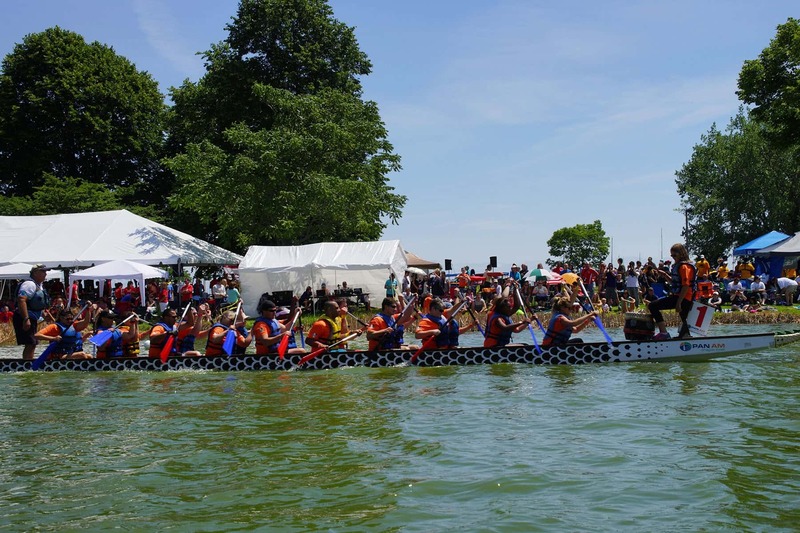 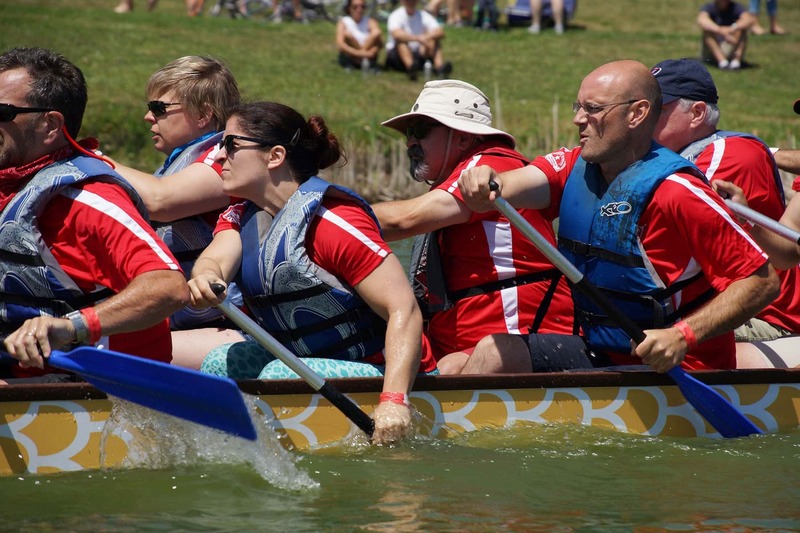 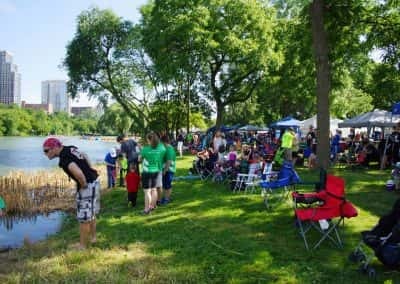 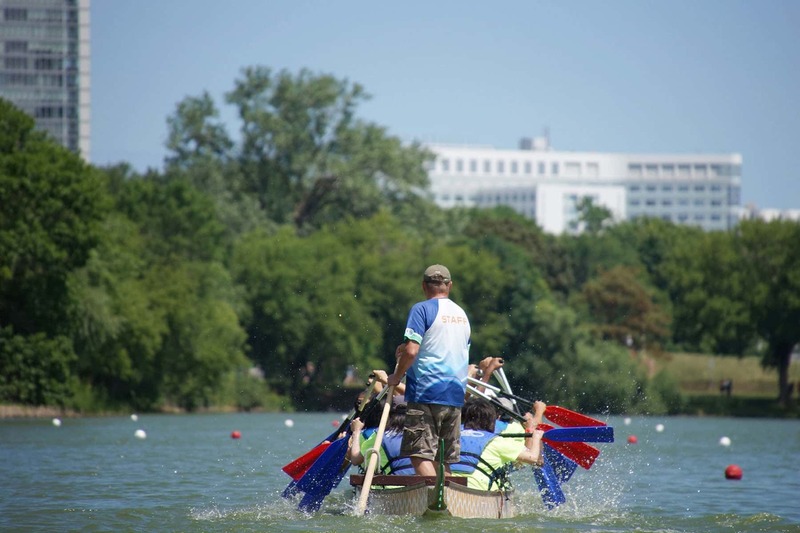 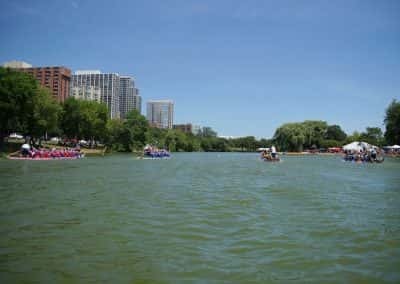 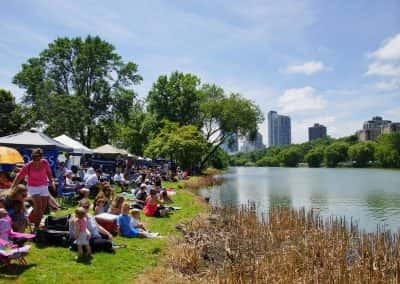 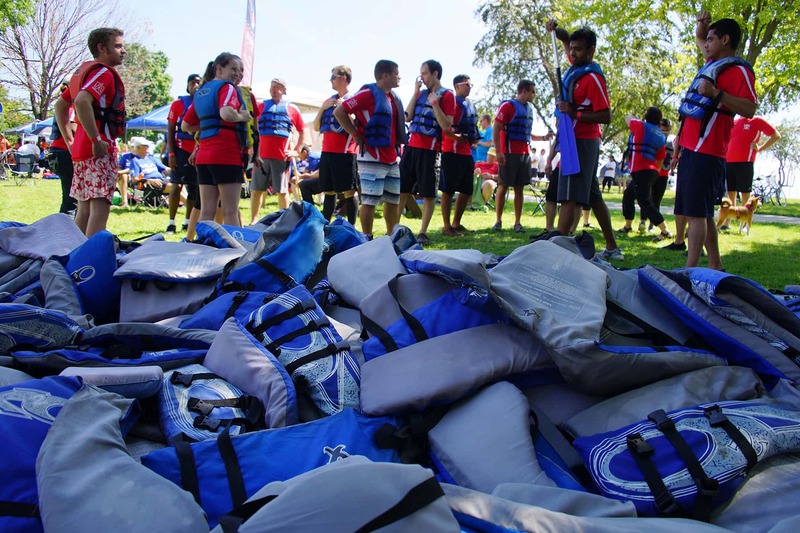 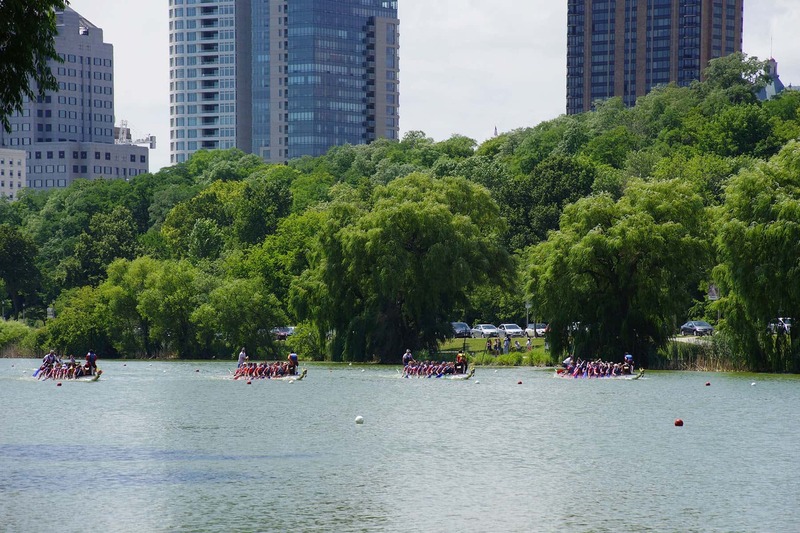 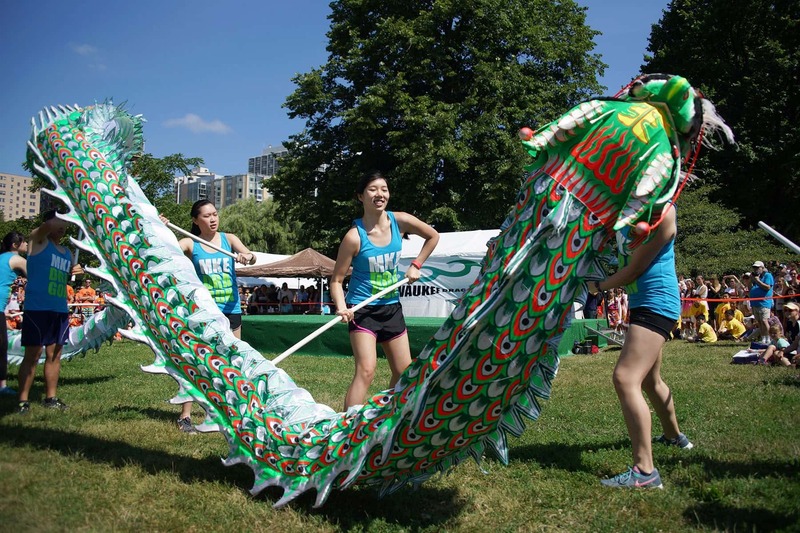 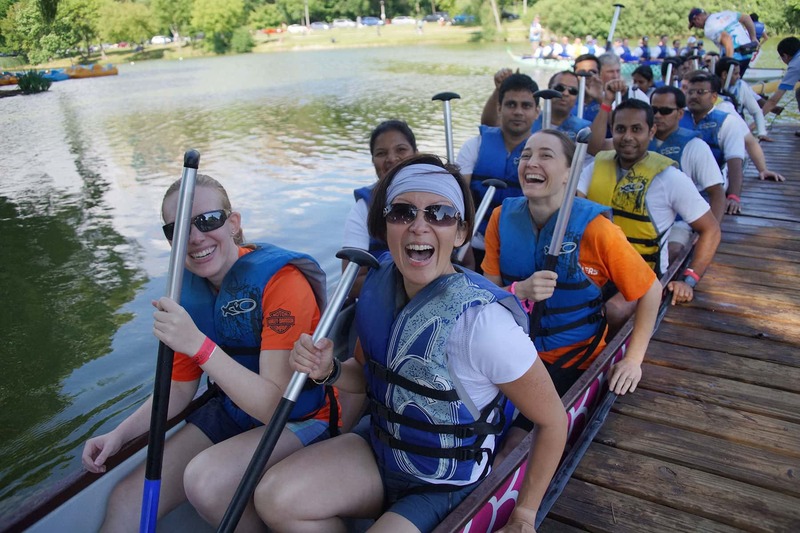 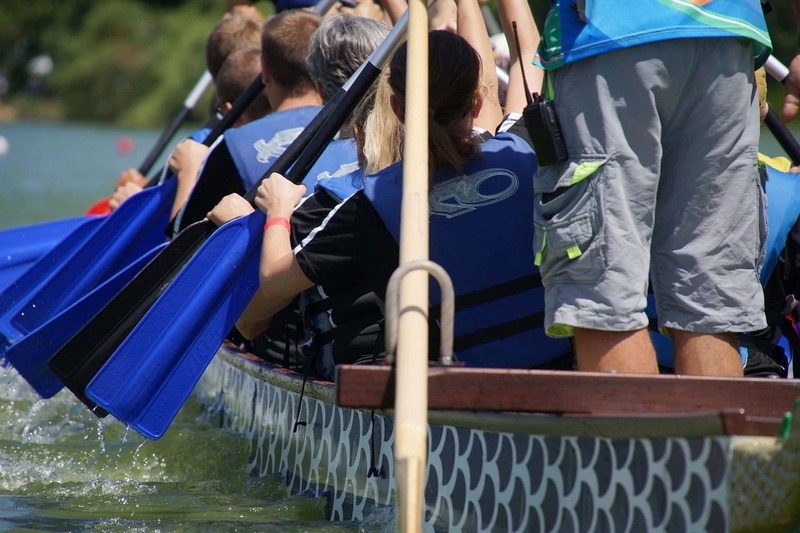 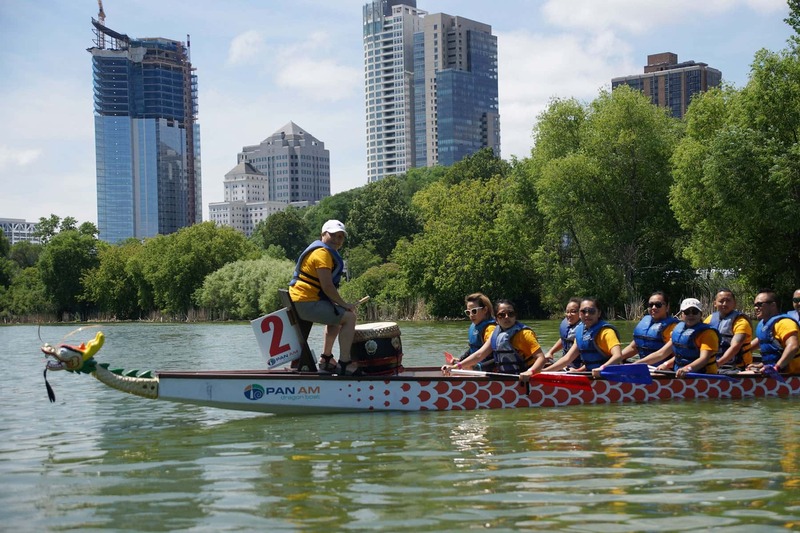 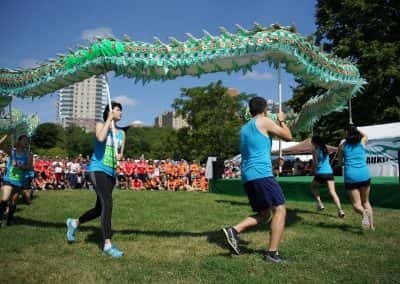 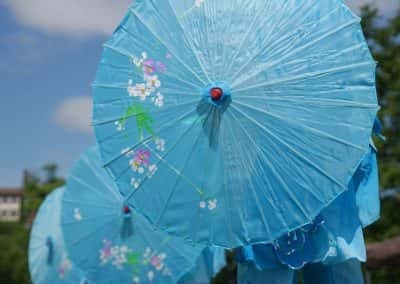 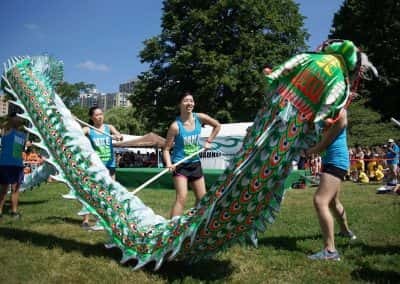 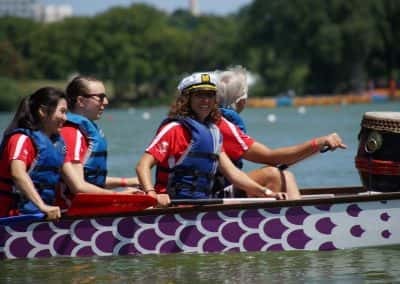 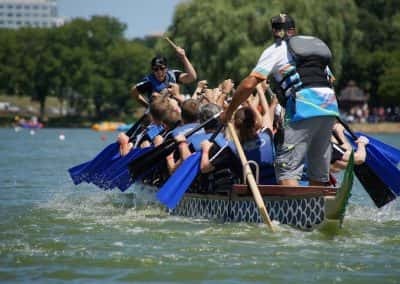 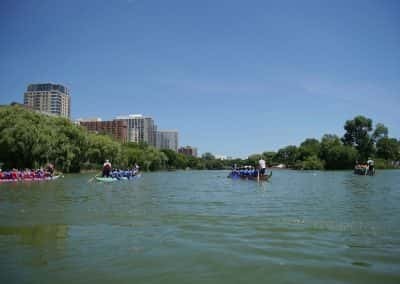 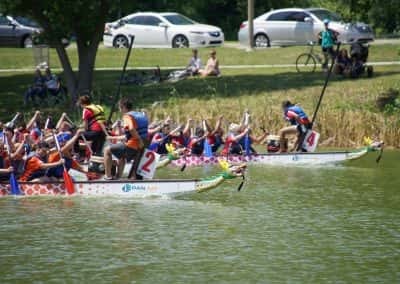 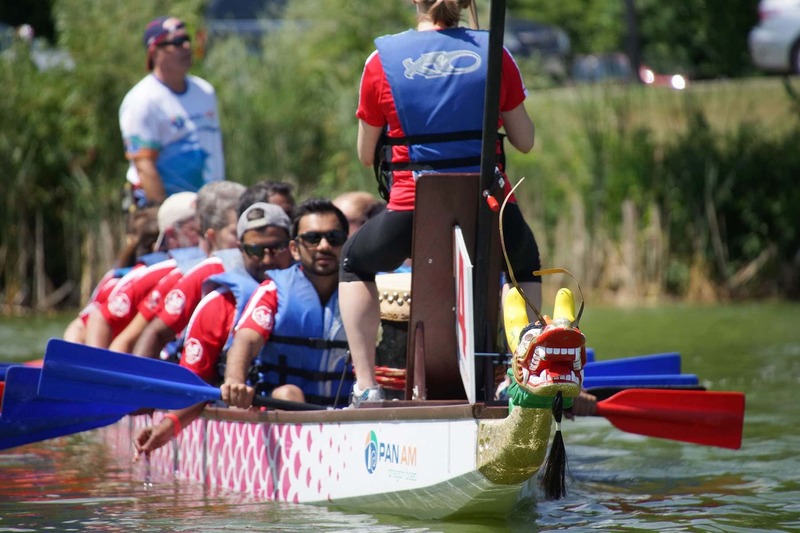 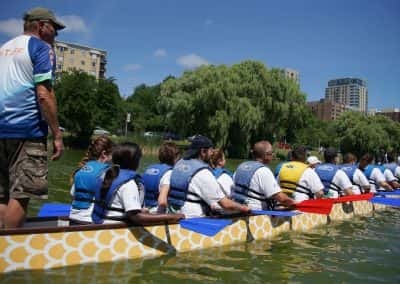 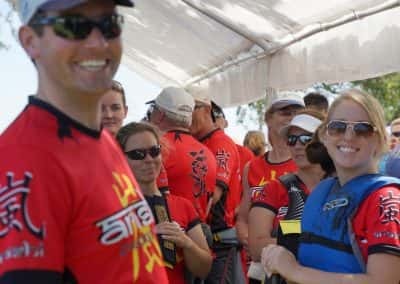 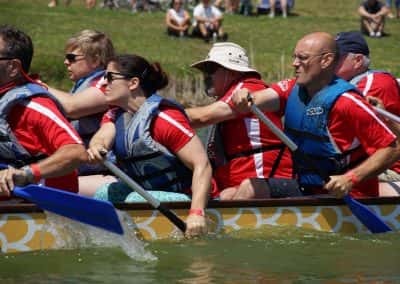 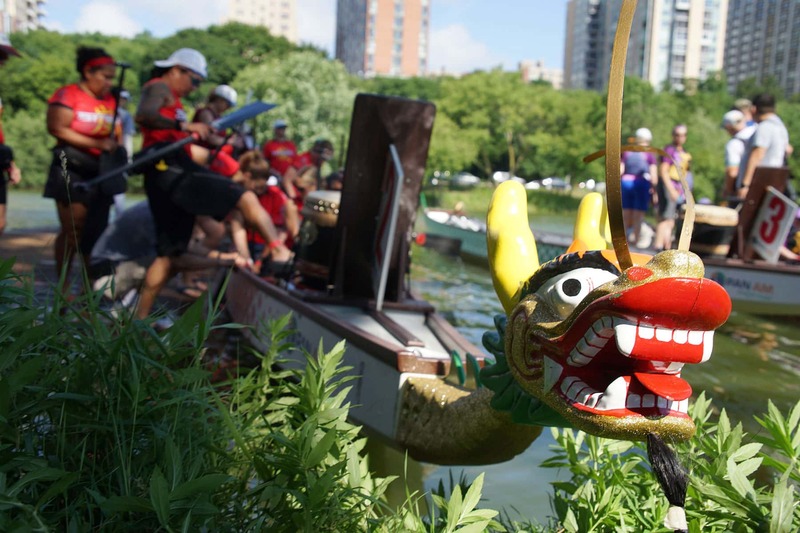 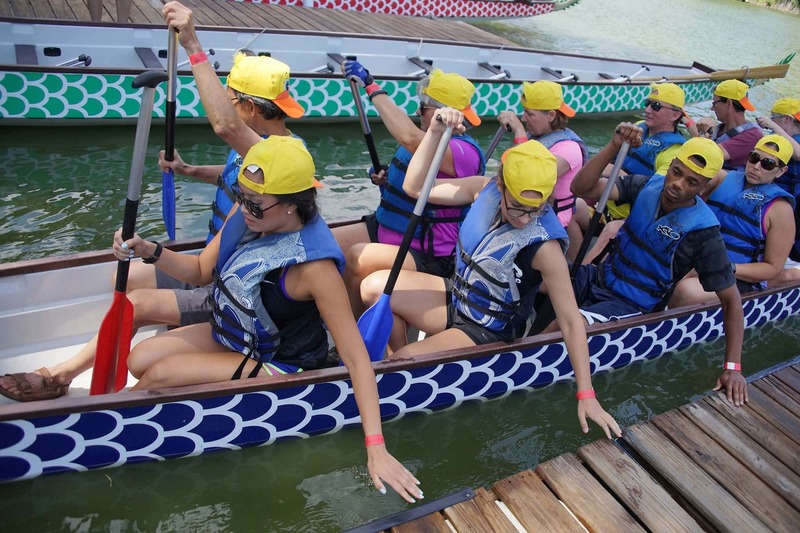 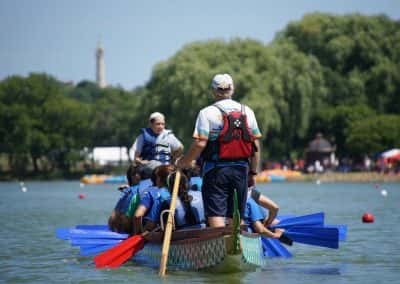 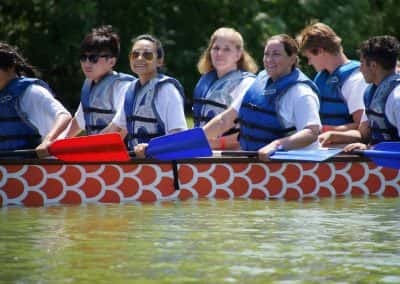 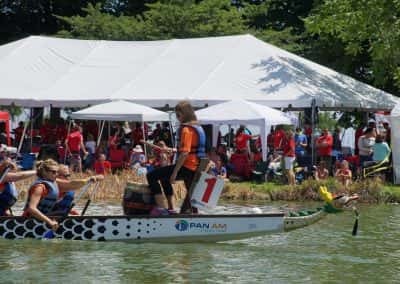 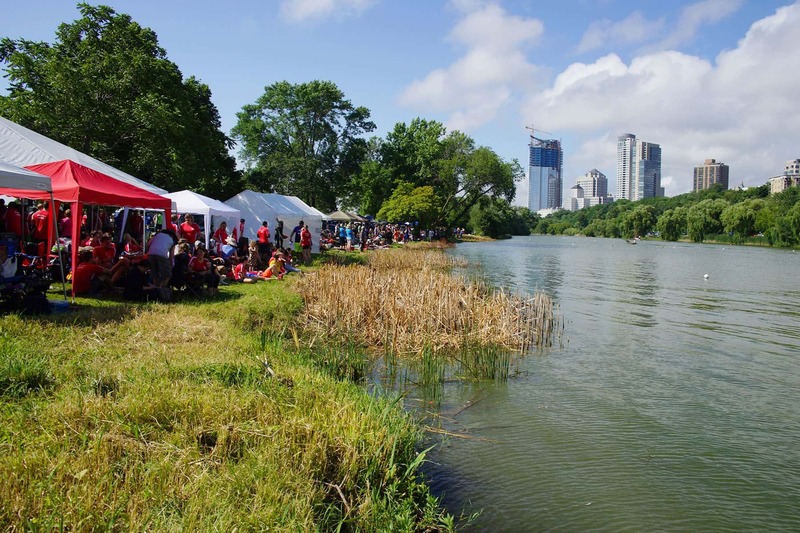 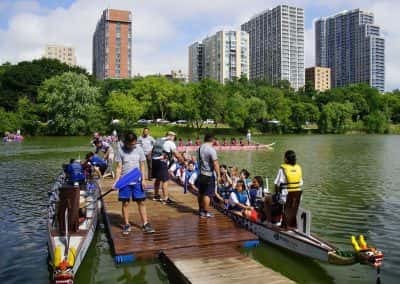 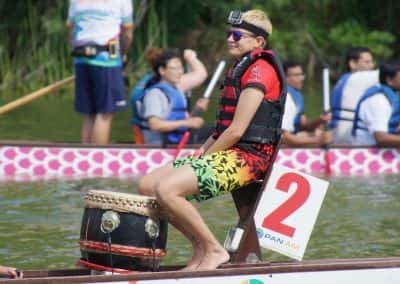 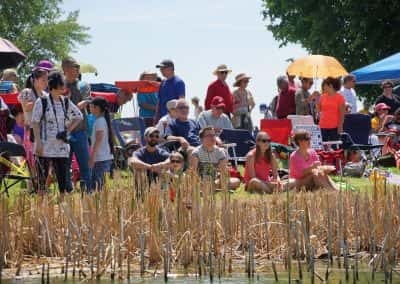 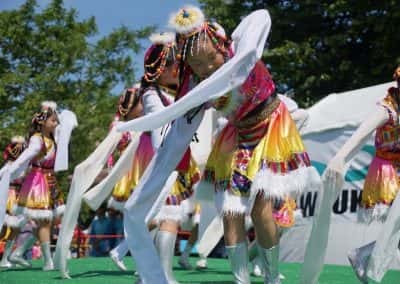 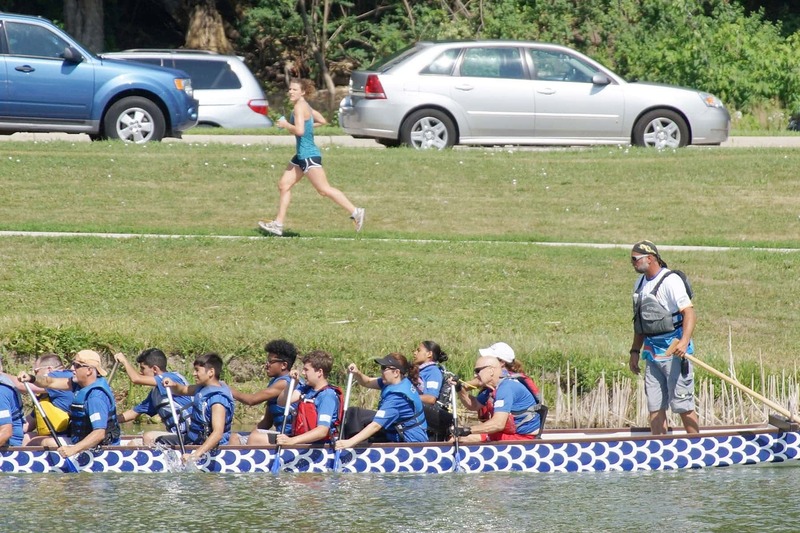 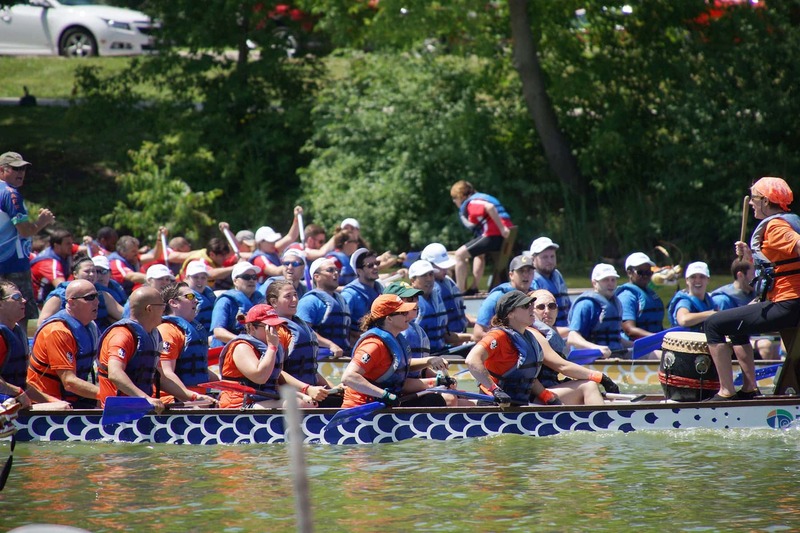 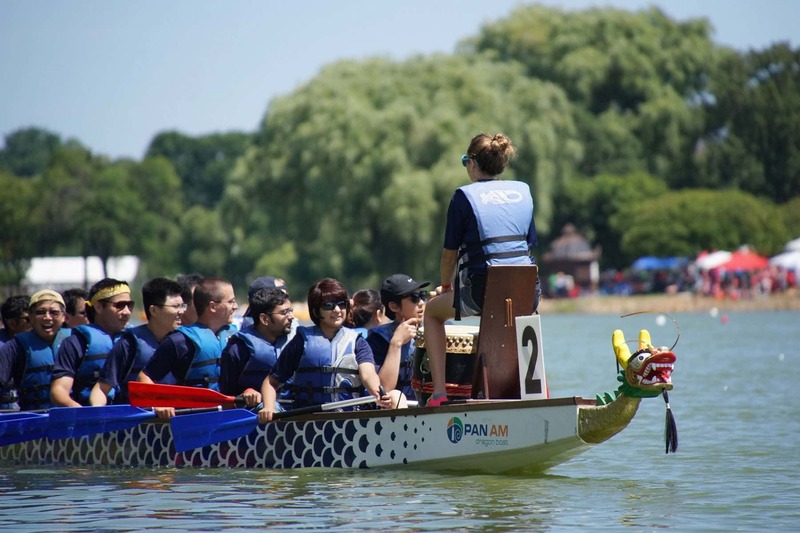 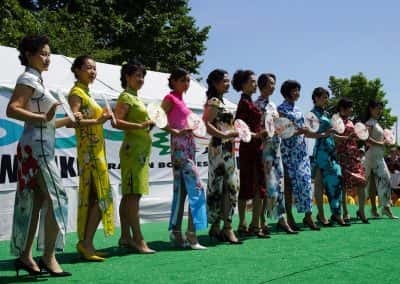 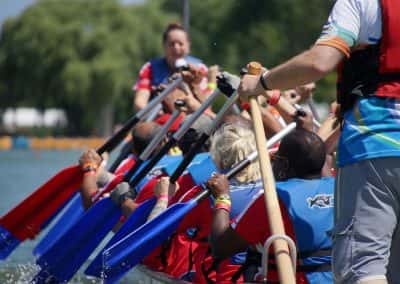 Along with the celebration of cultural diversity, fifty teams participated in races that filled the lagoon with boats shaped like mythical dragons to the sound of rowing drum beats. 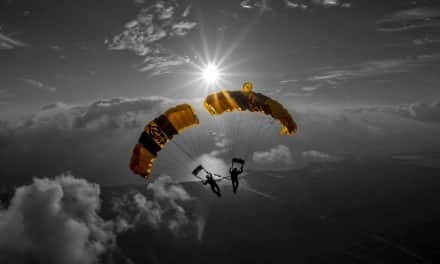 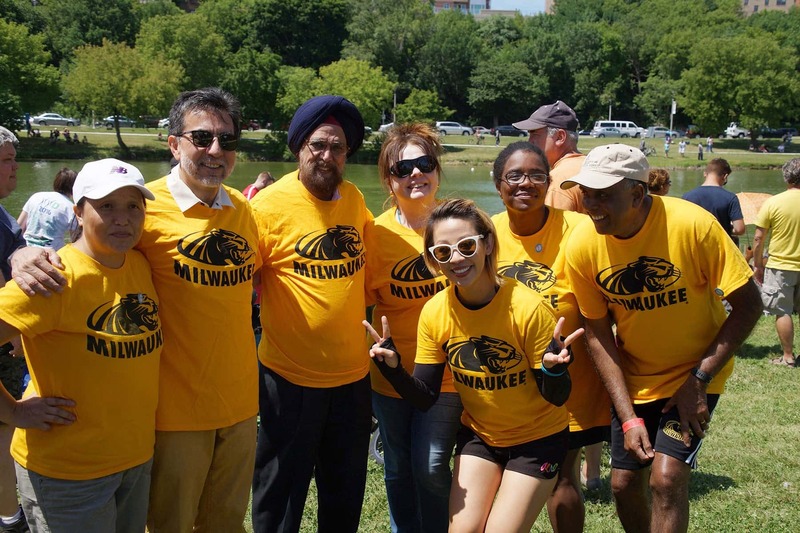 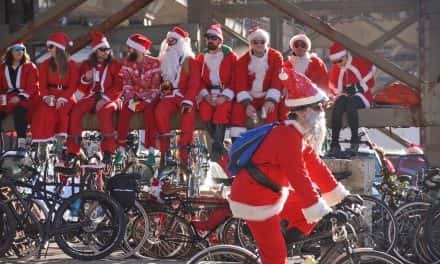 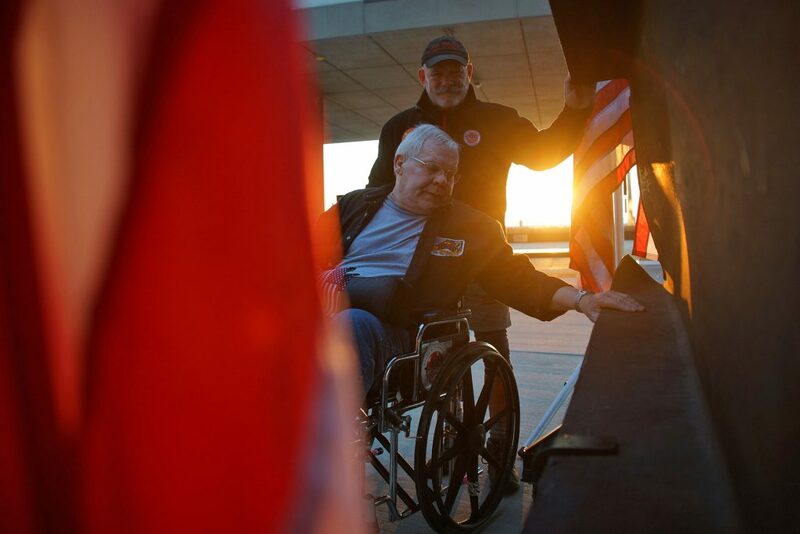 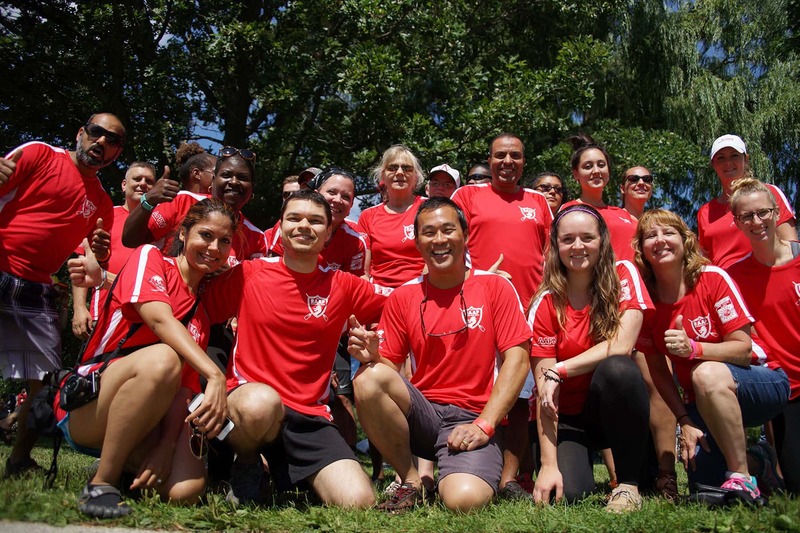 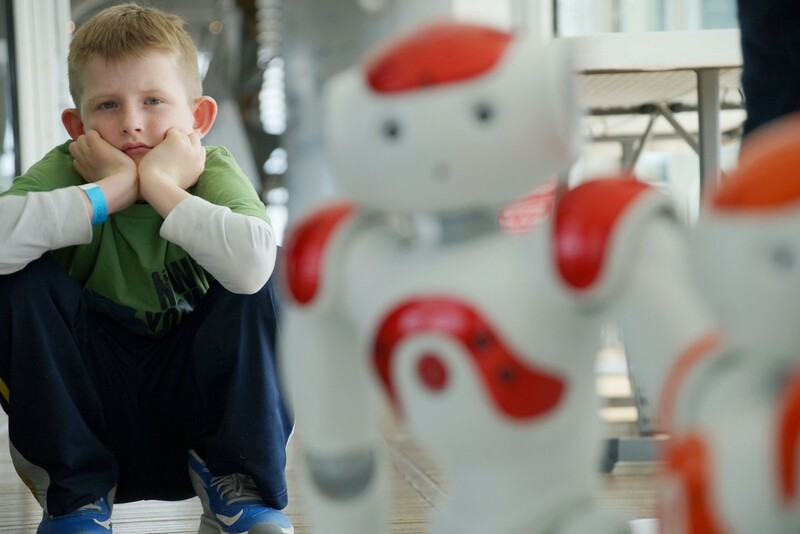 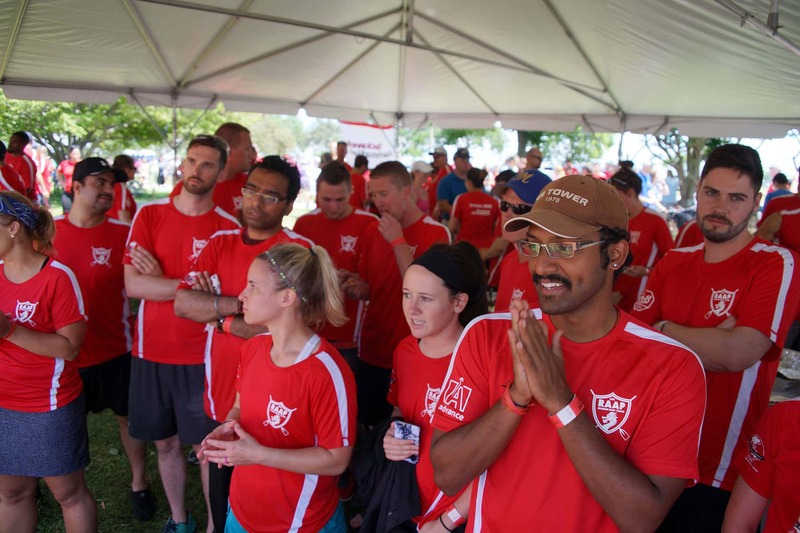 This Photo Essay presents highlights from the event that featured employees from companies like Harley-Davidson and Rockwell Automation, competing to win and raise money for Ronald McDonald House of Milwaukee, while strengthening intercultural relations in the community.